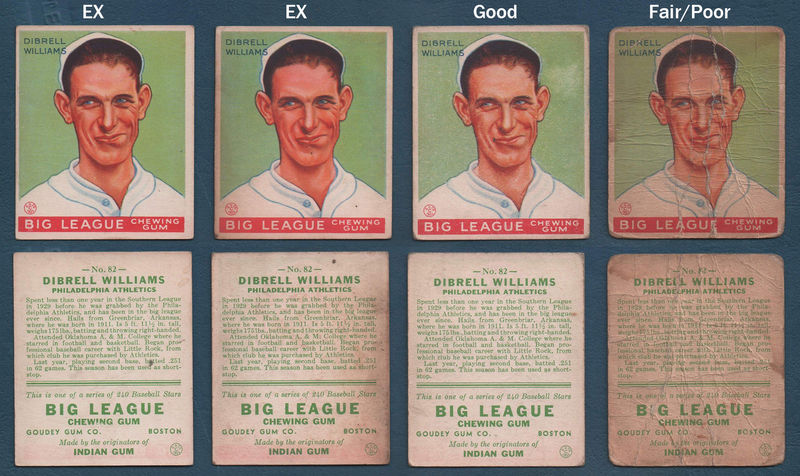 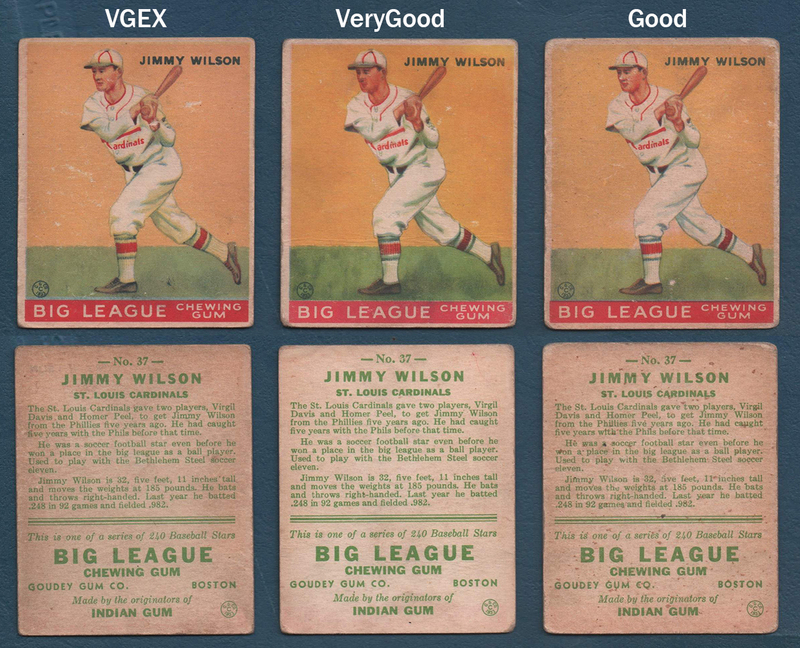 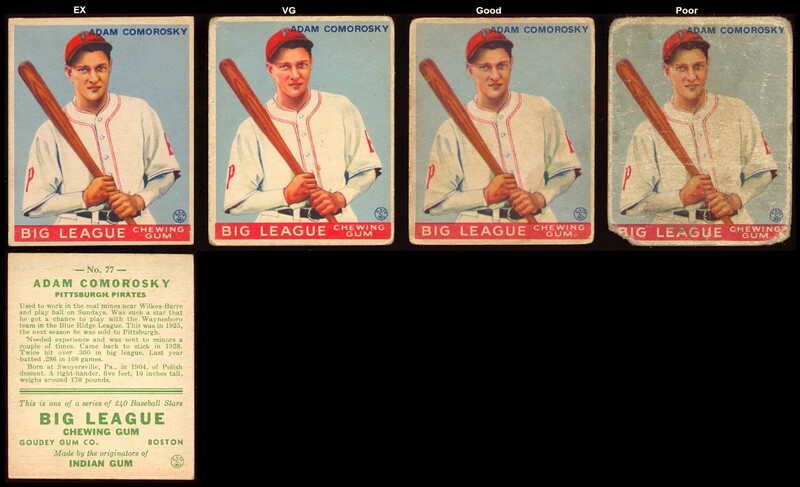 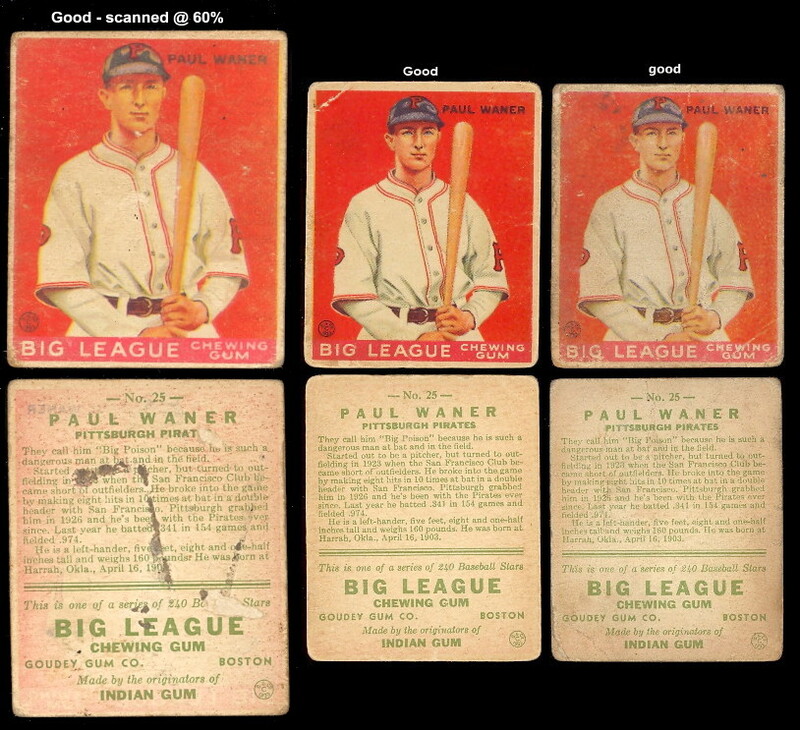 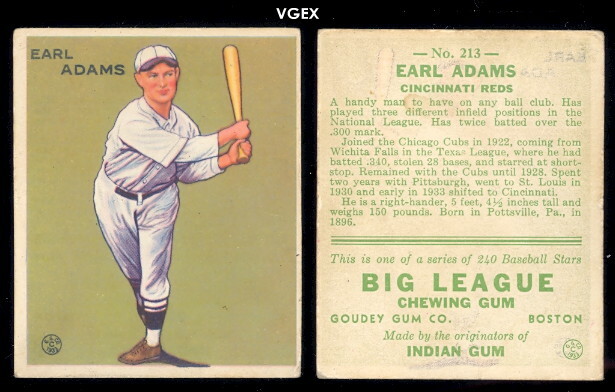 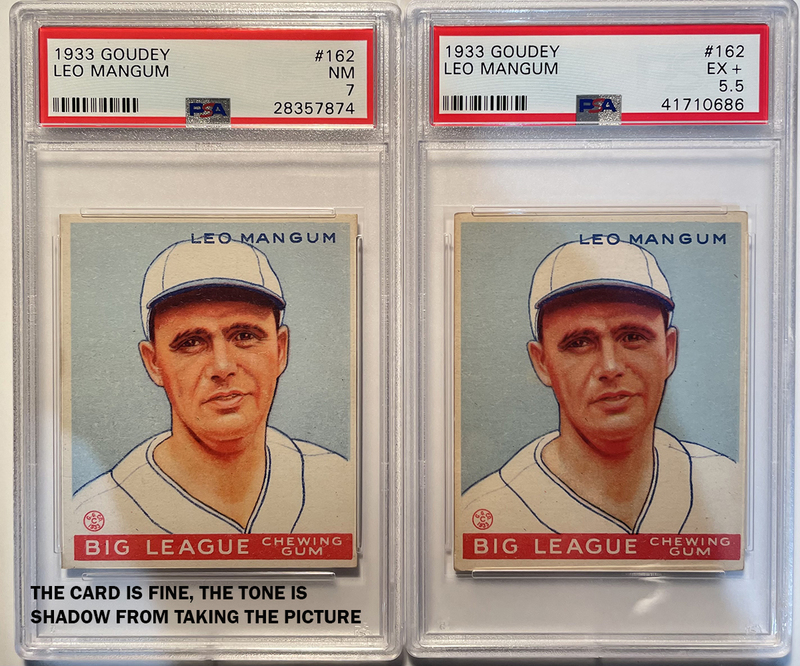 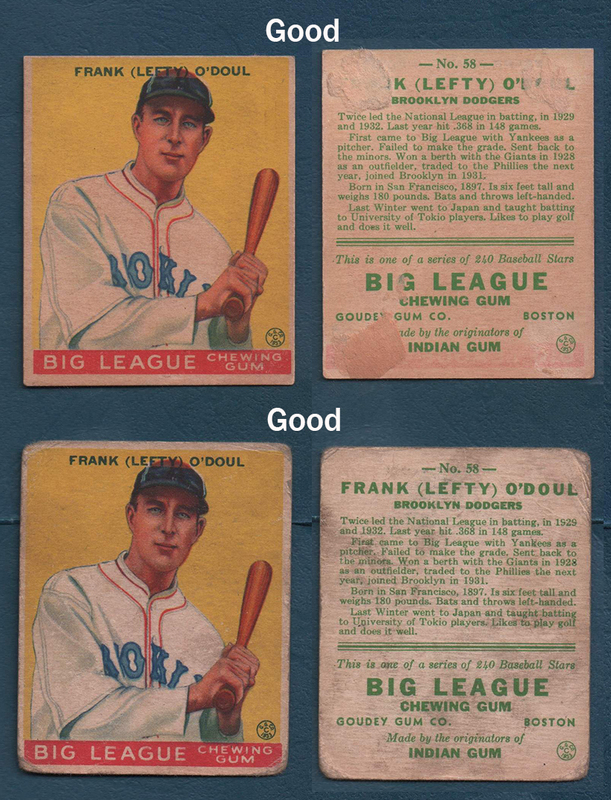 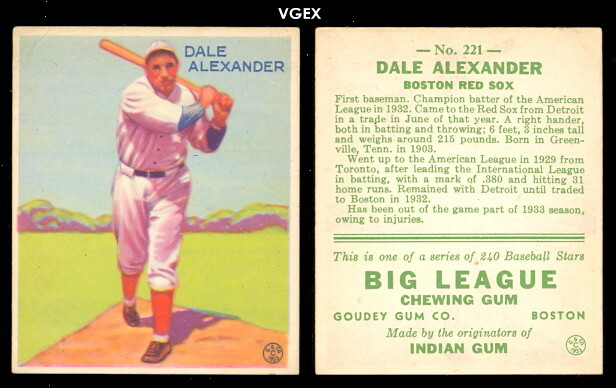 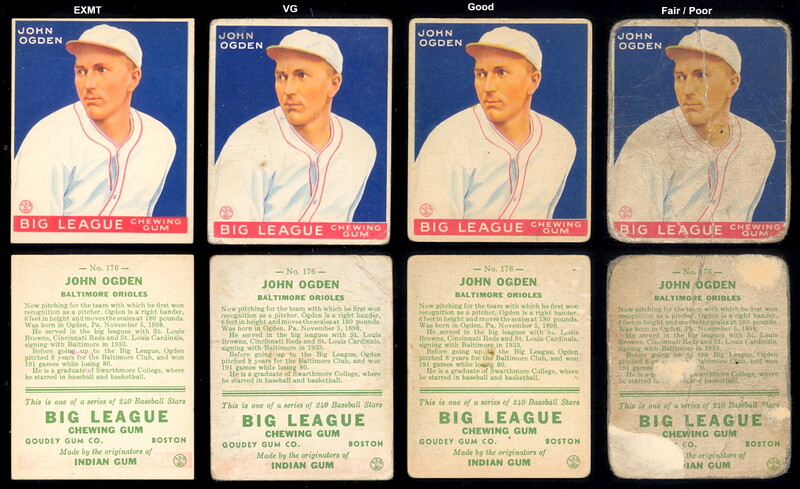 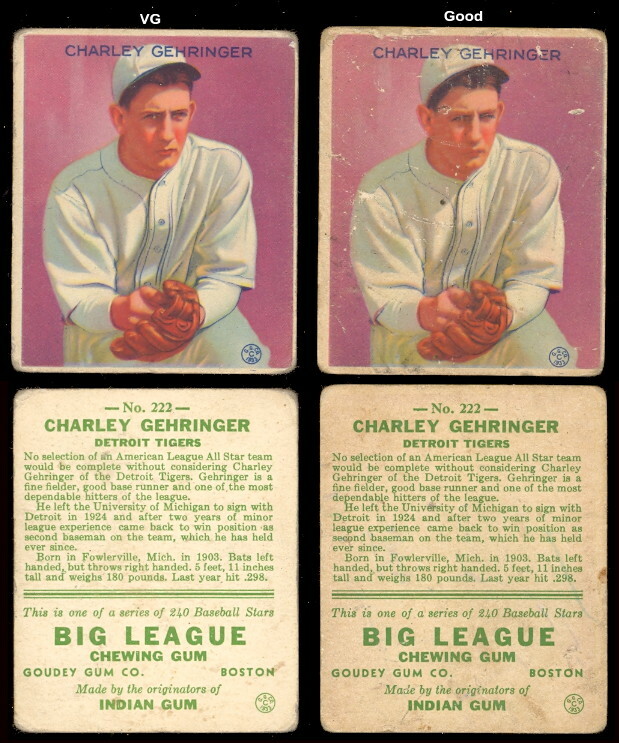 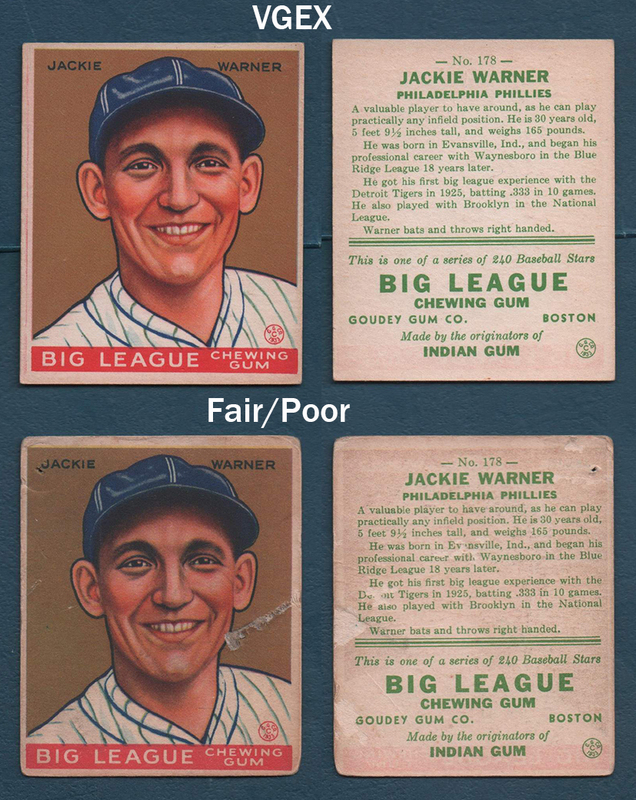 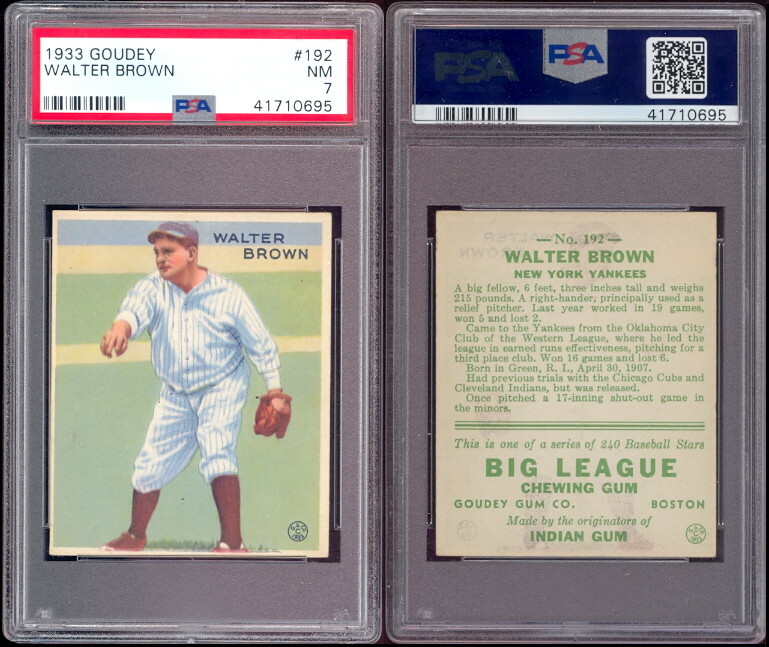 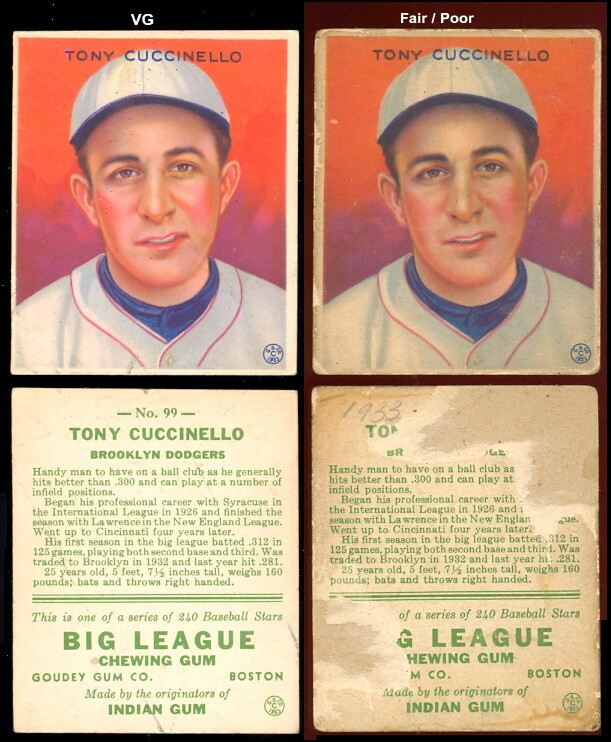 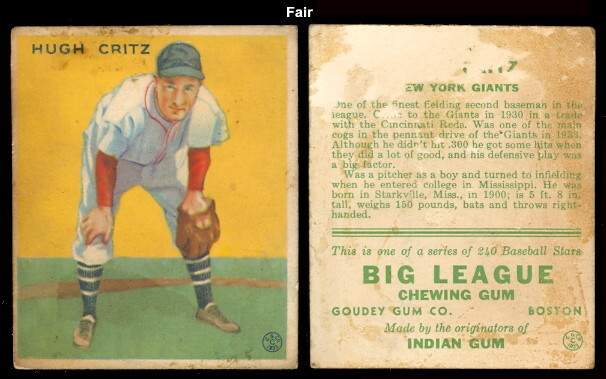 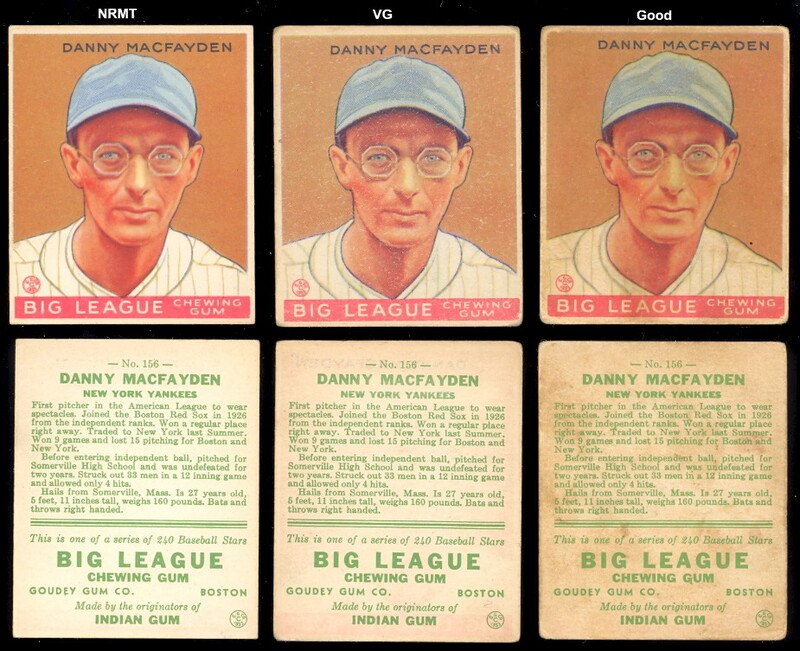 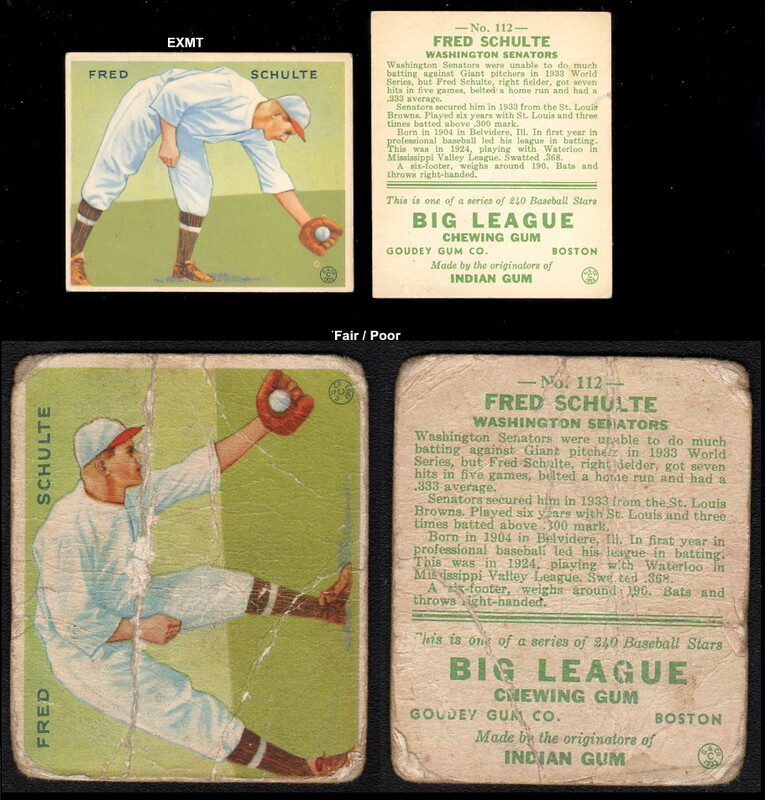 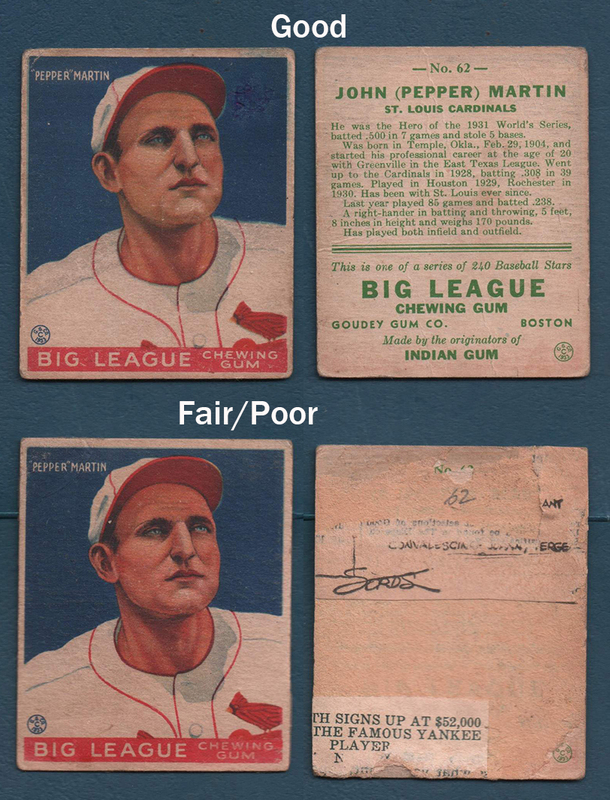 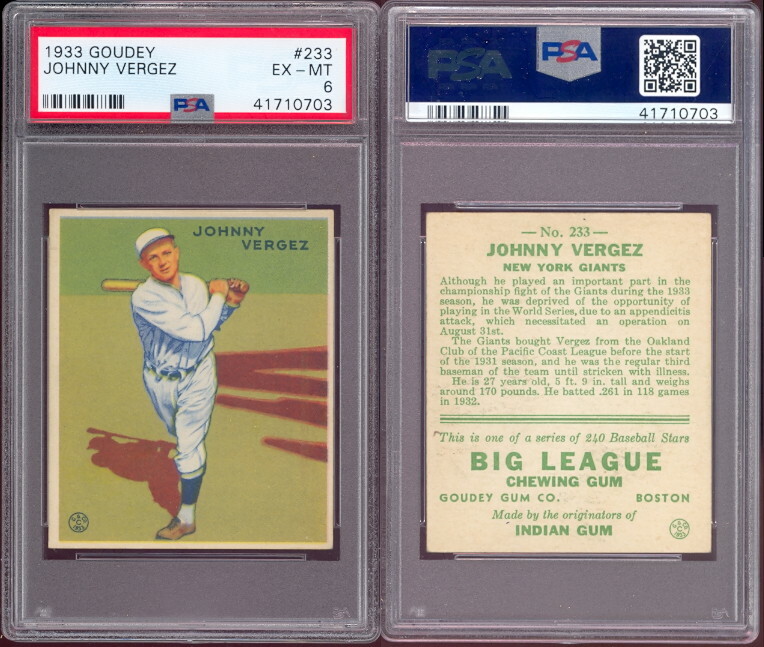 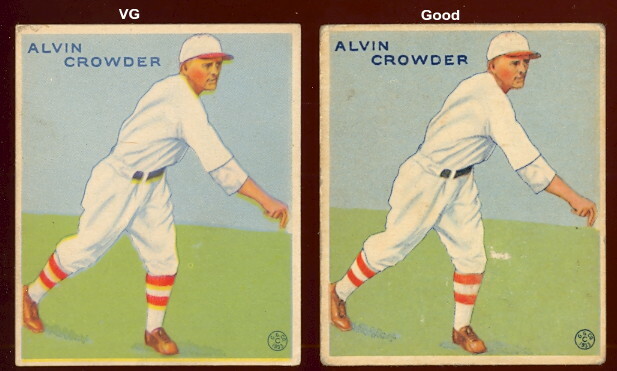 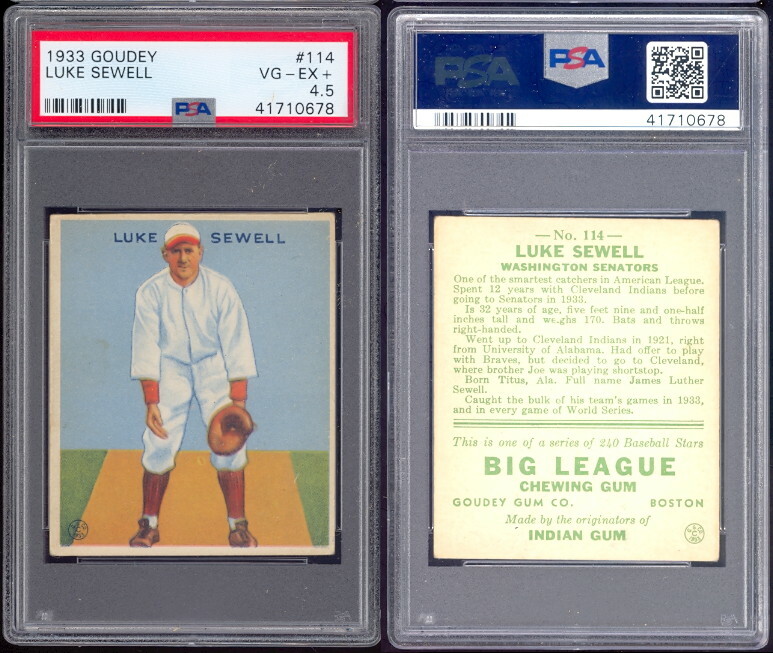 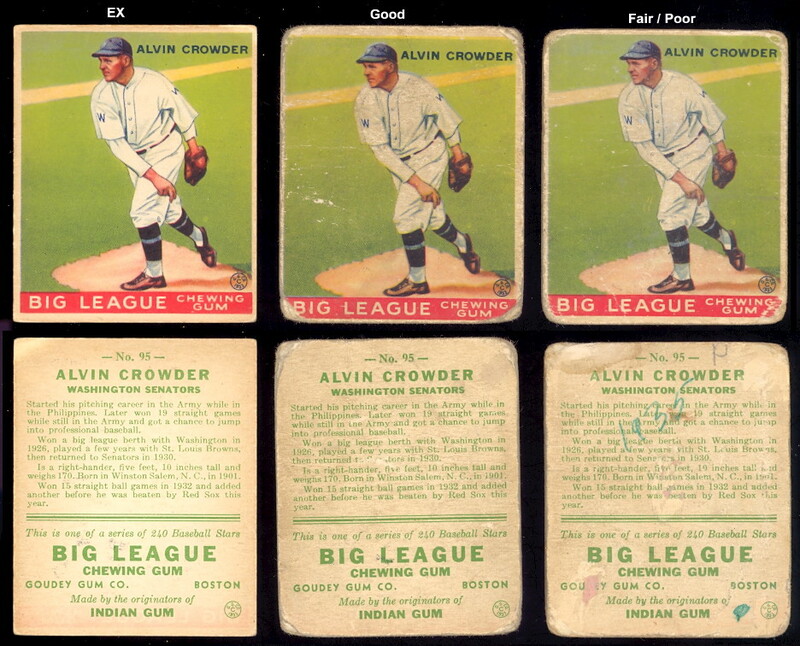 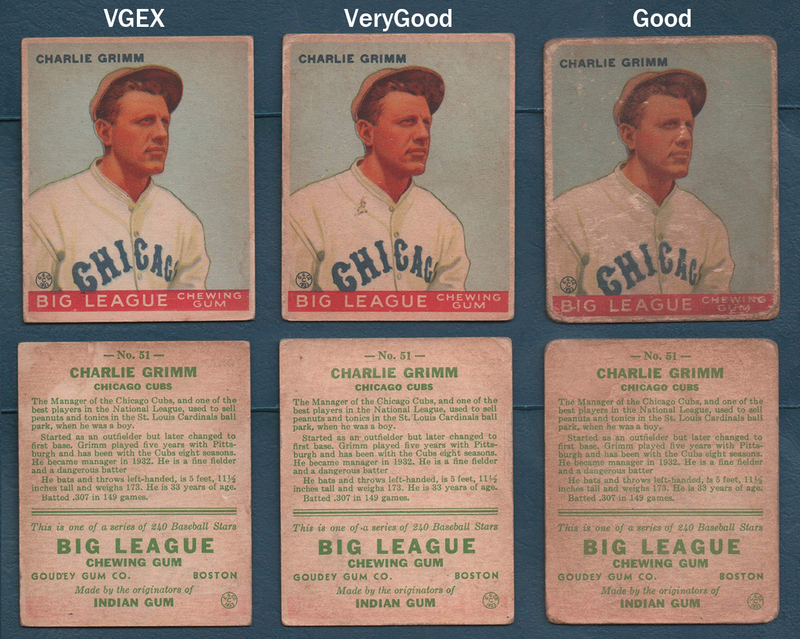 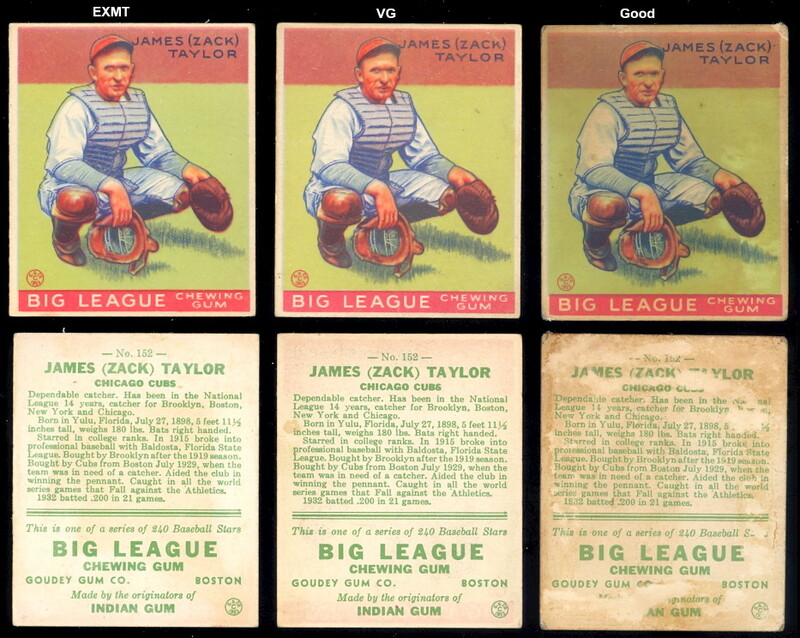 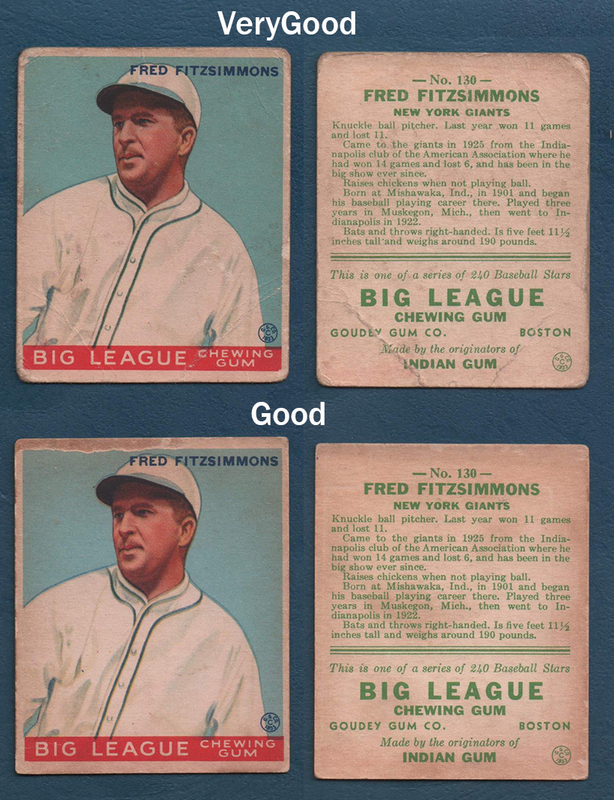 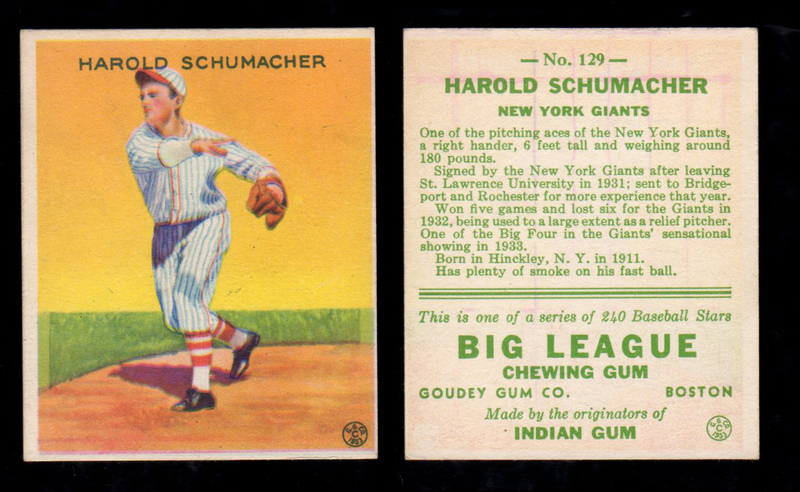 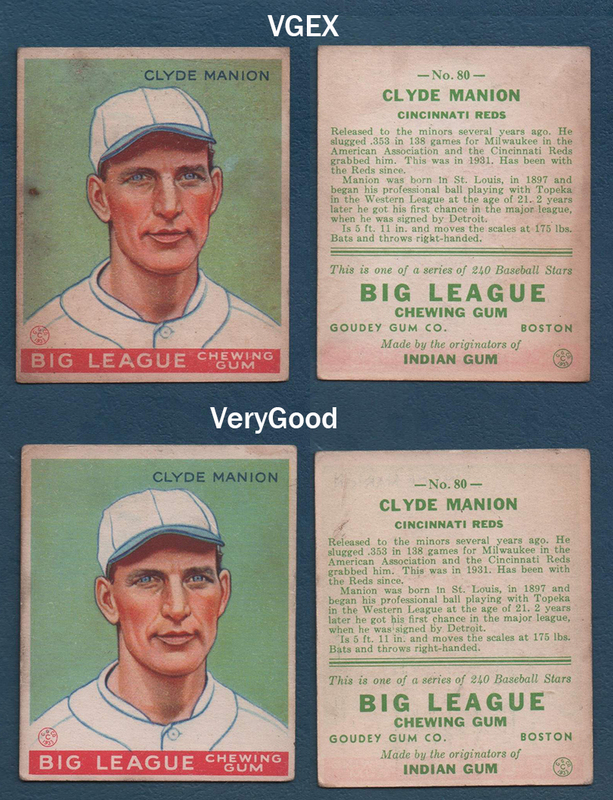 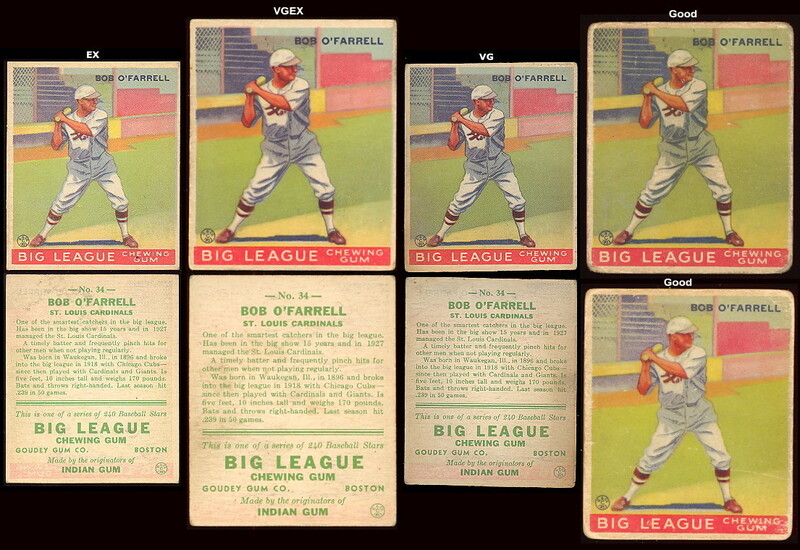 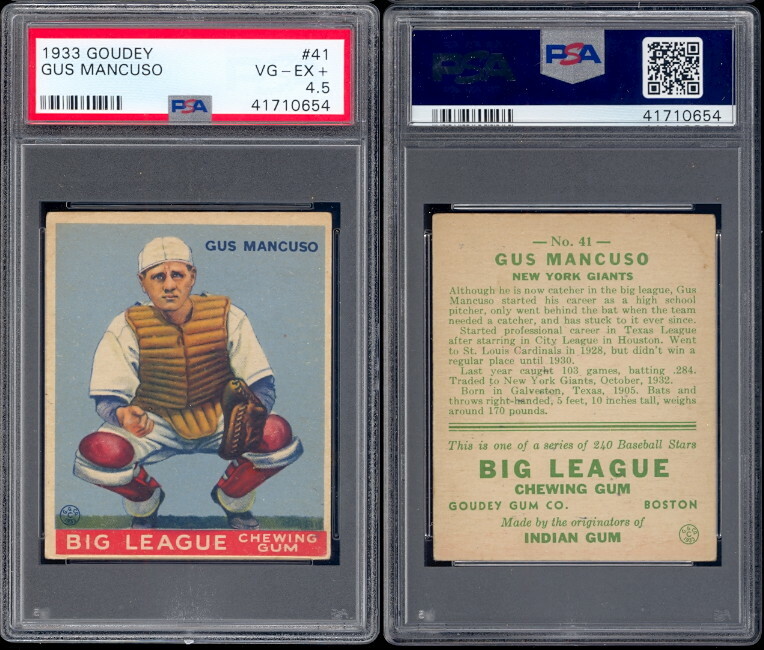 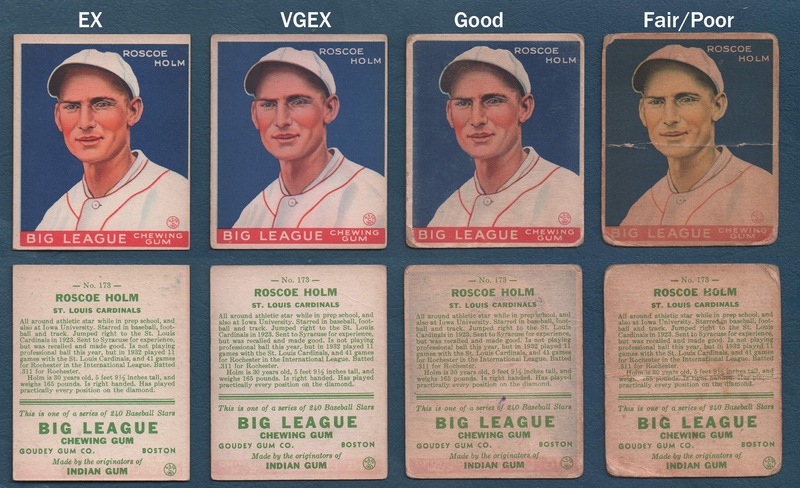 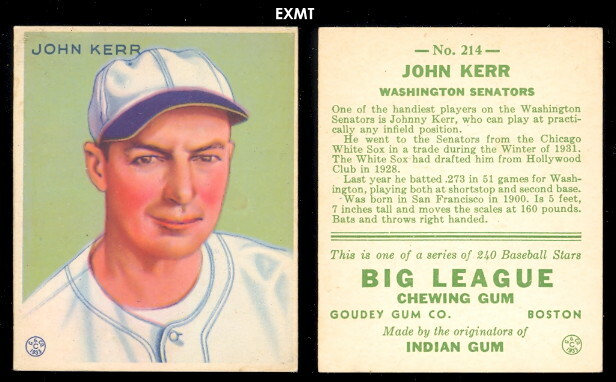 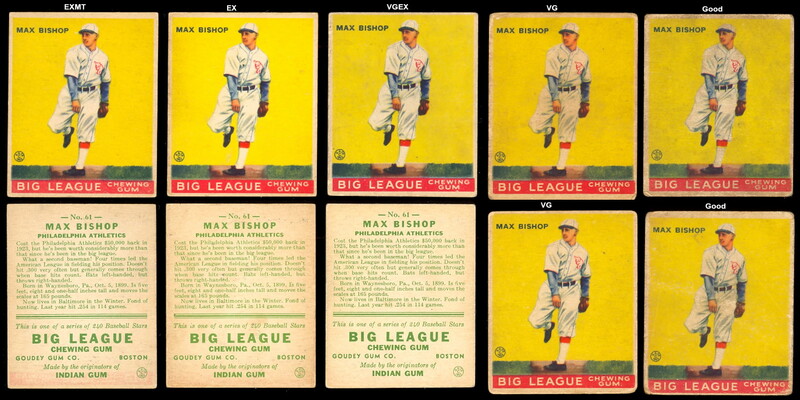 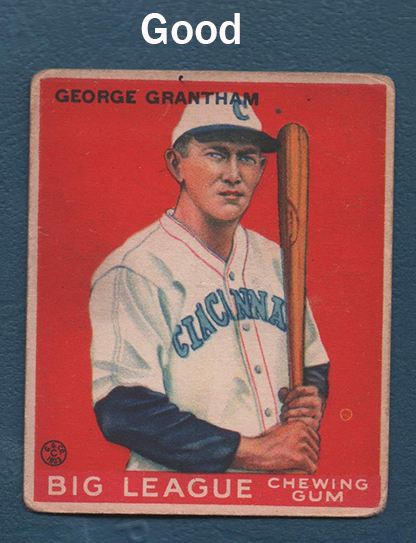 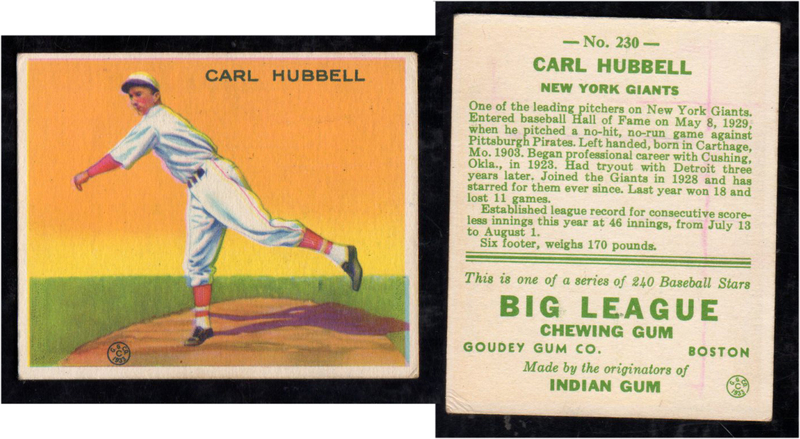 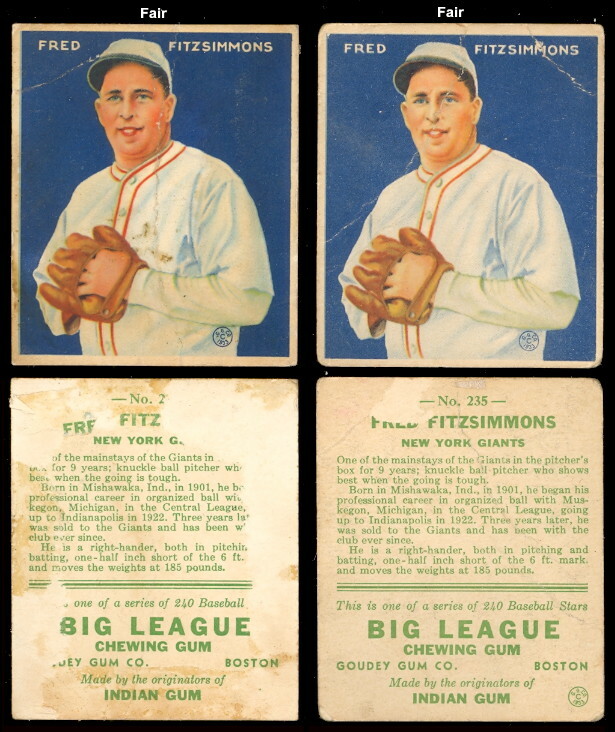 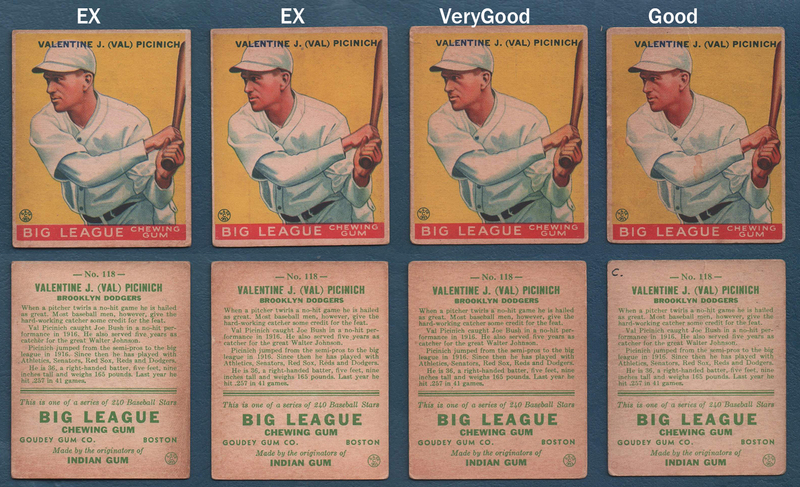 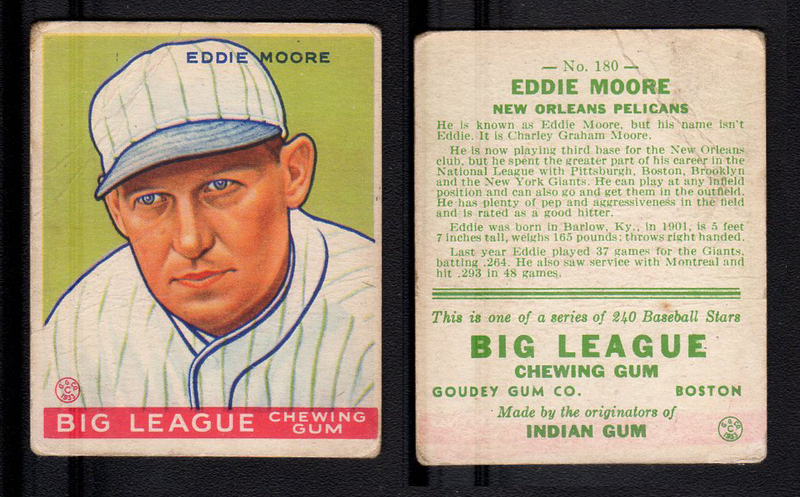 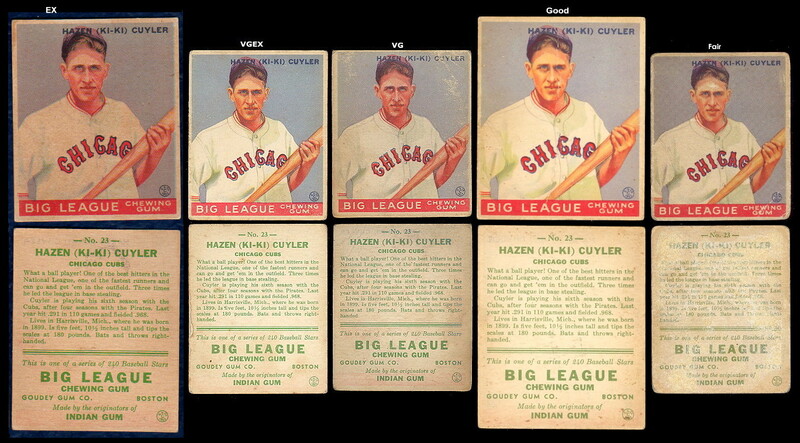 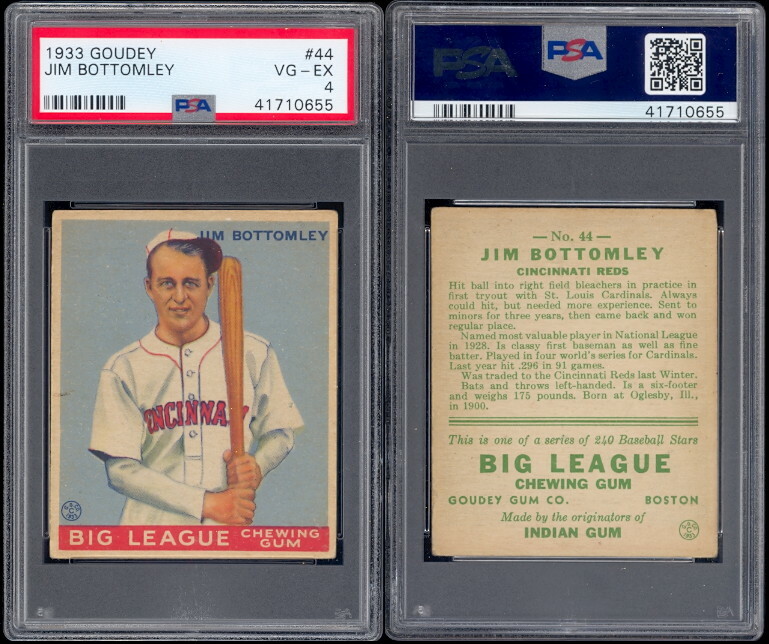 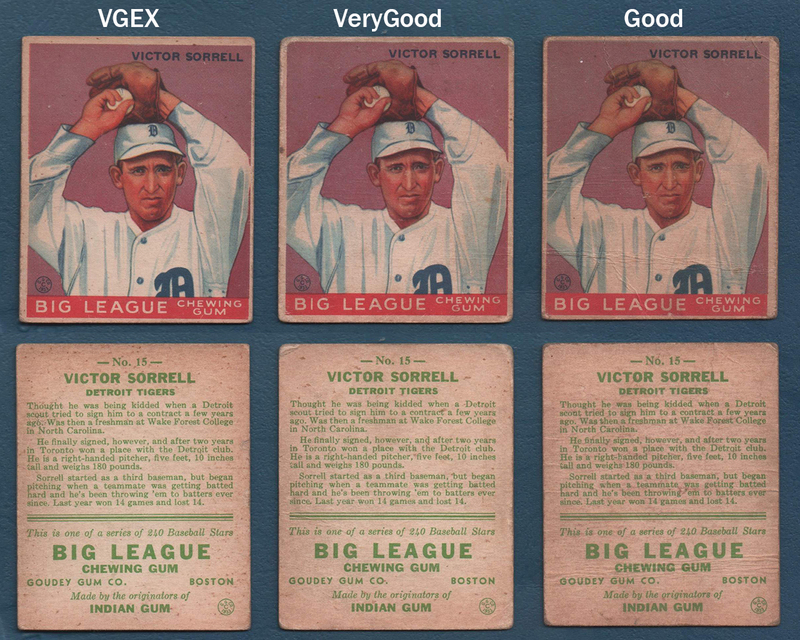 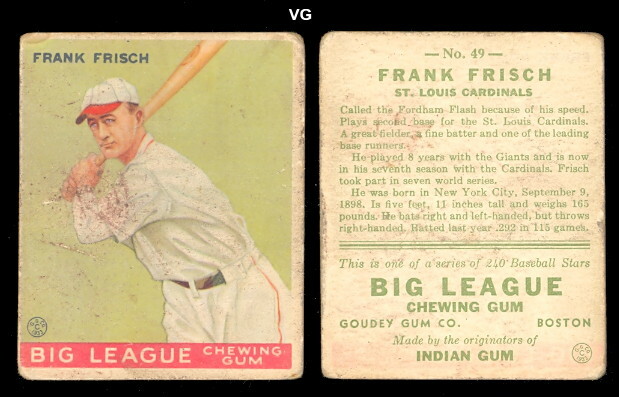 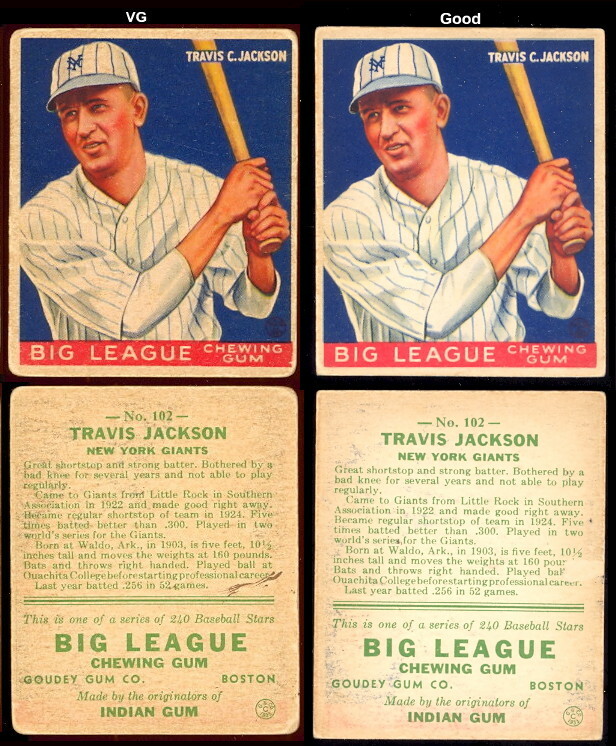 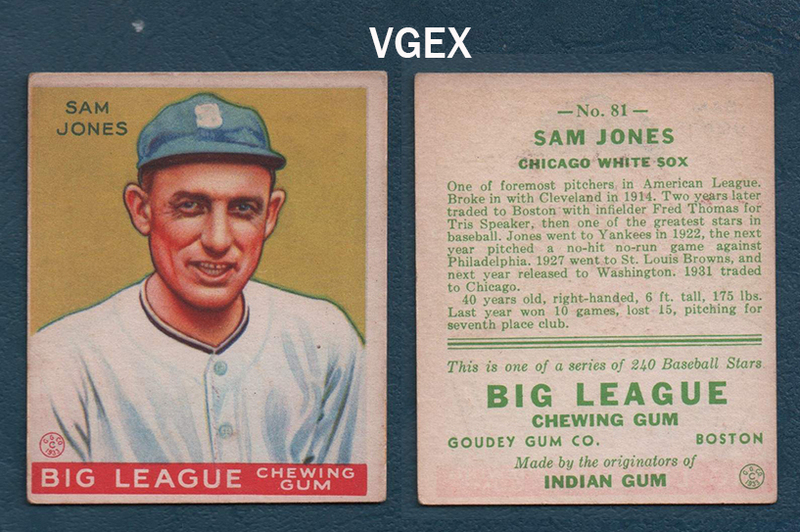 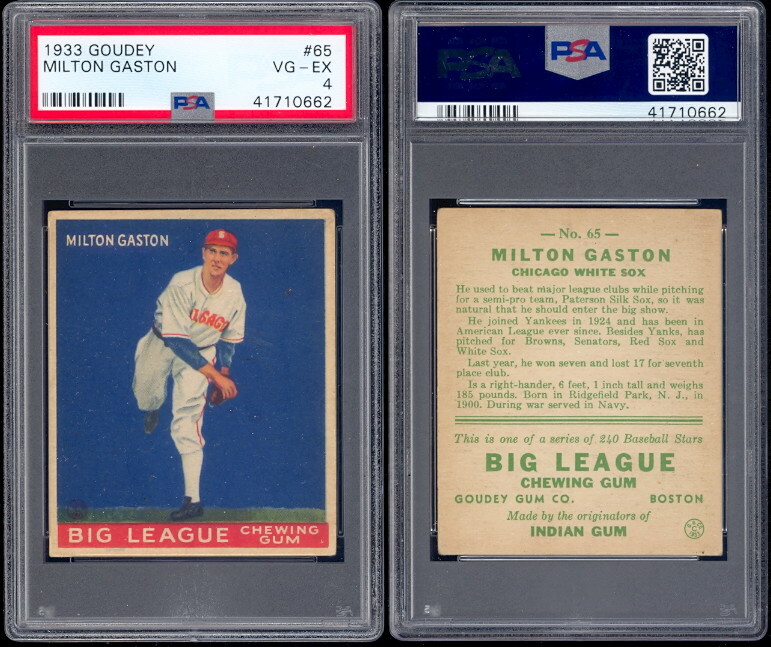 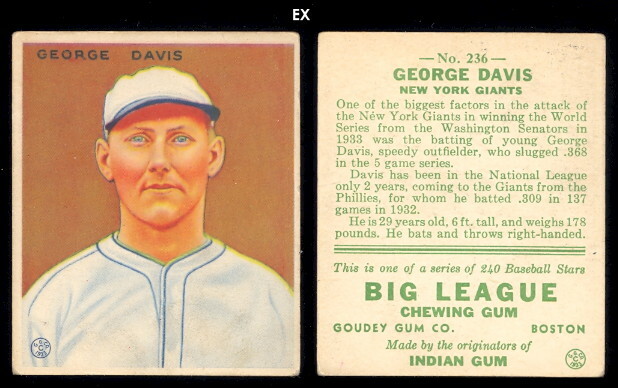 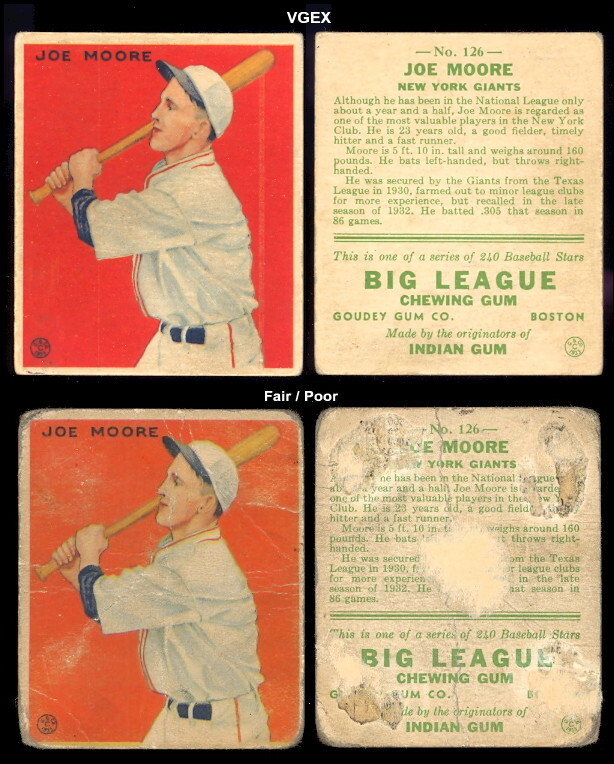 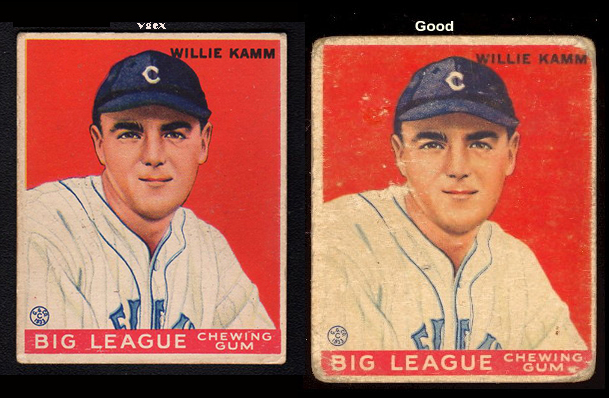 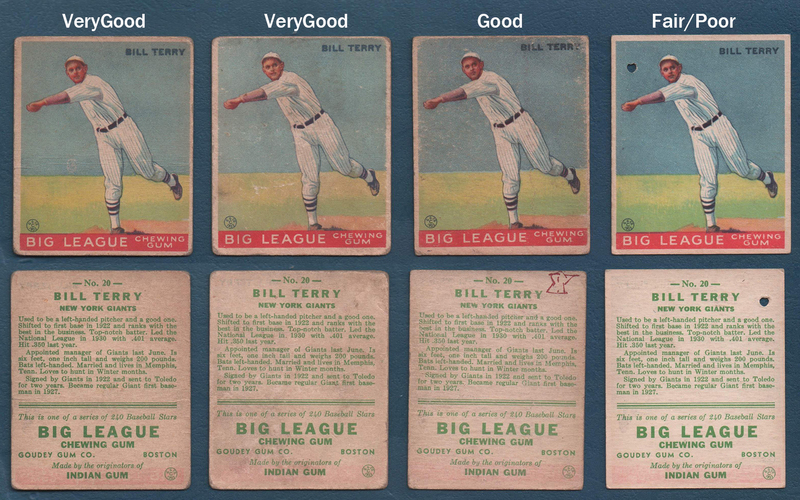 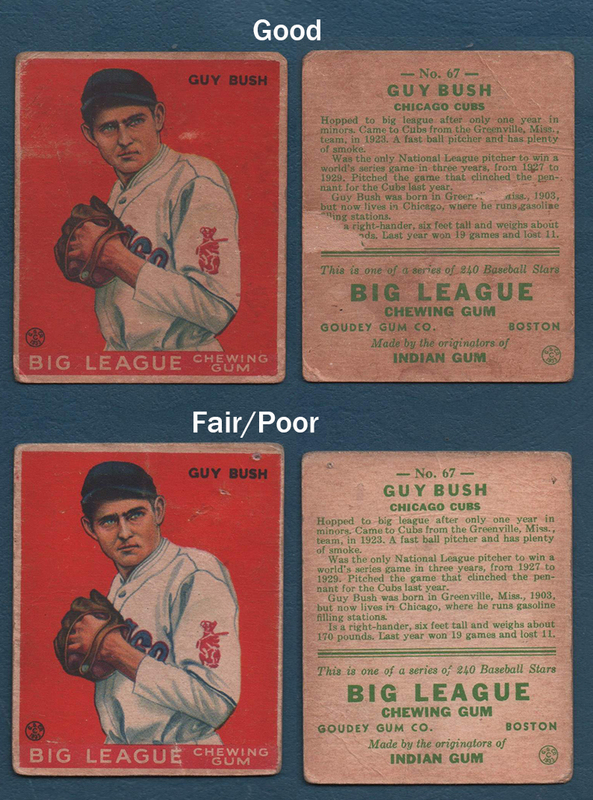 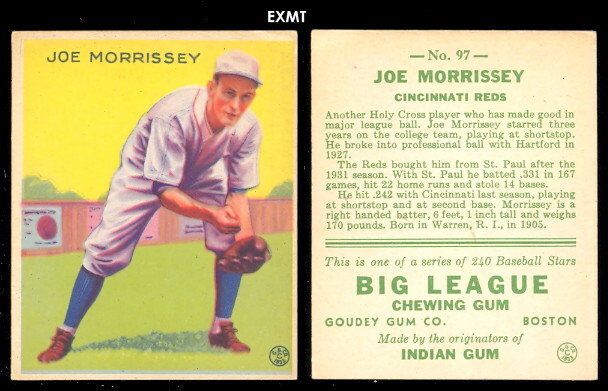 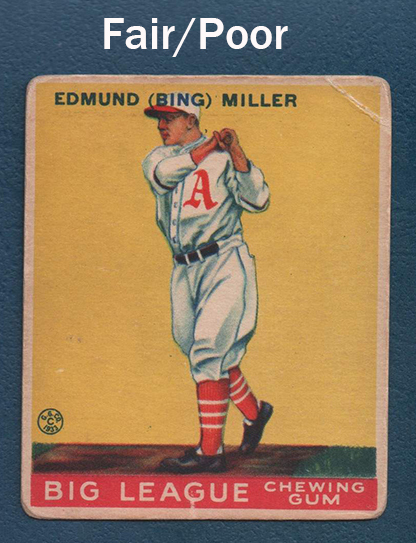 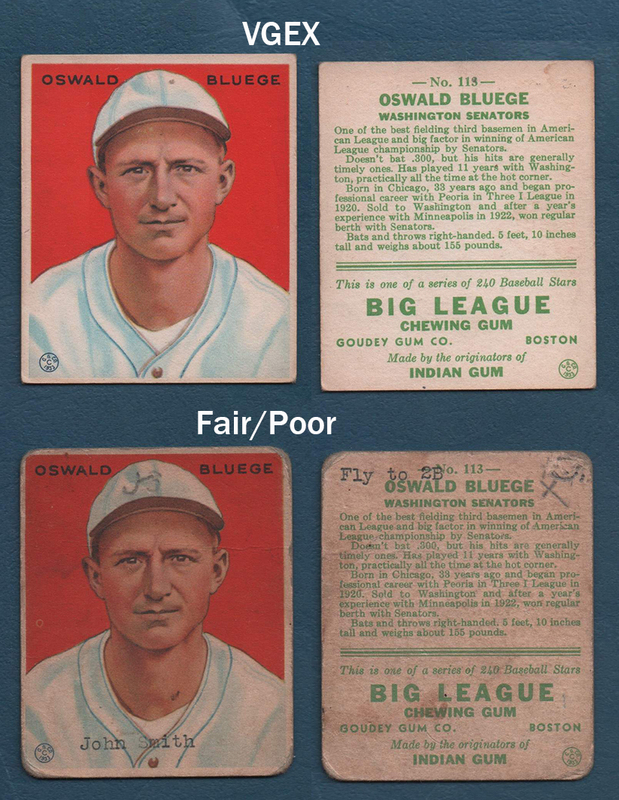 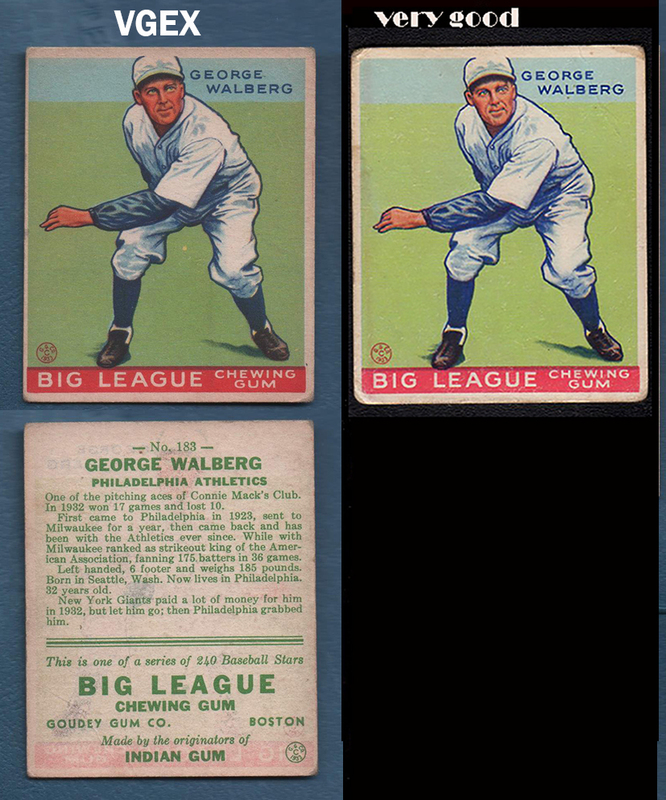 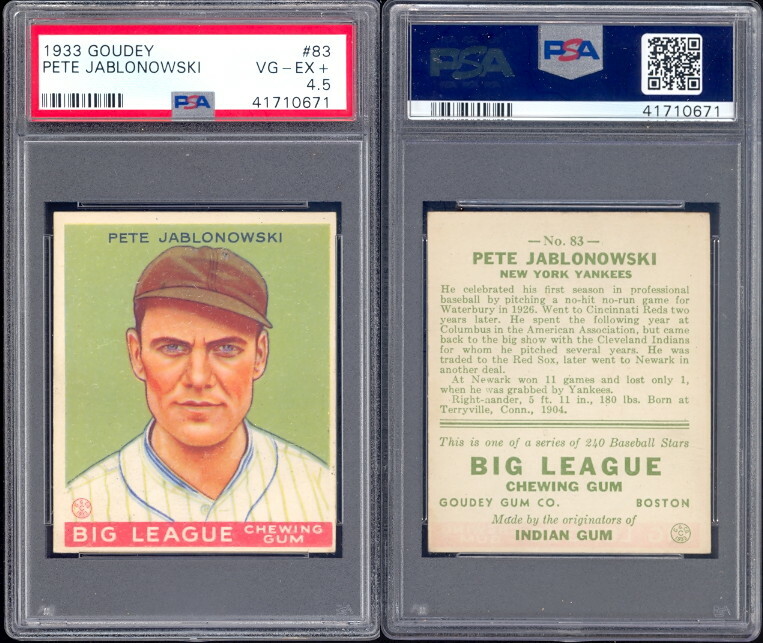 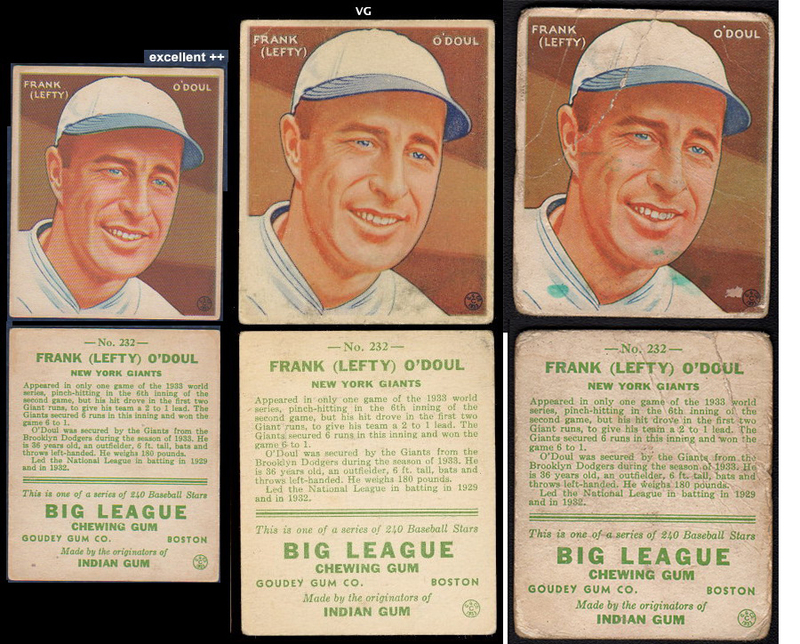 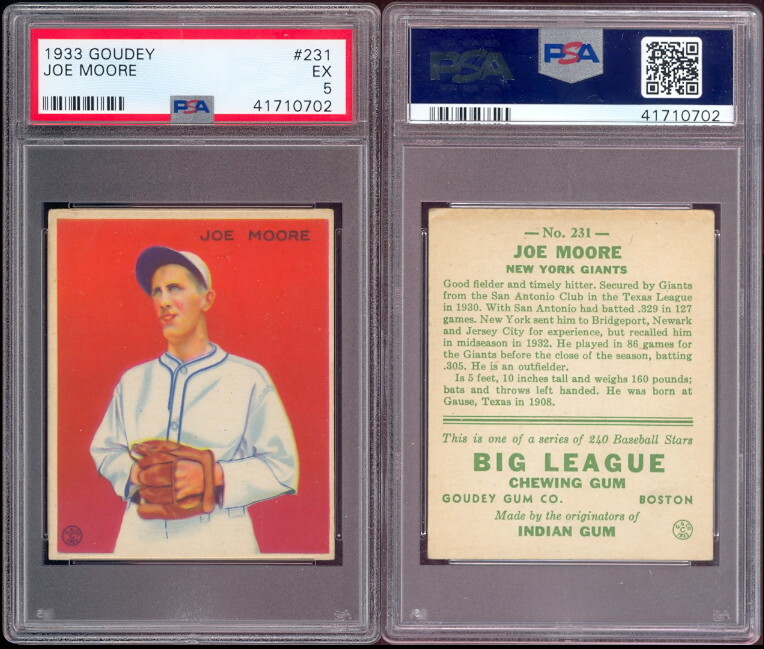 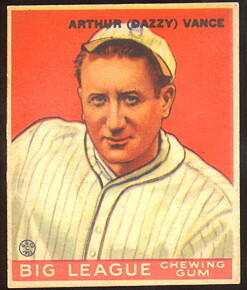 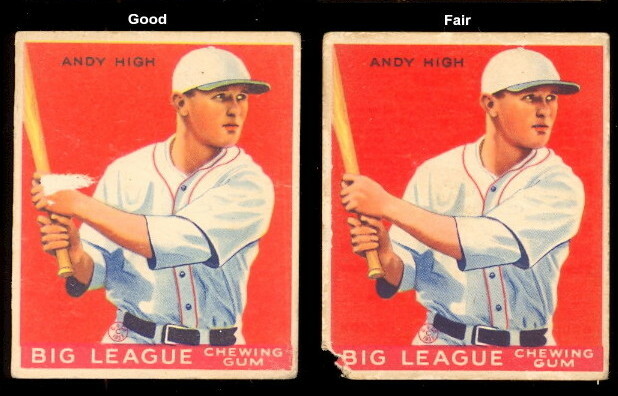 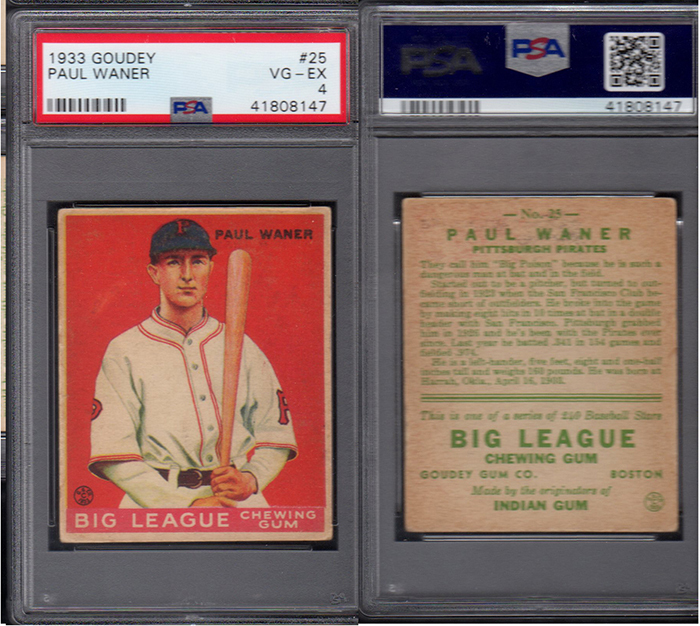 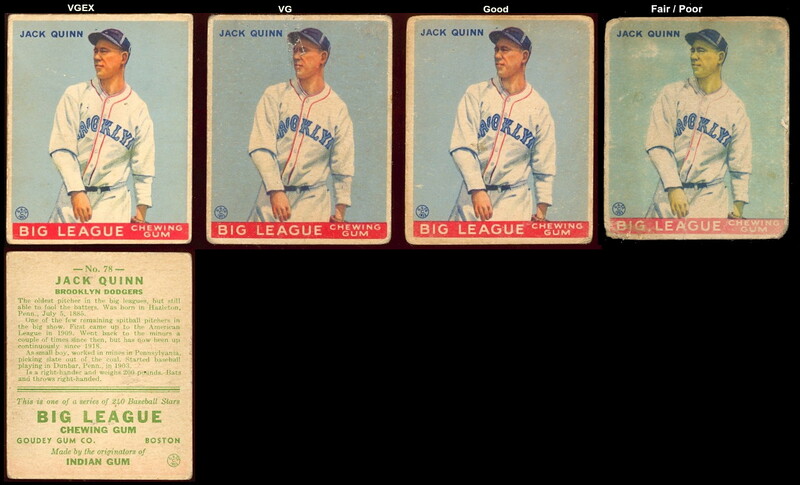 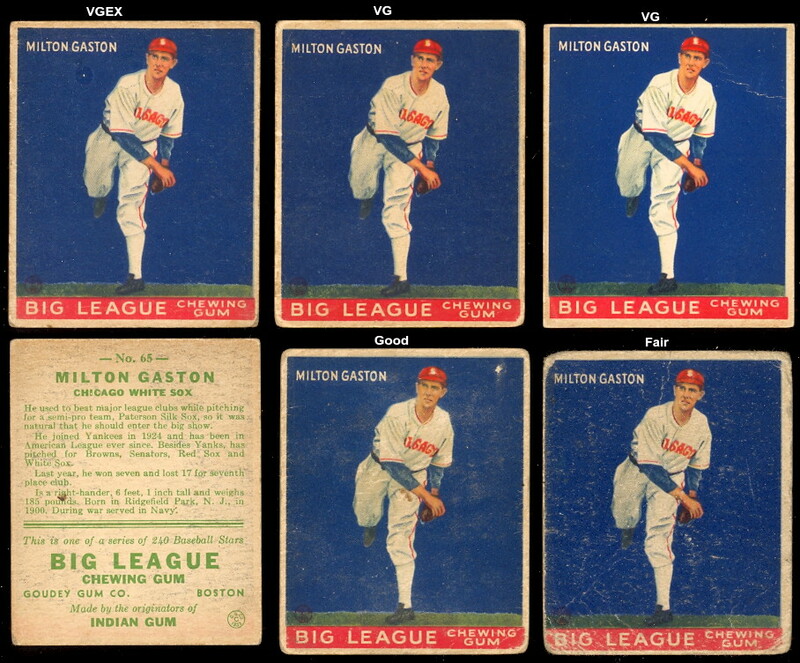 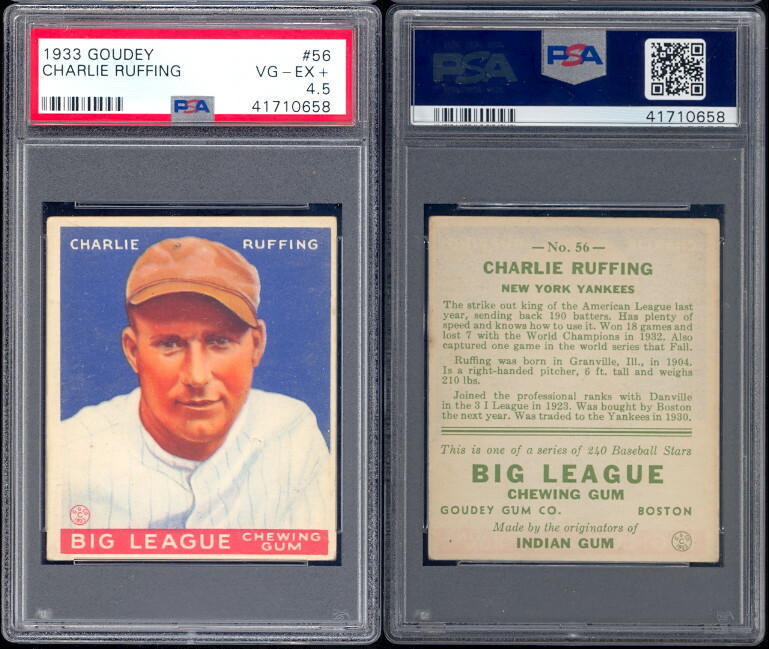 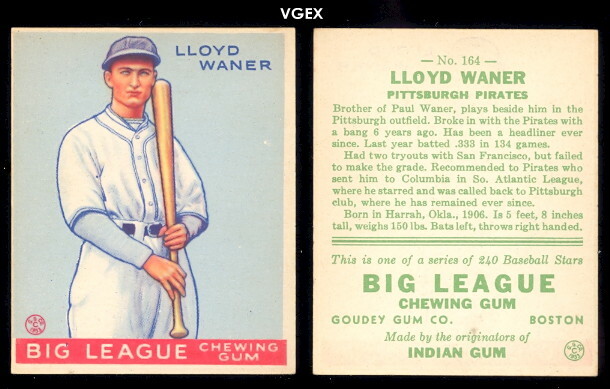 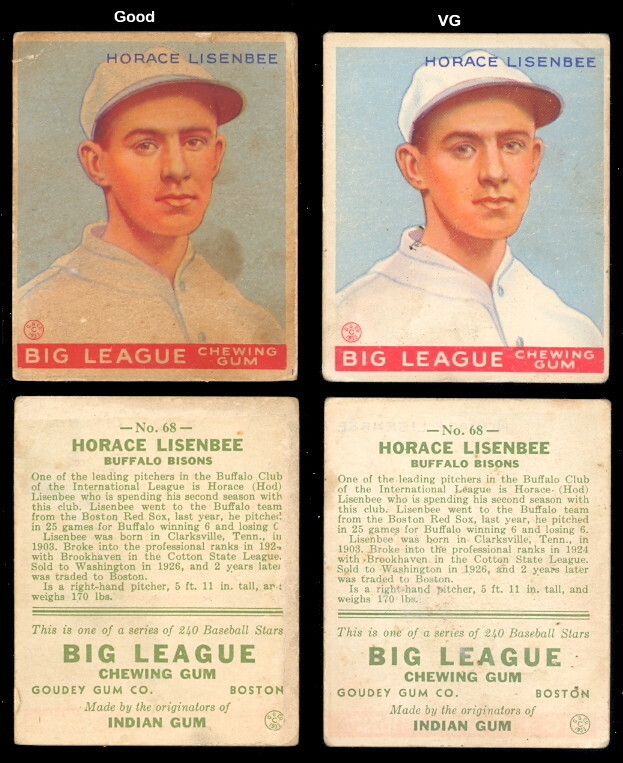 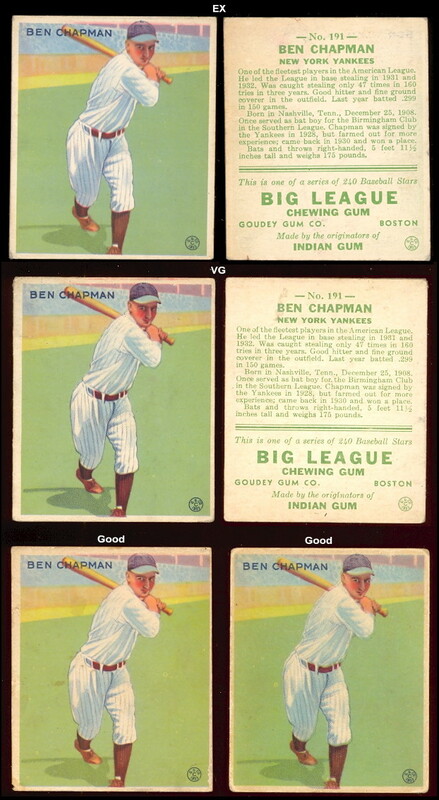 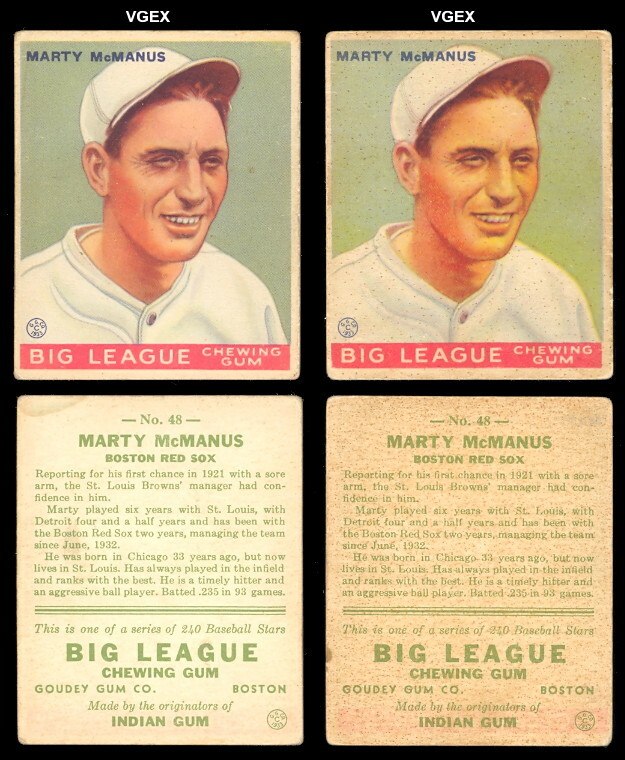 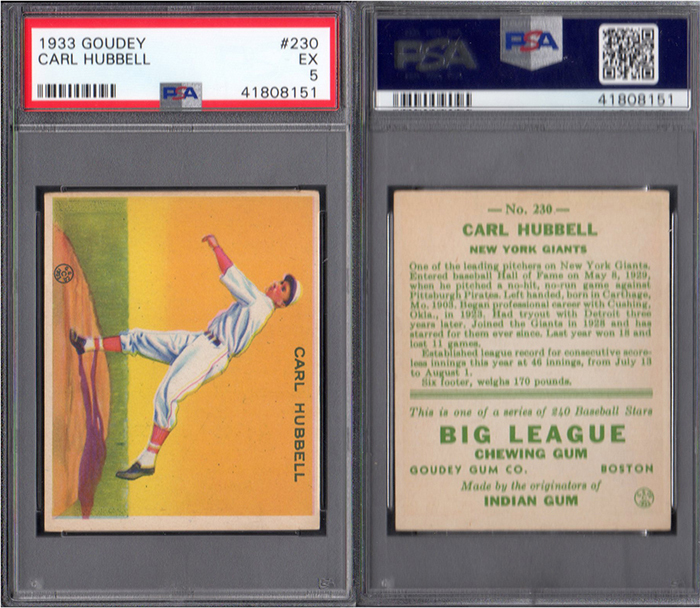 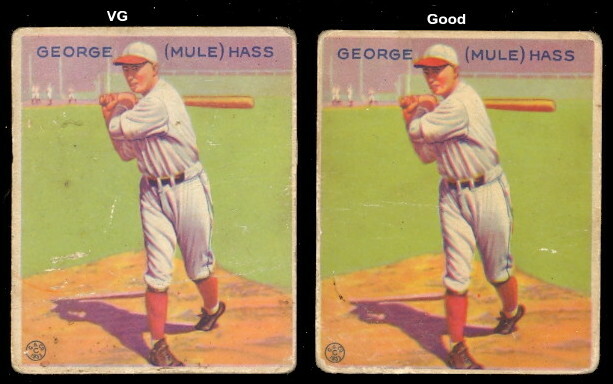 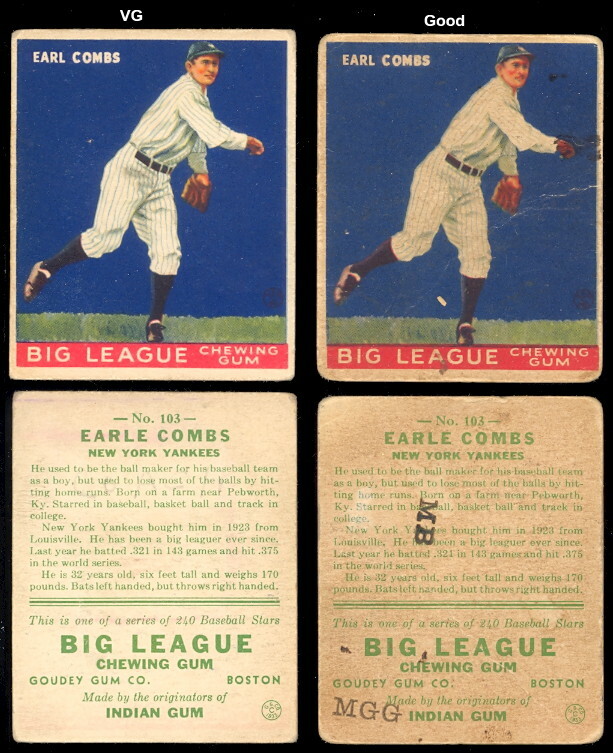 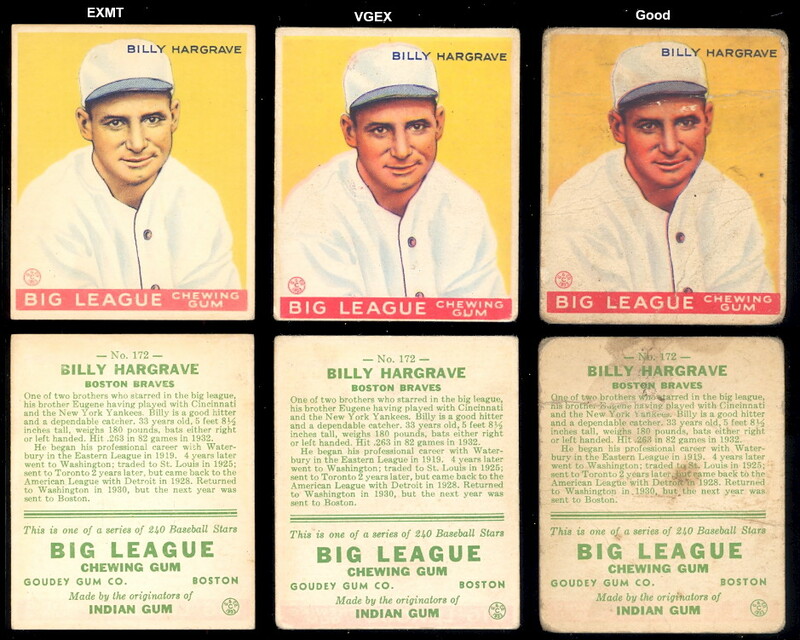 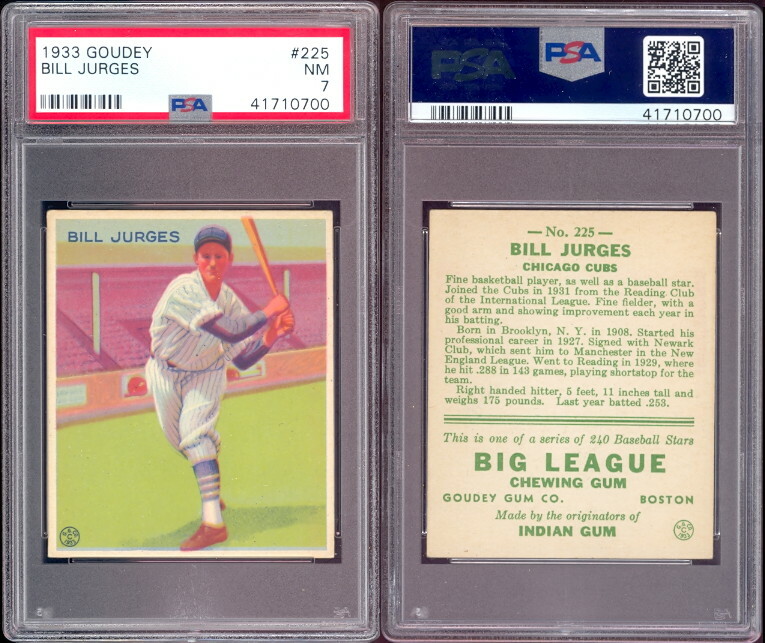 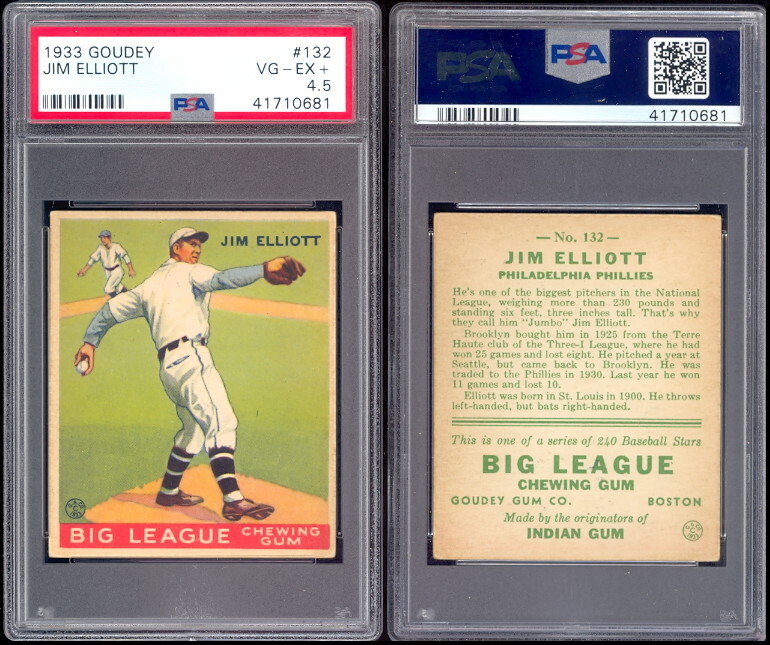 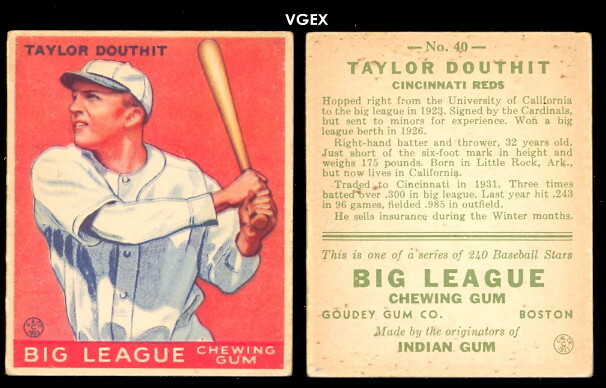 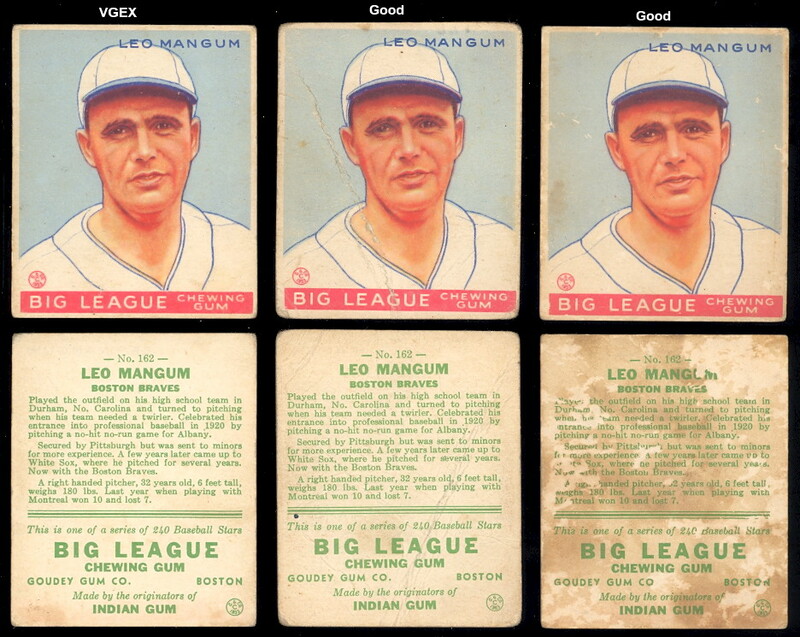 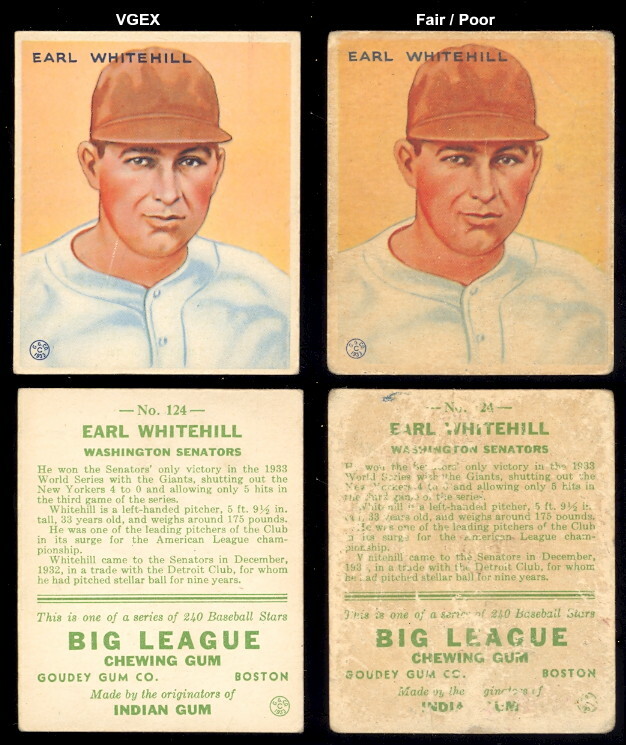 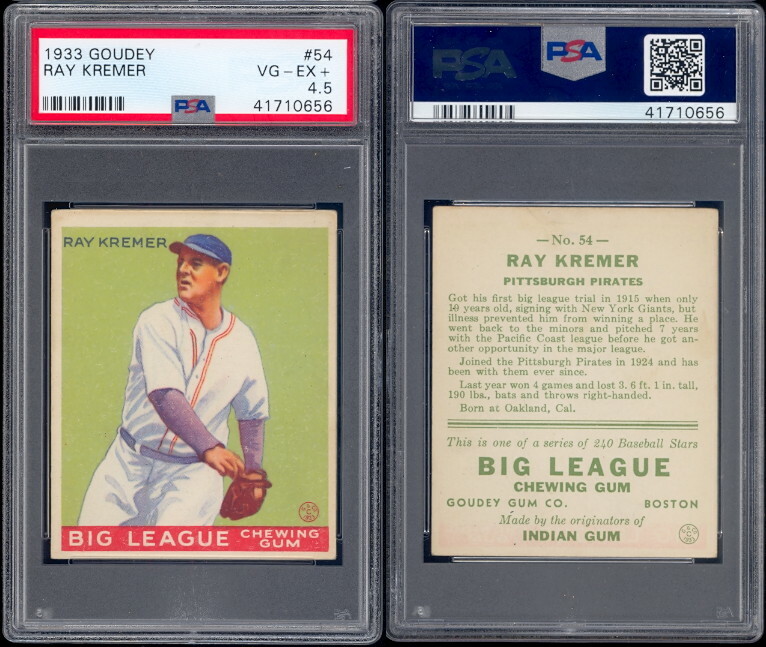 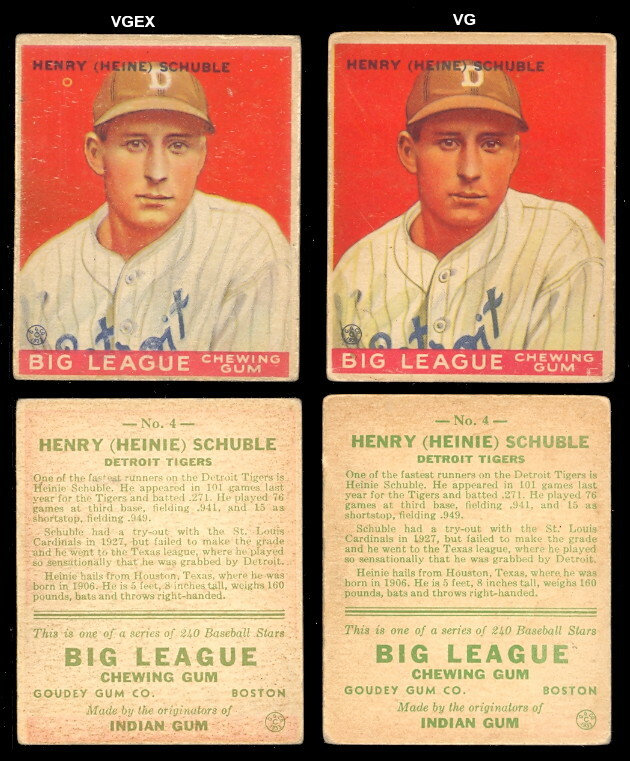 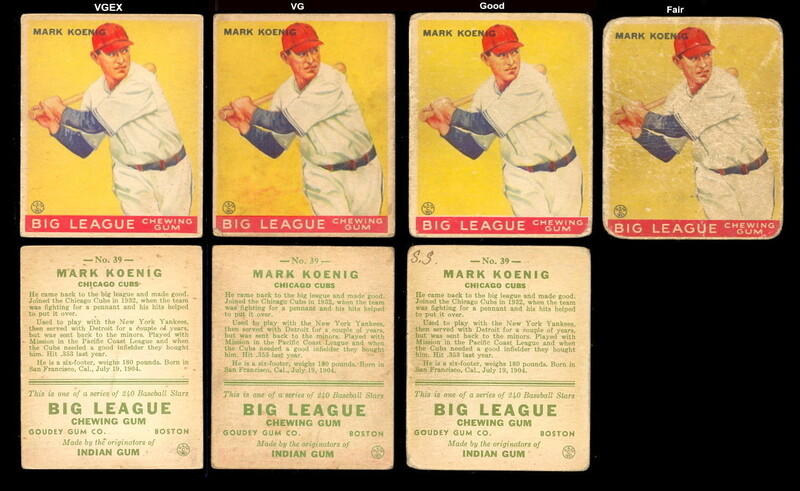 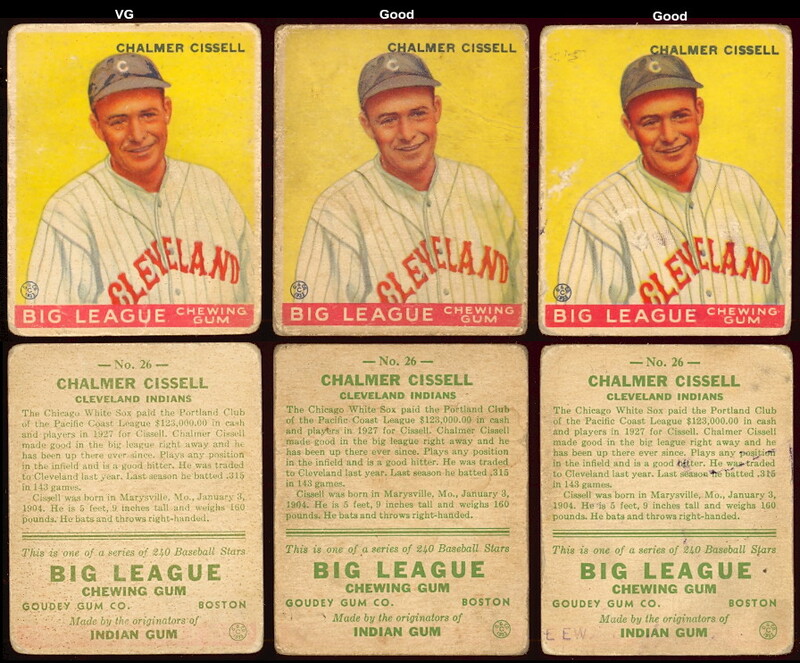 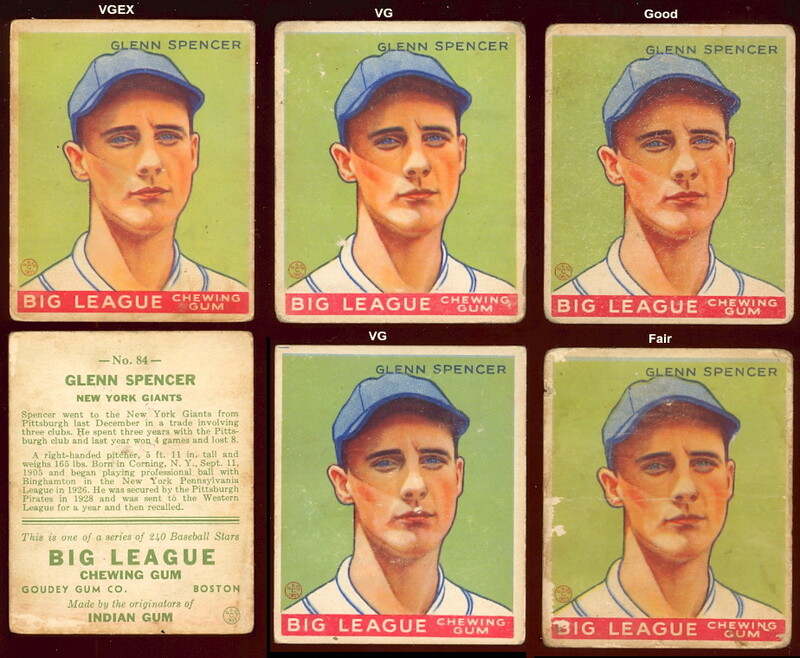 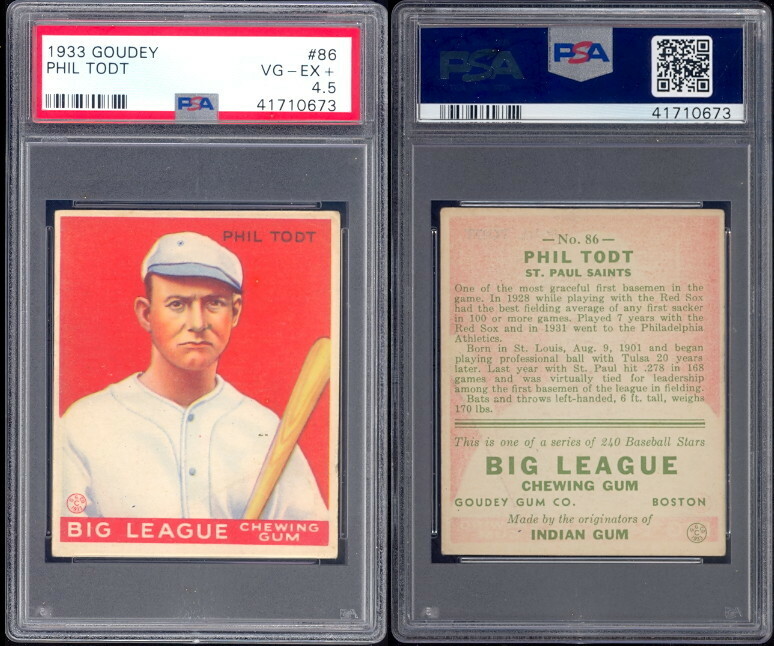 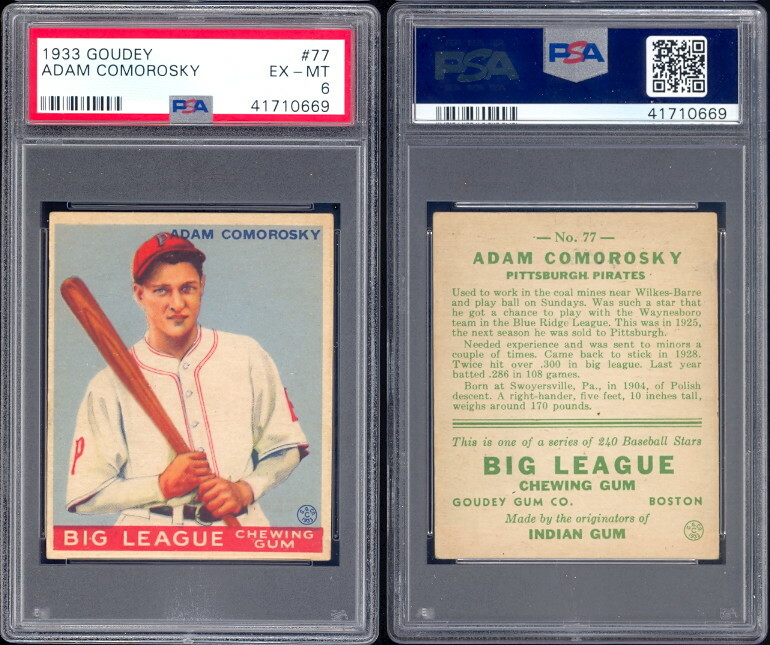 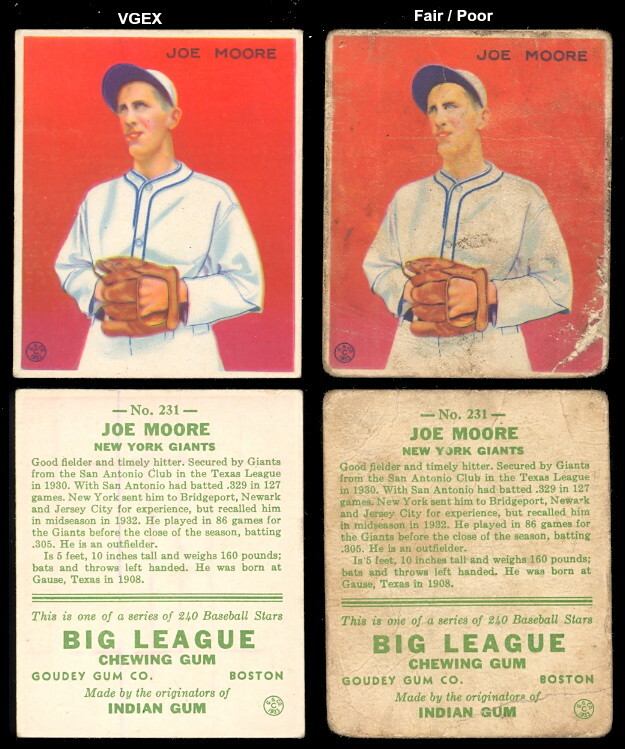 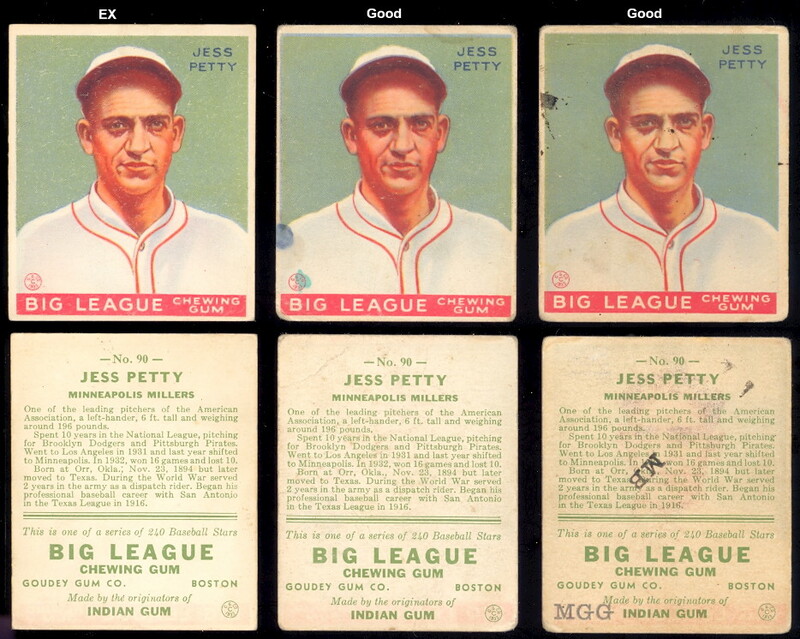 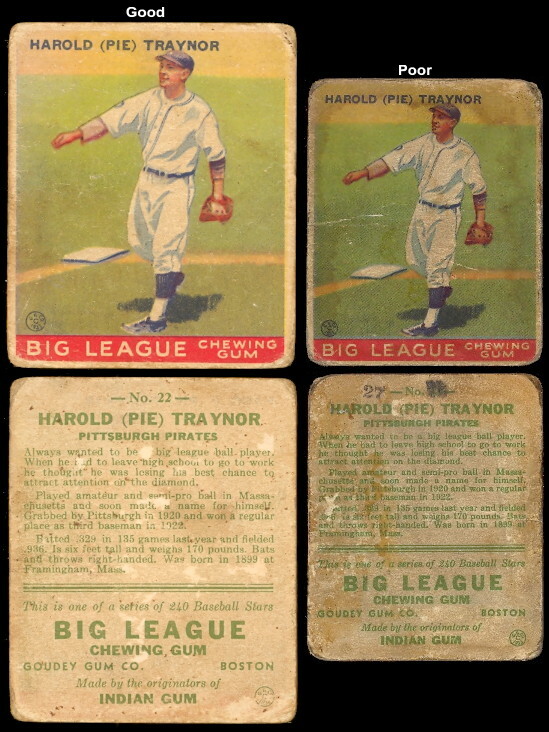 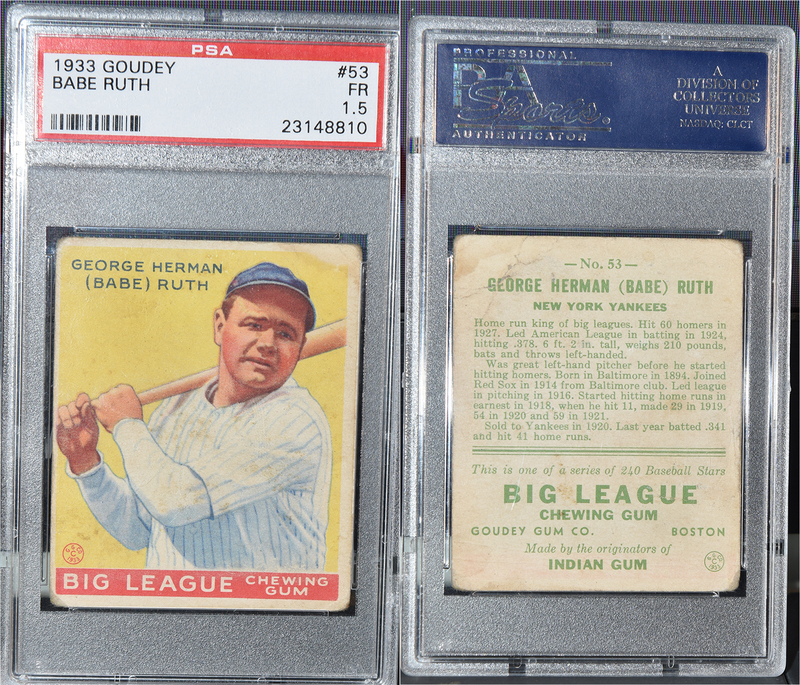 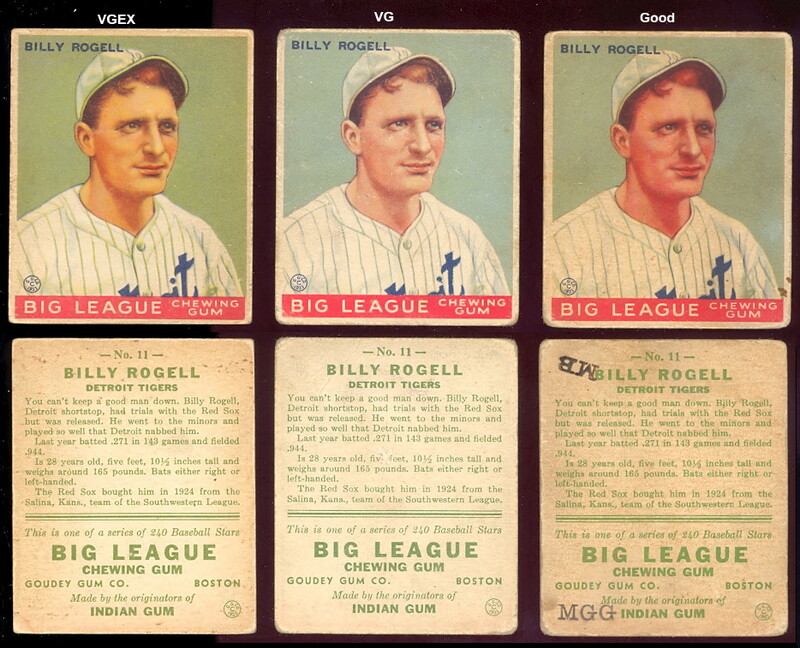 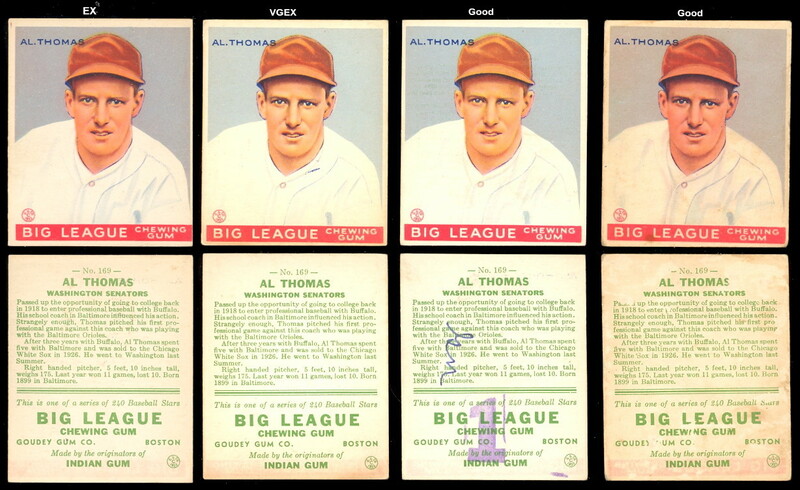 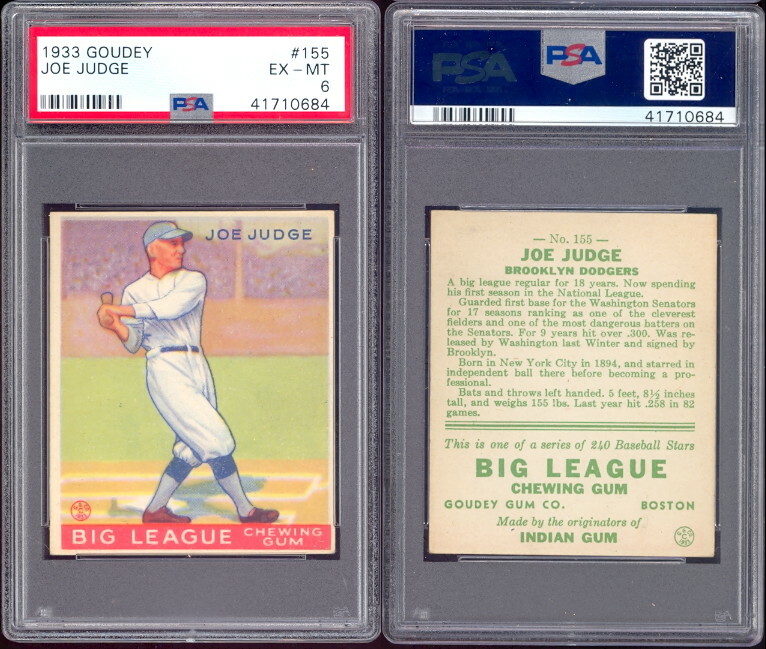 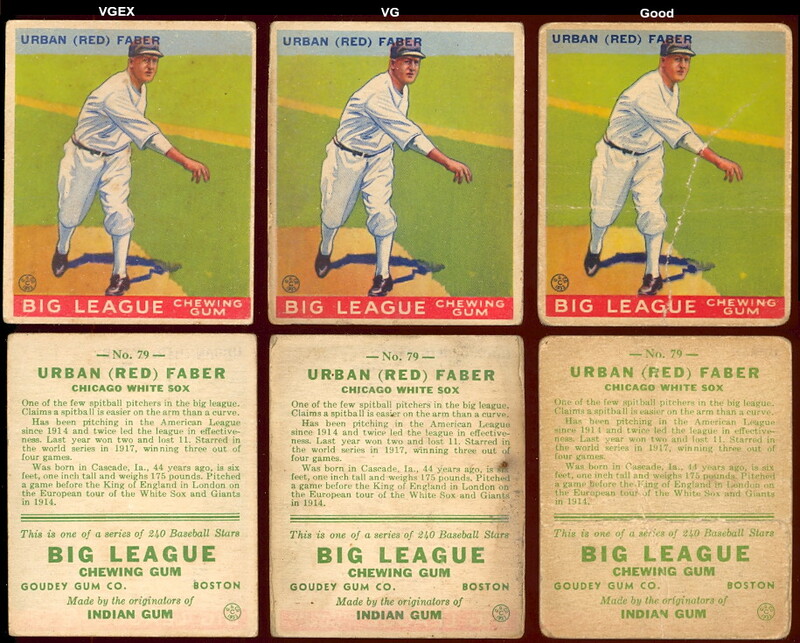 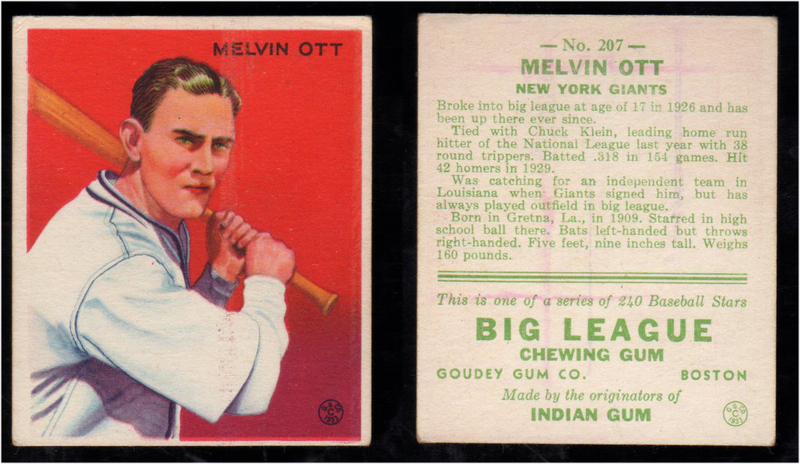 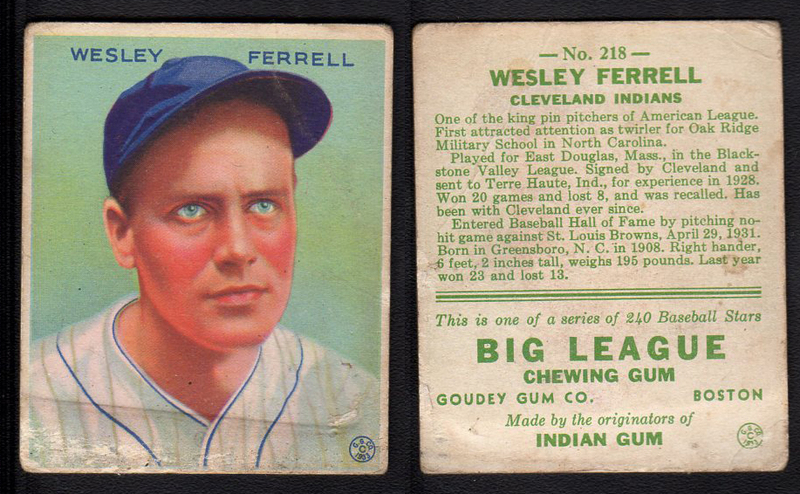 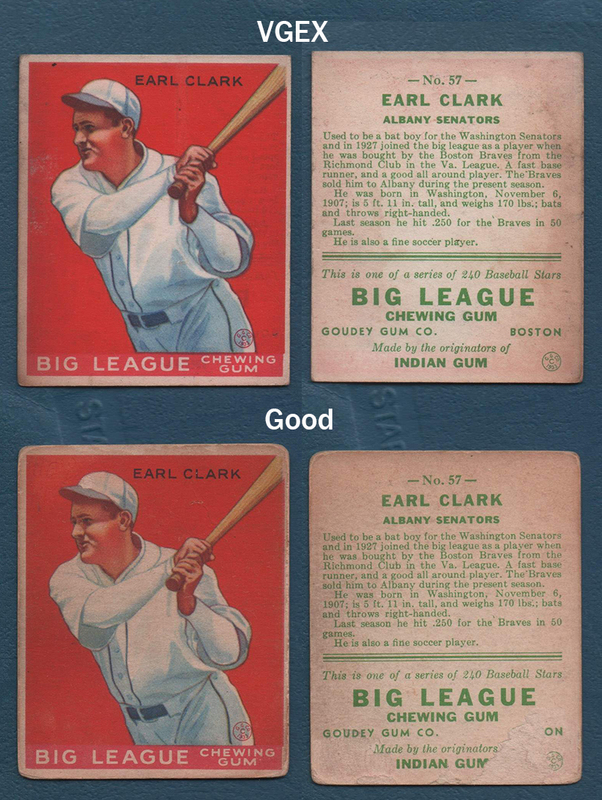 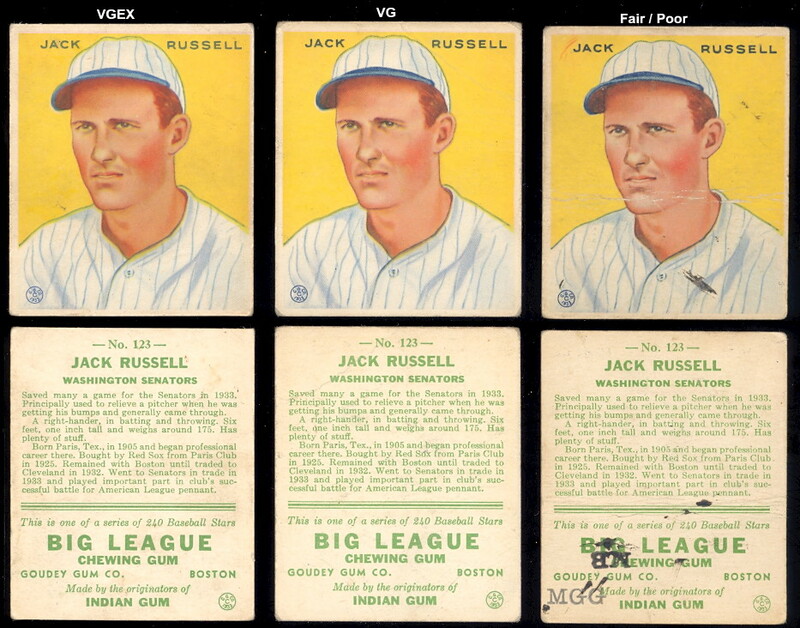 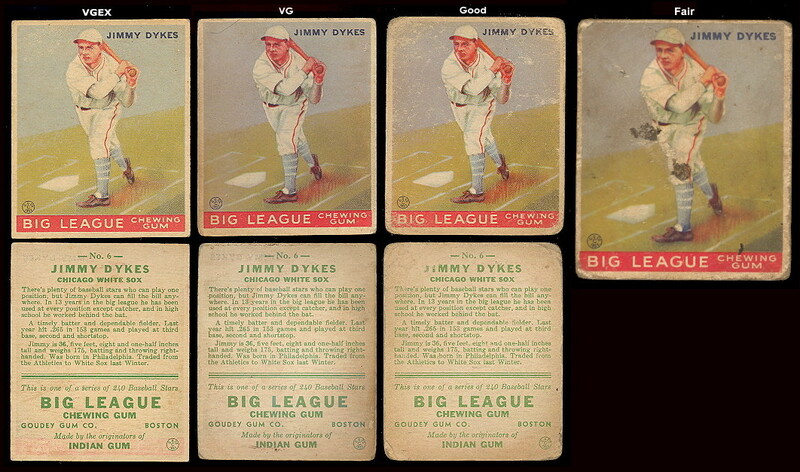 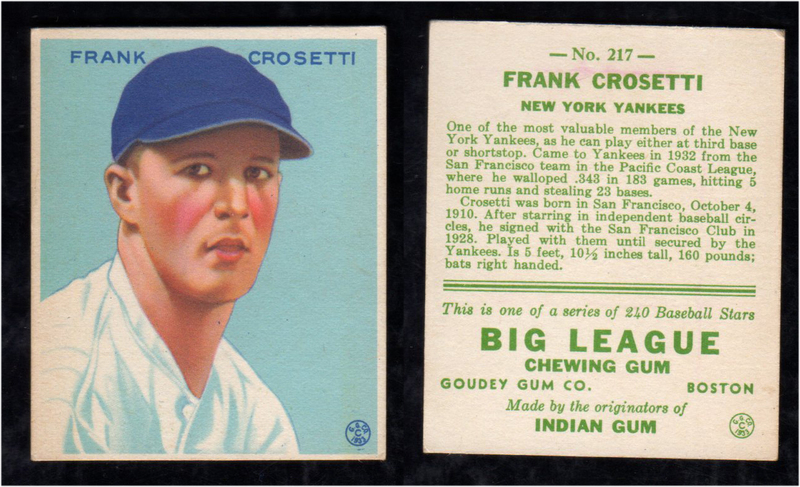 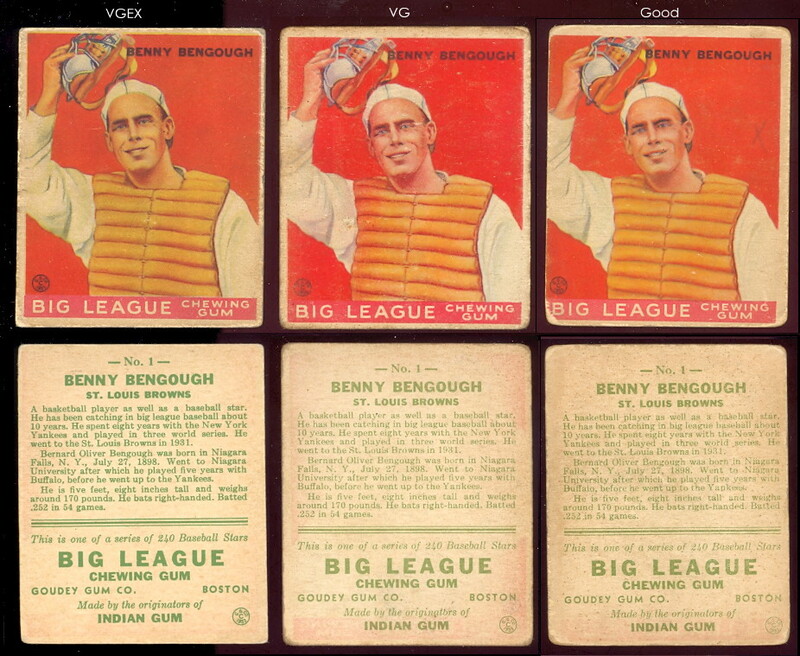 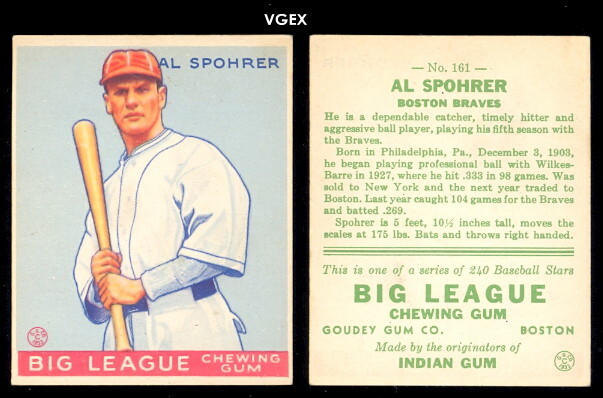 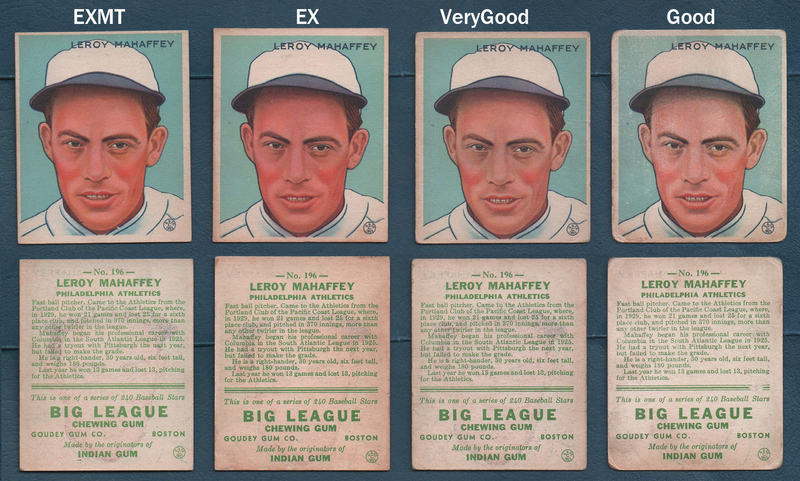 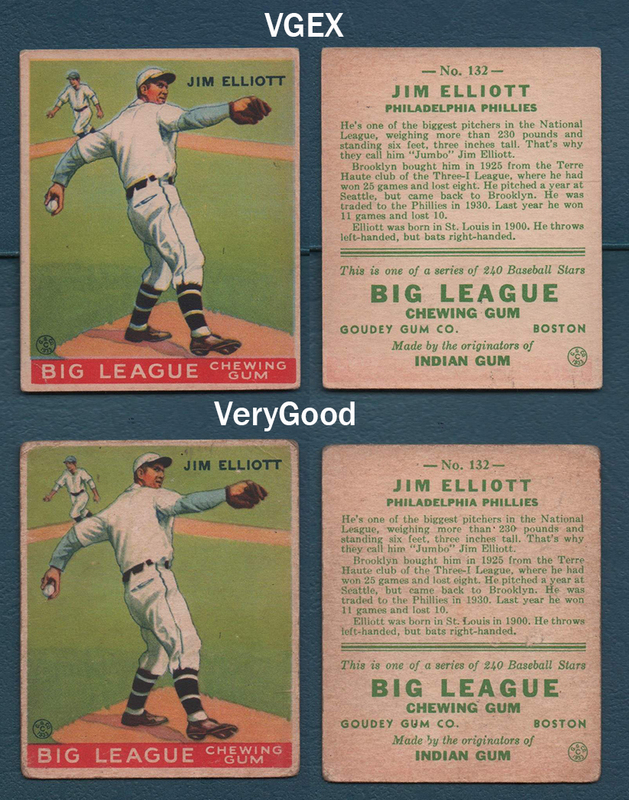 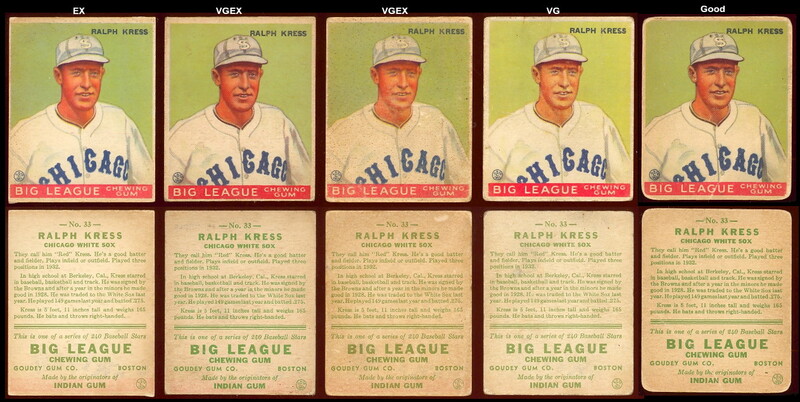 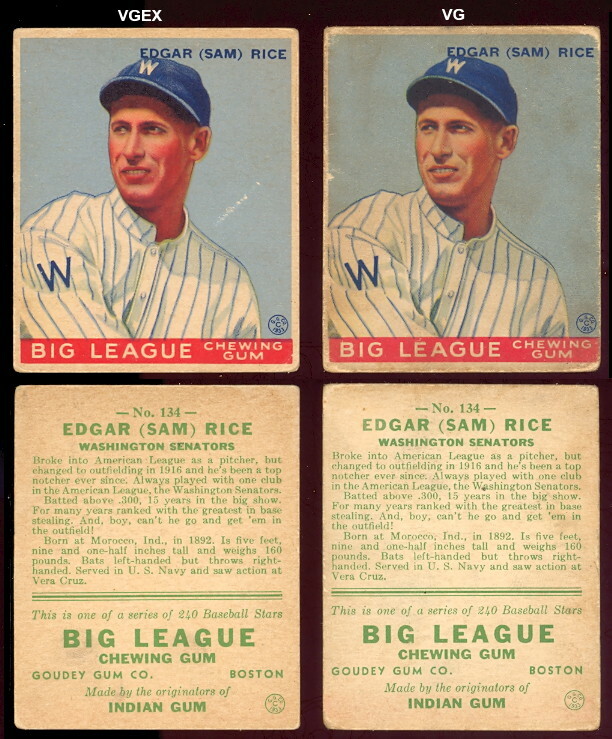 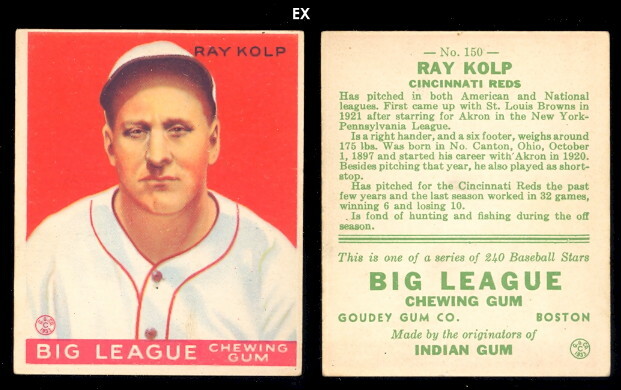 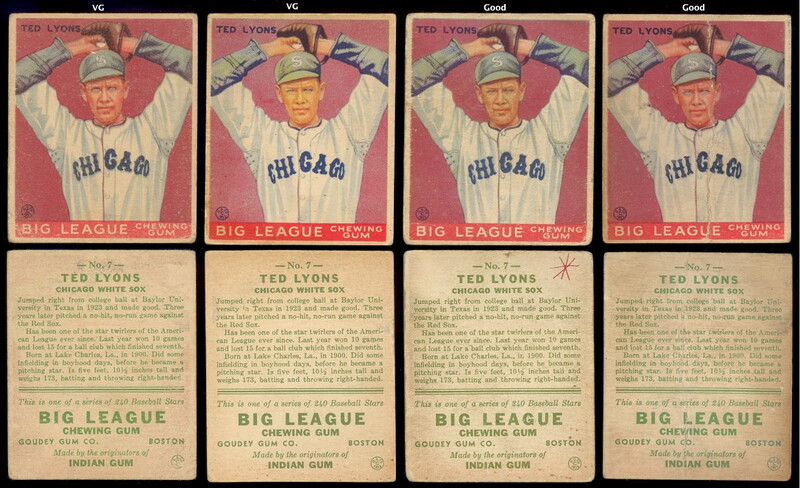 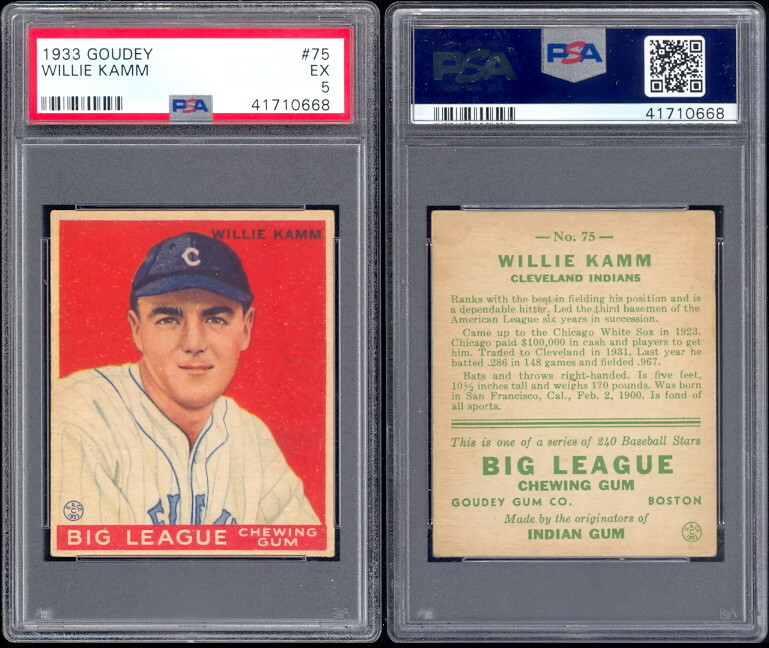 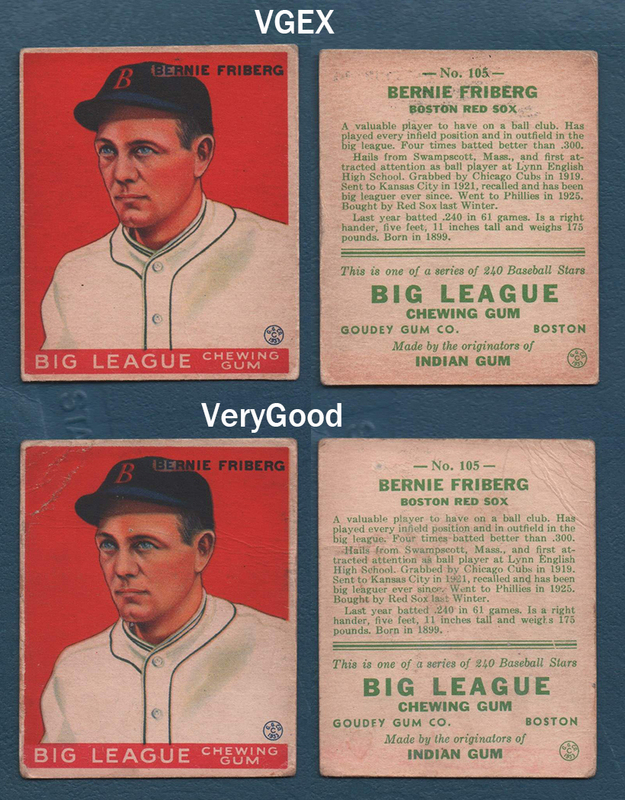 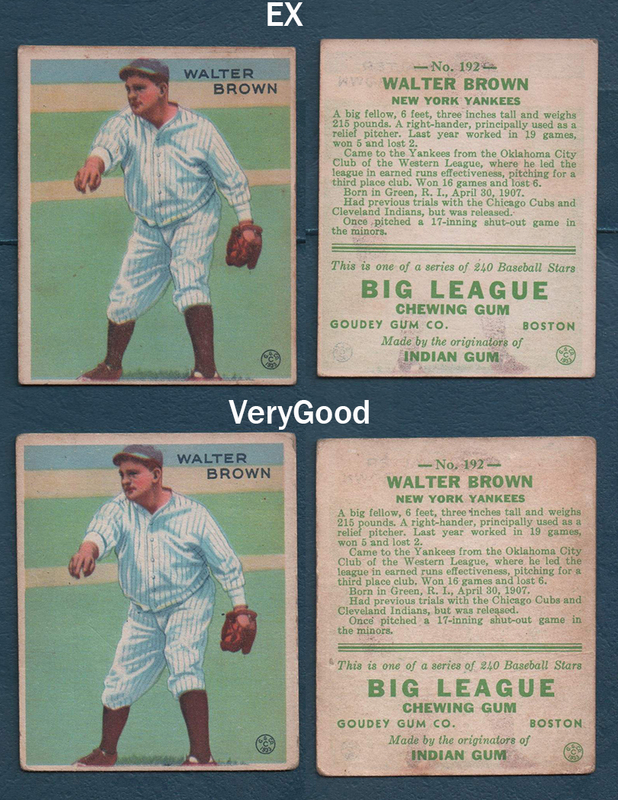 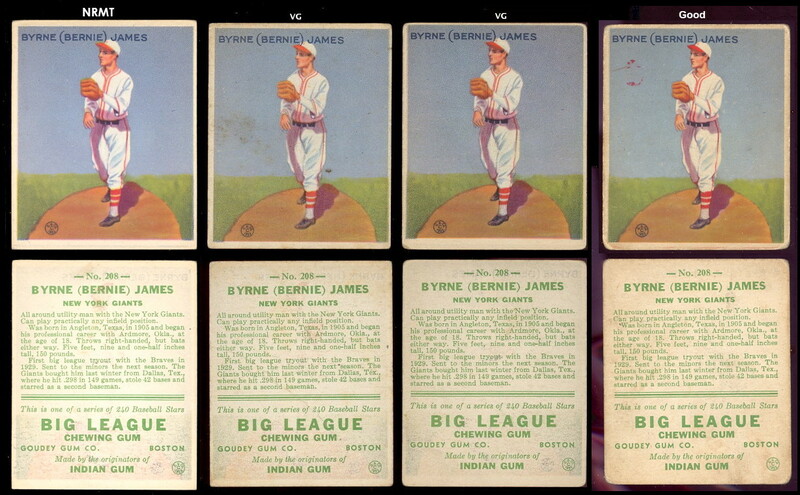 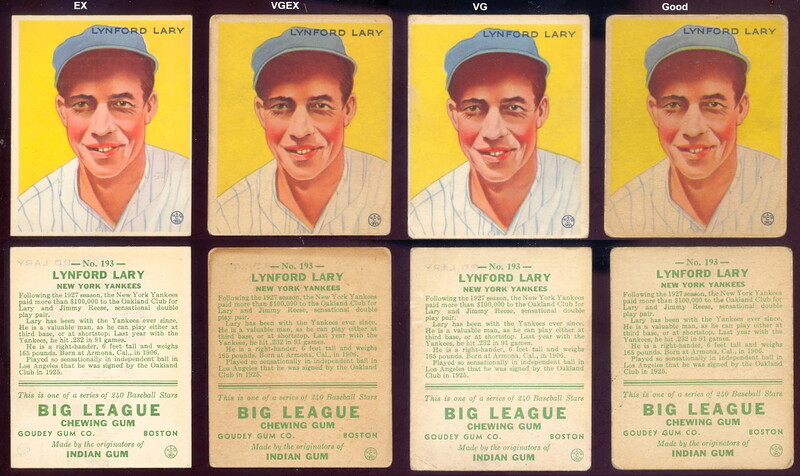 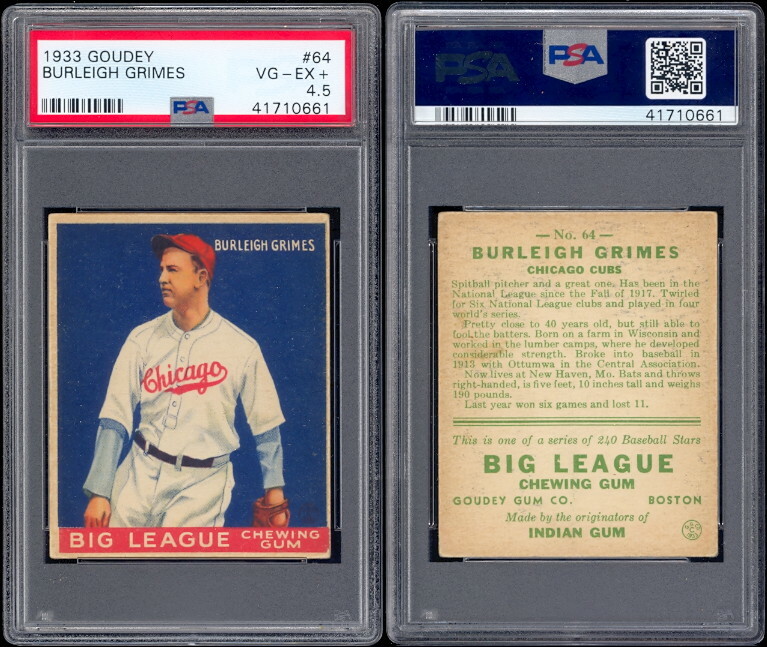 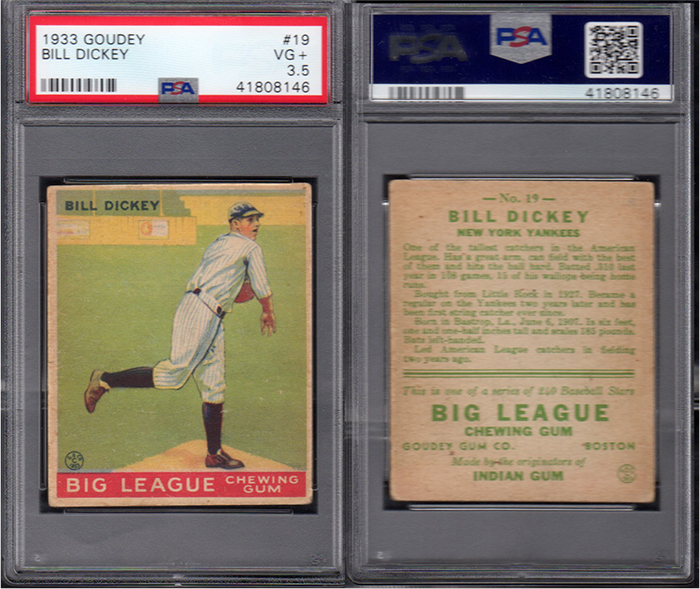 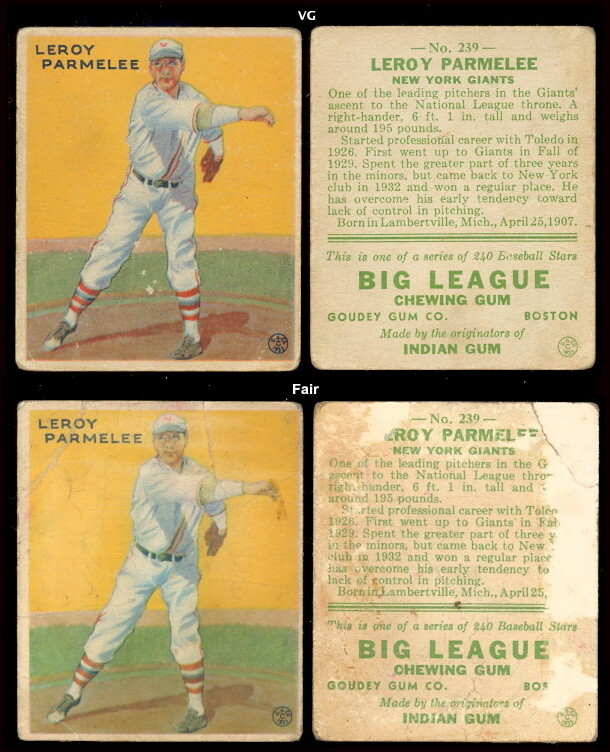 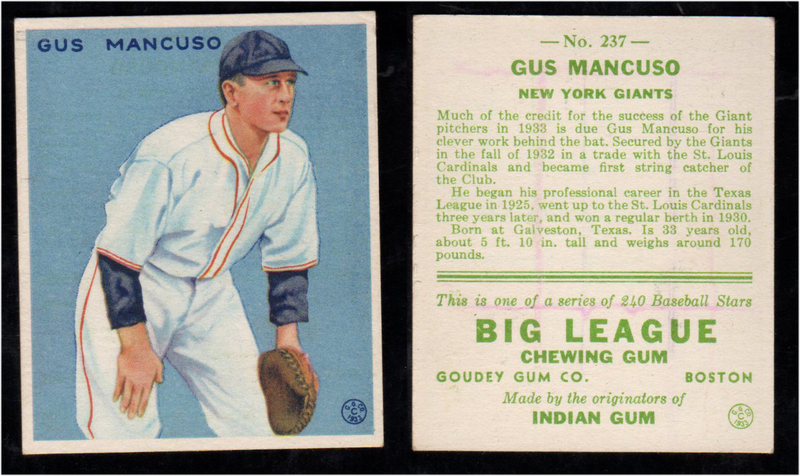 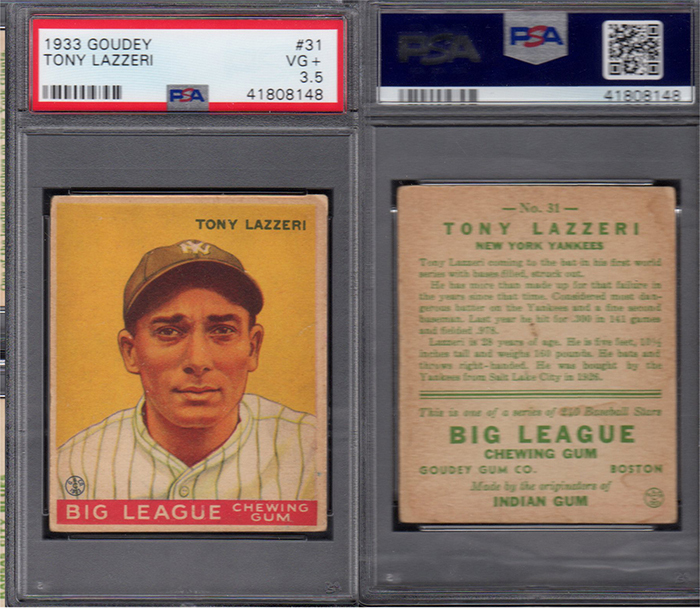 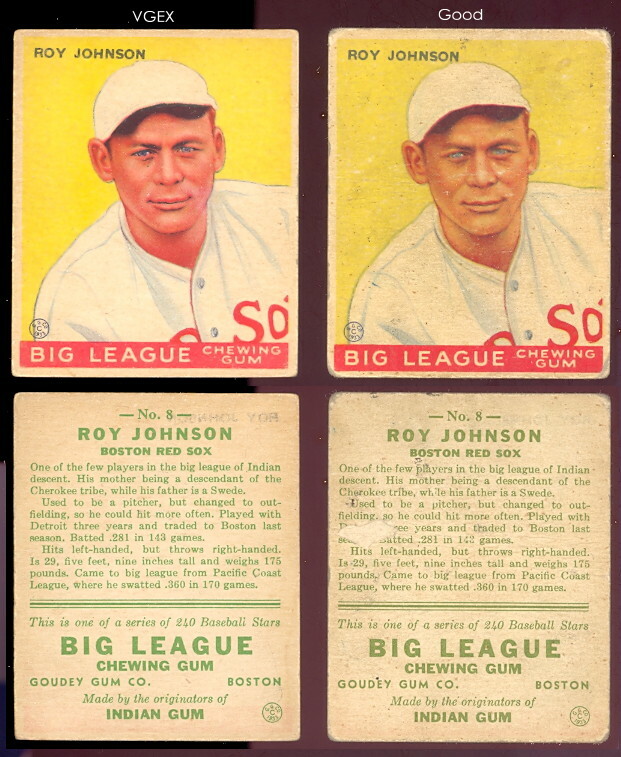 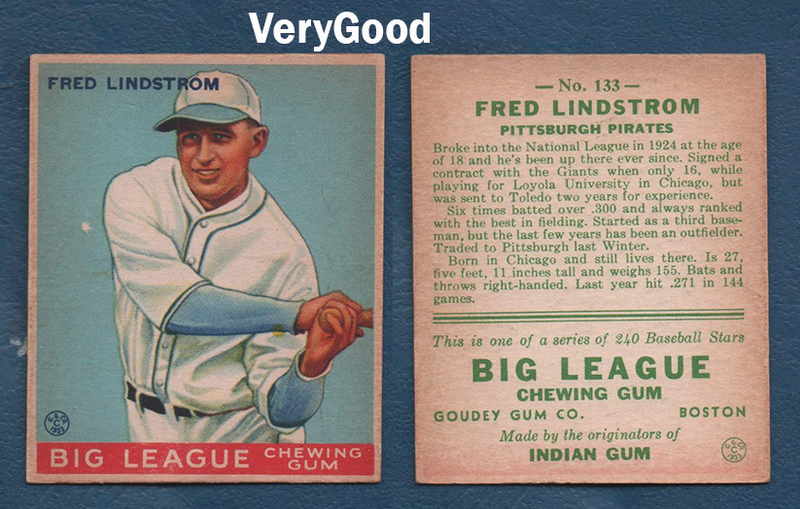 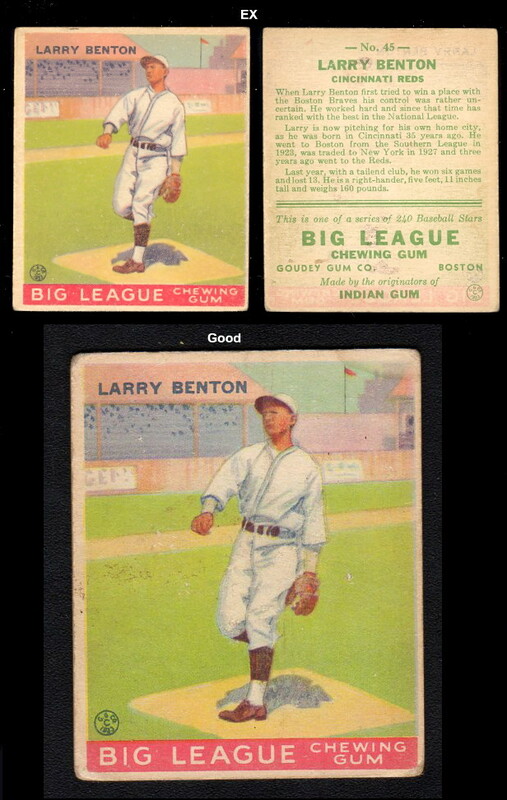 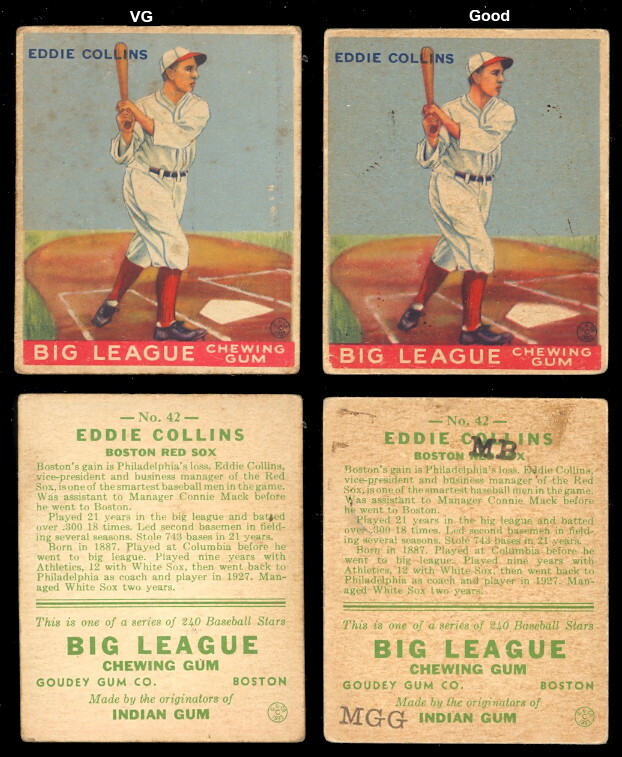 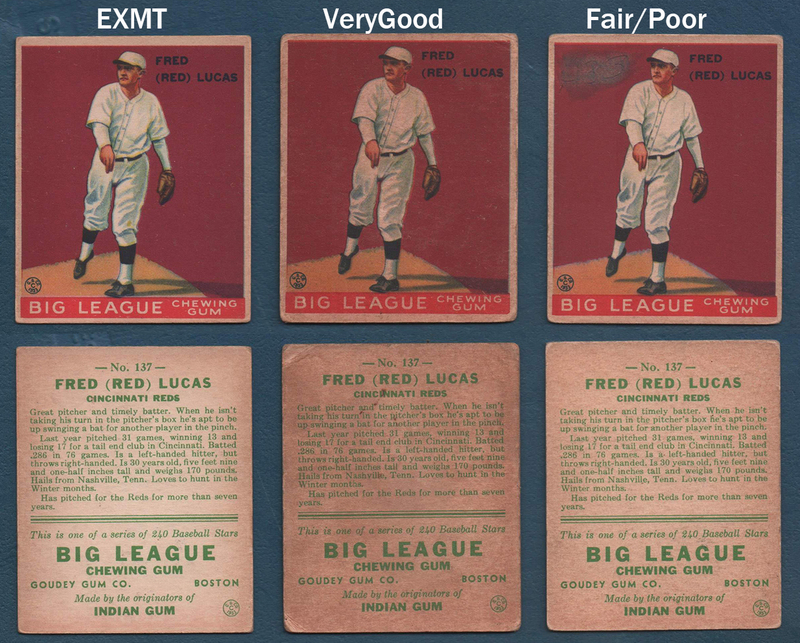 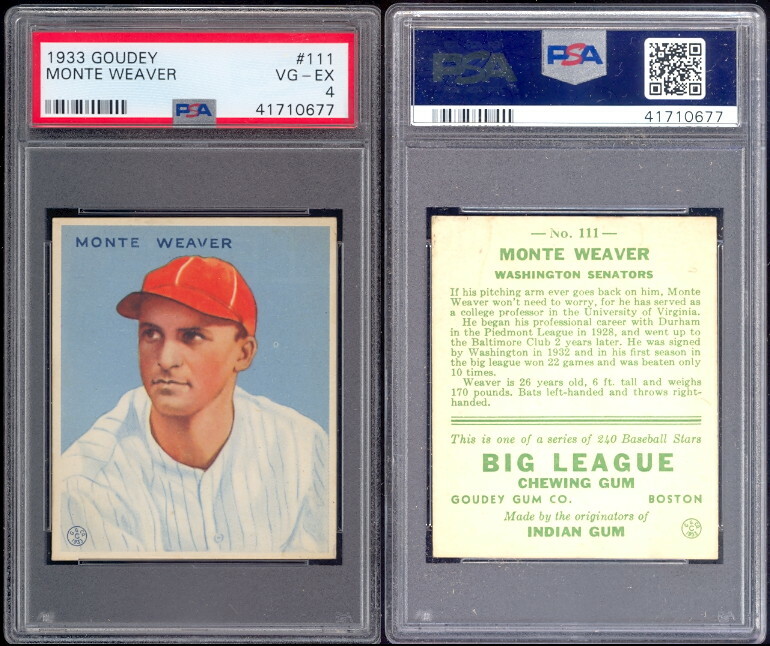 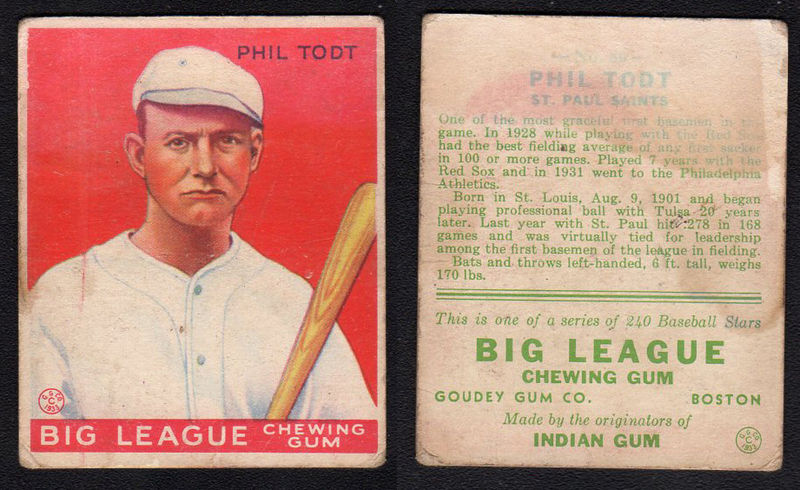 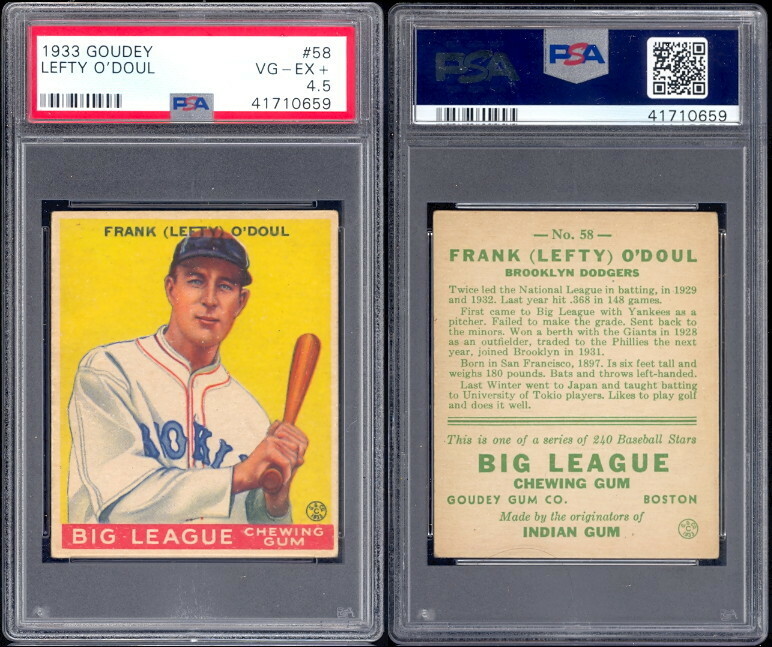 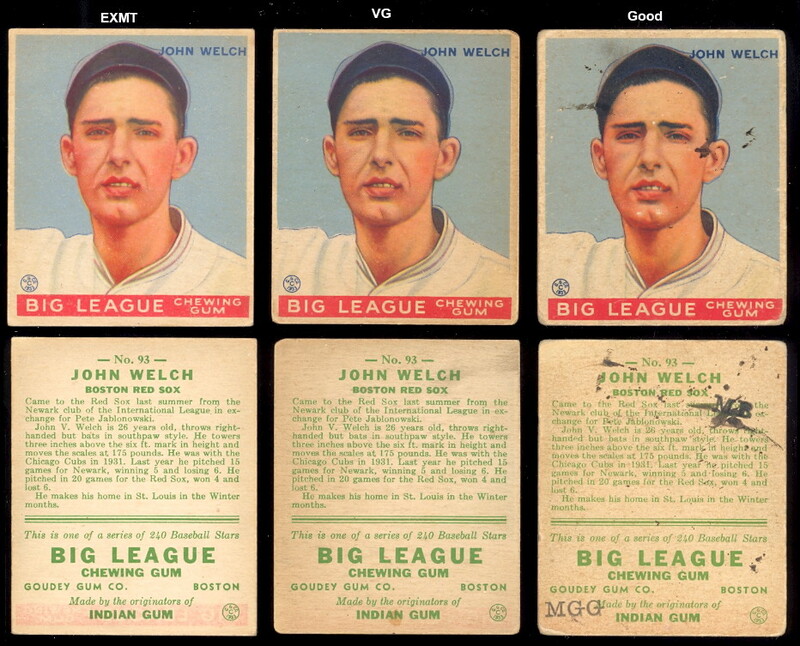 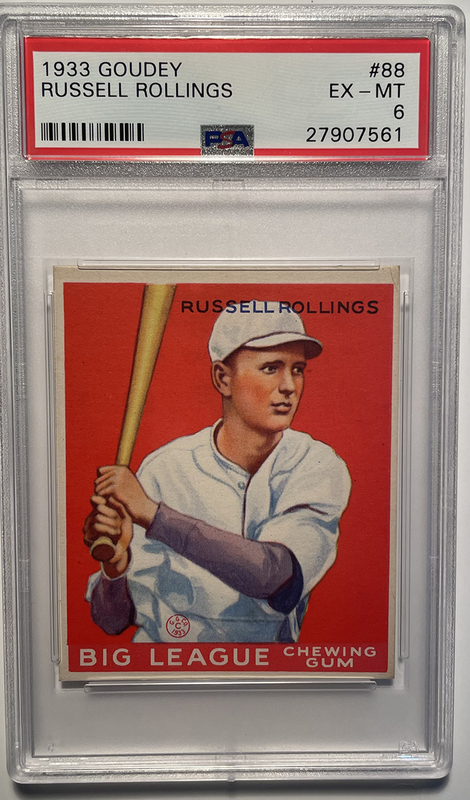 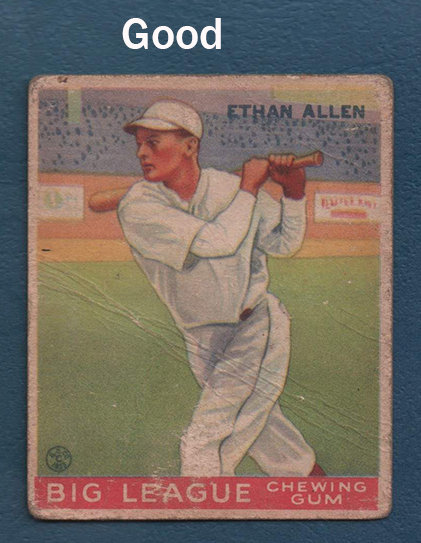 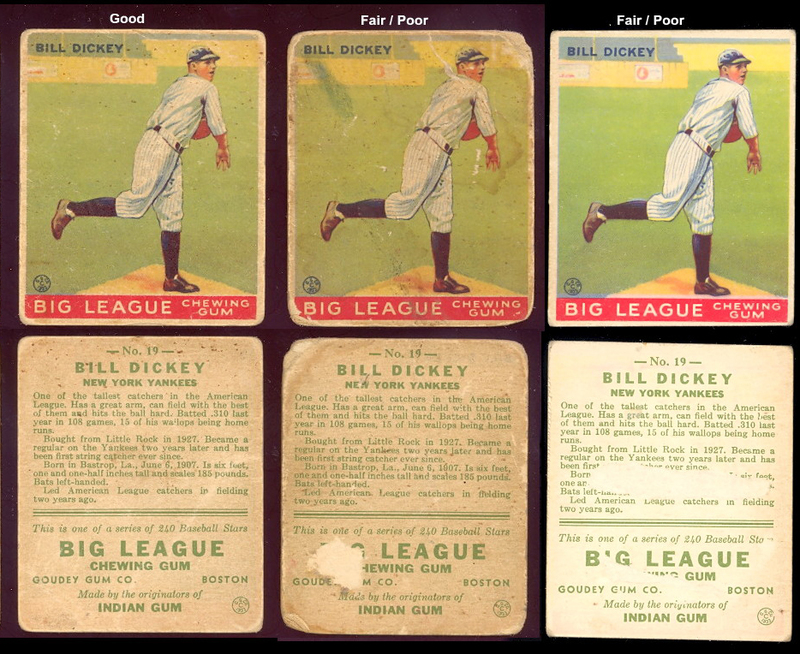 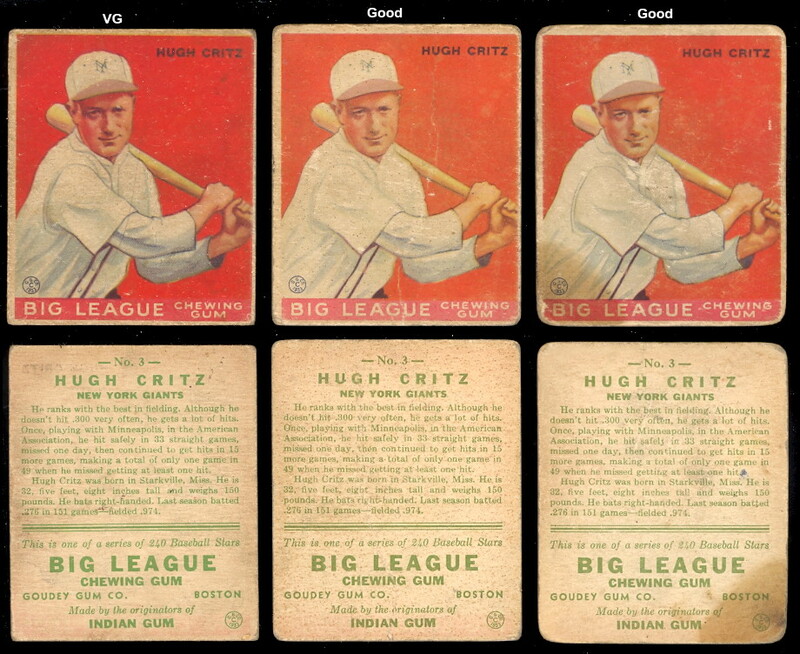 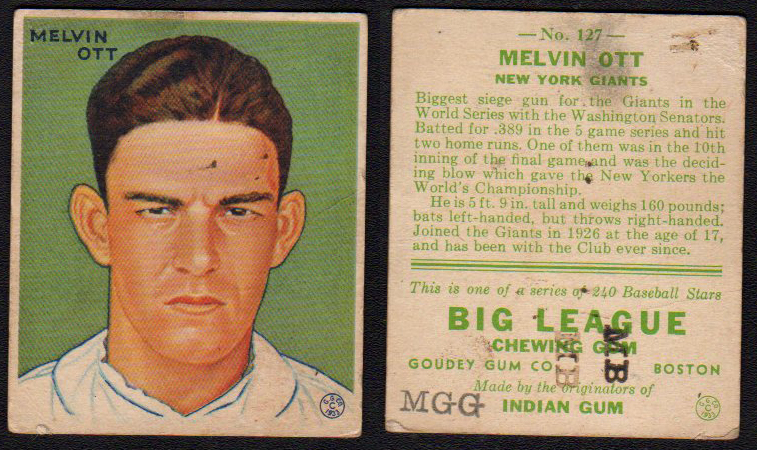 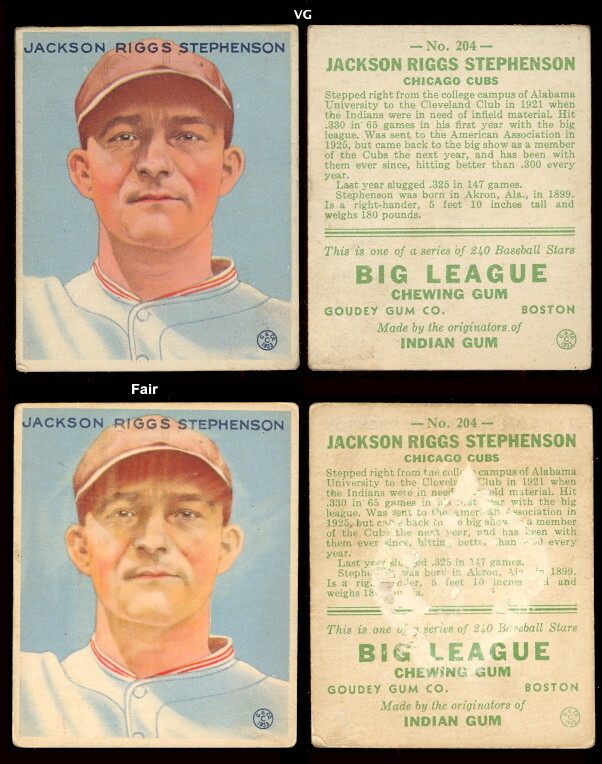 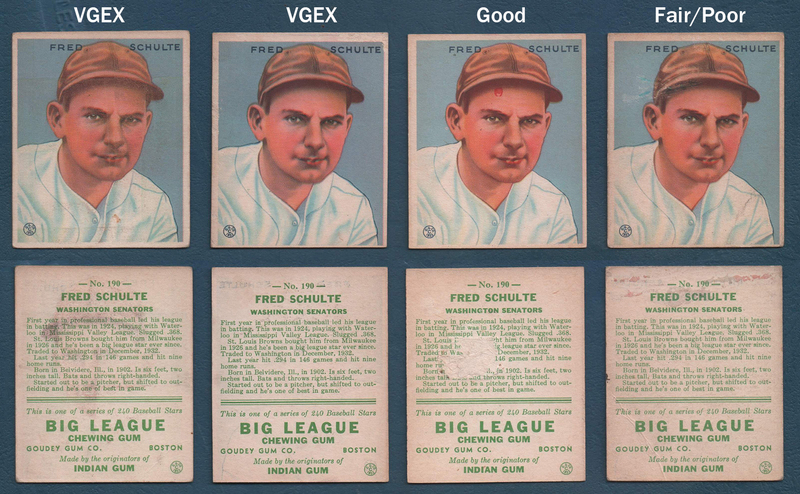 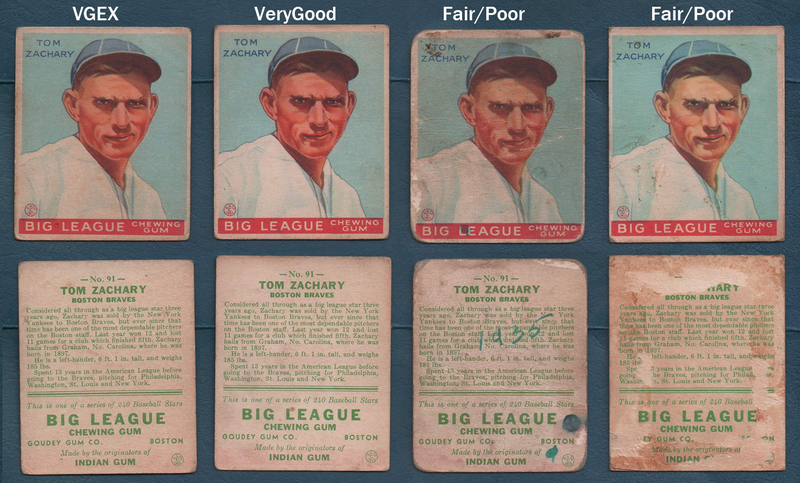 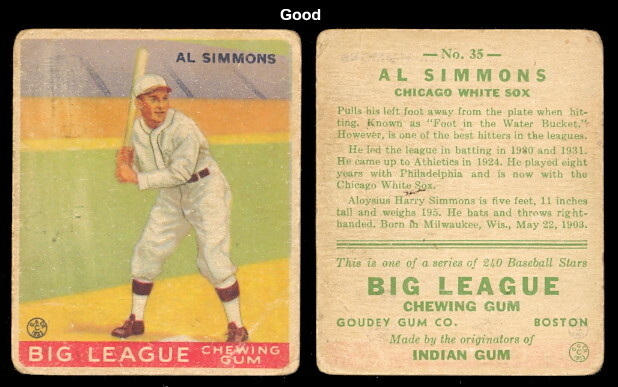 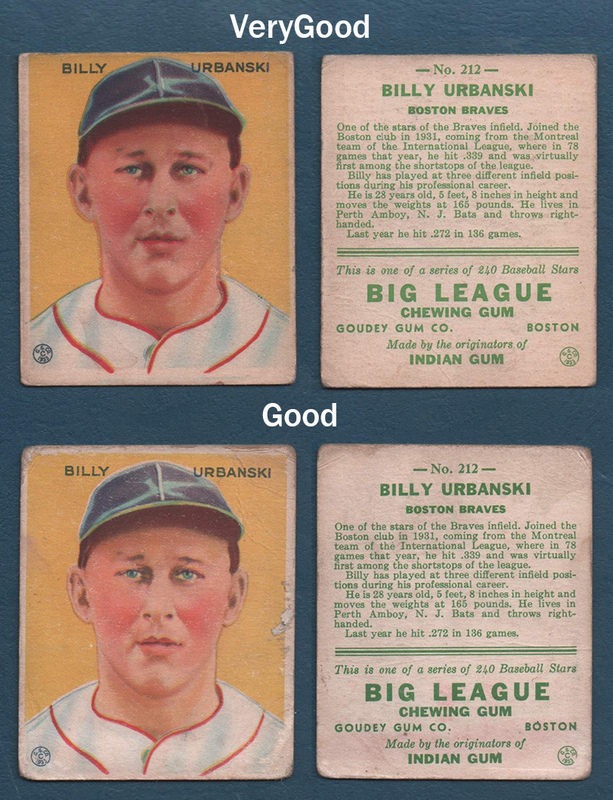 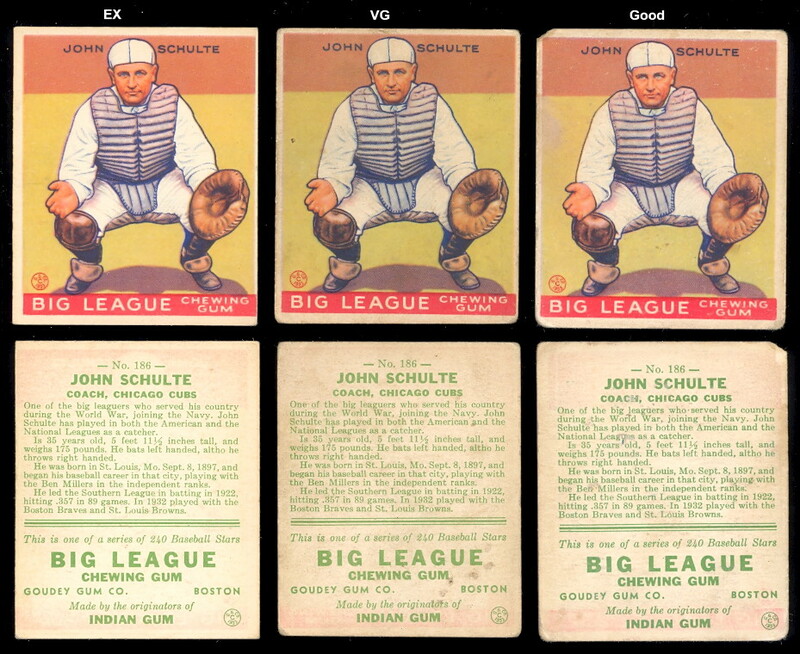 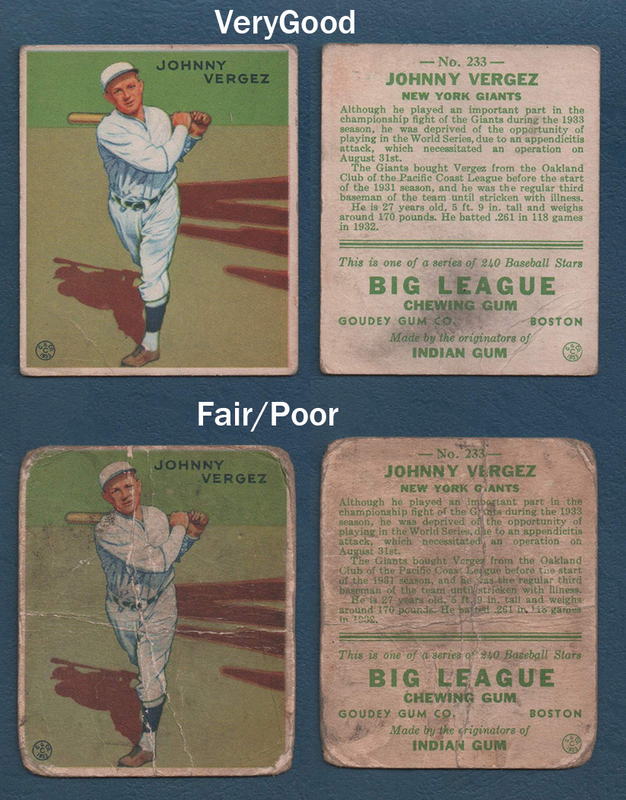 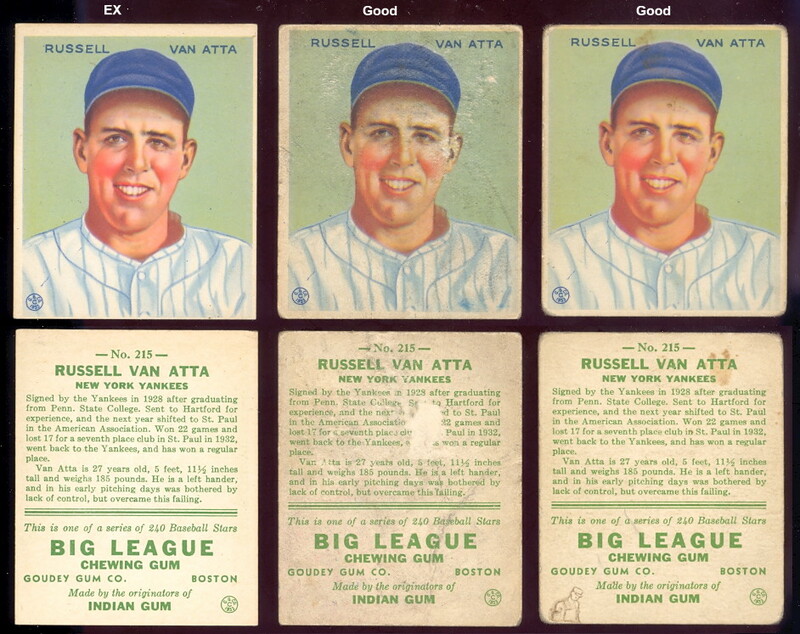 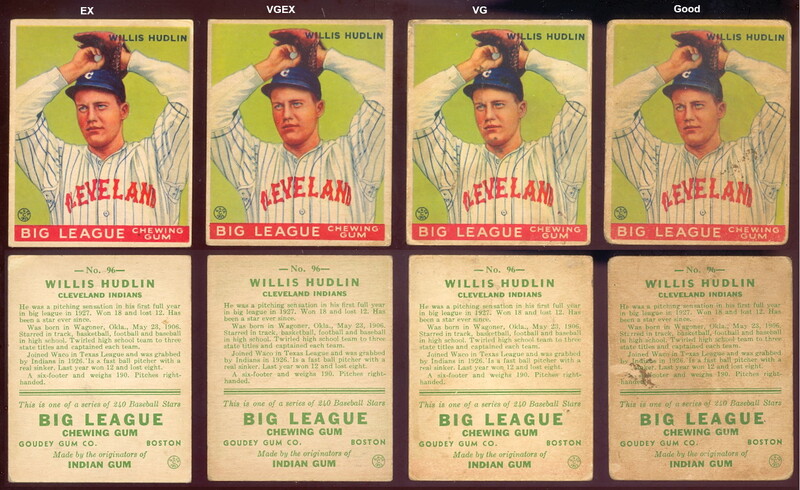 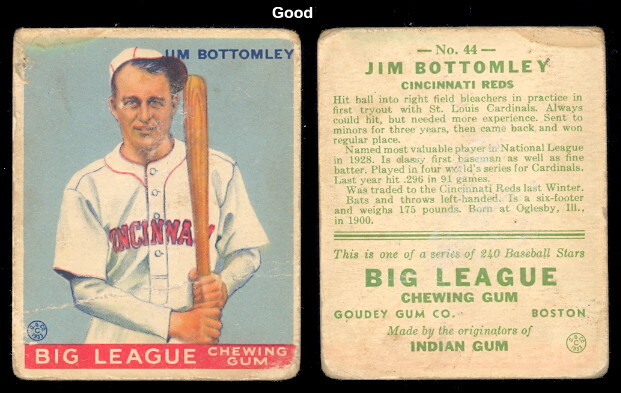 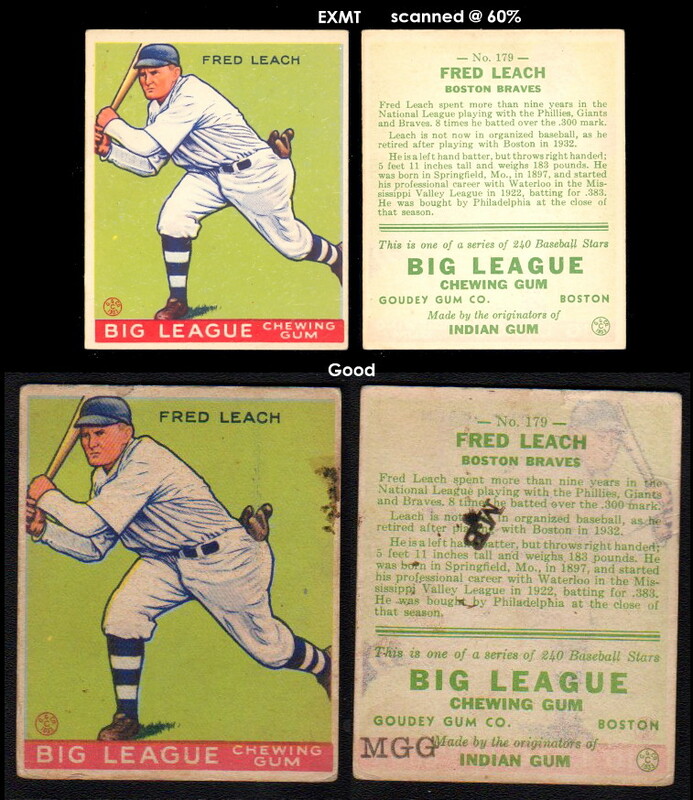 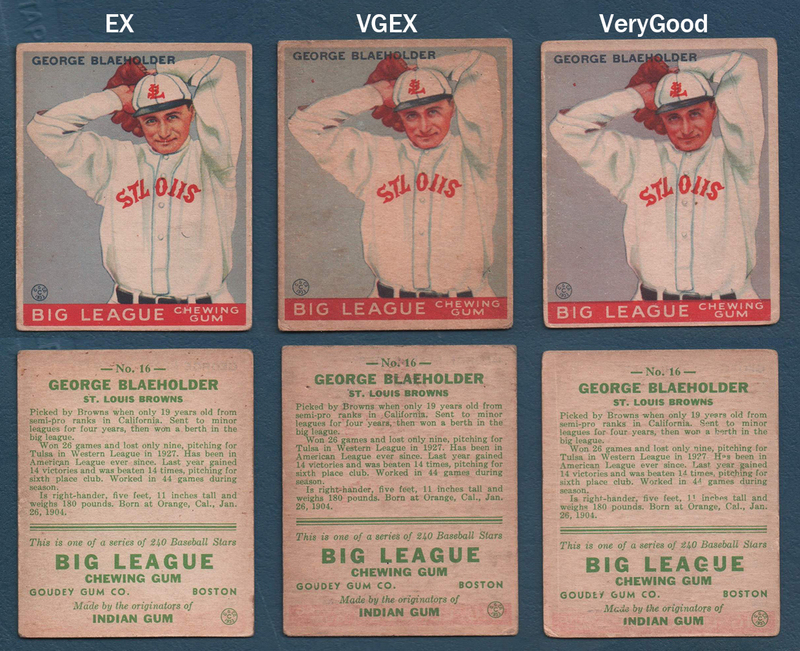 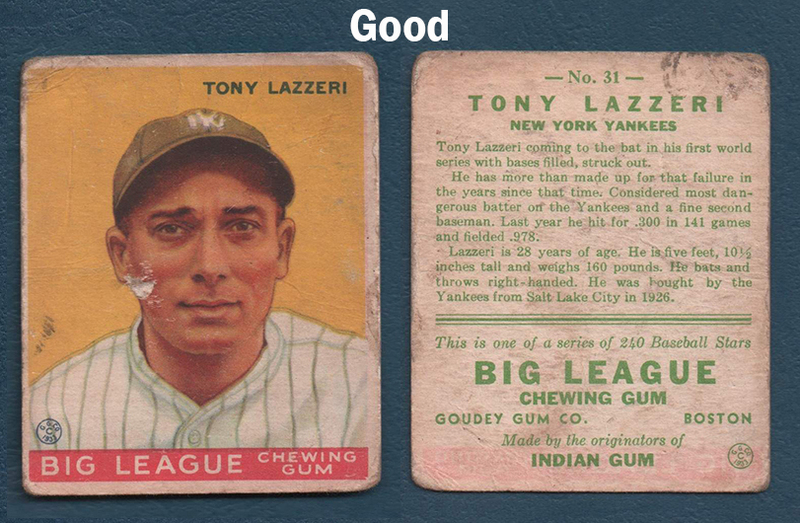 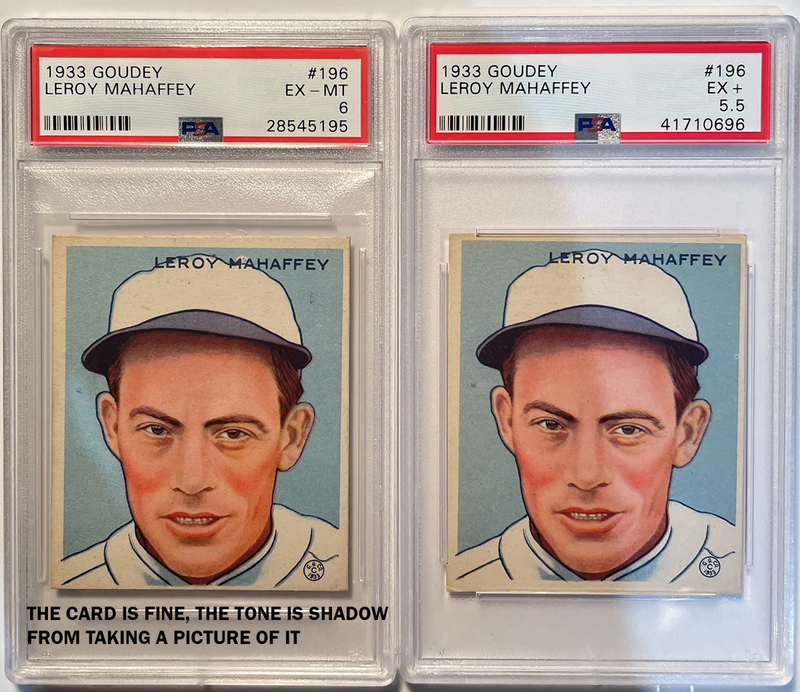 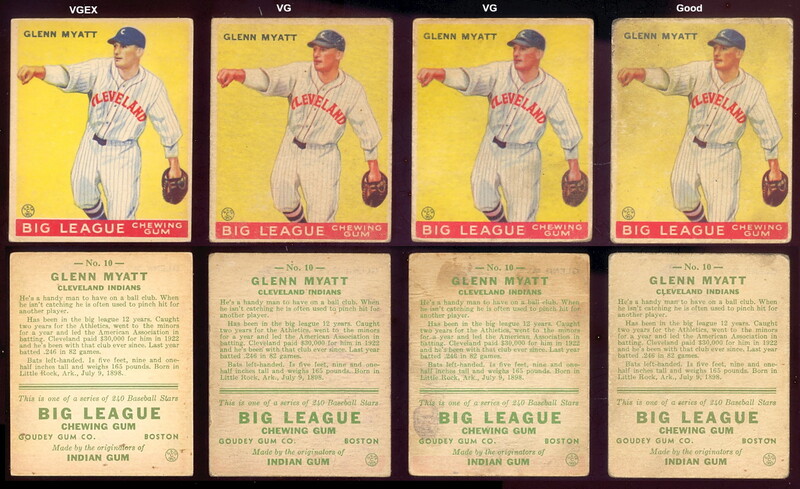 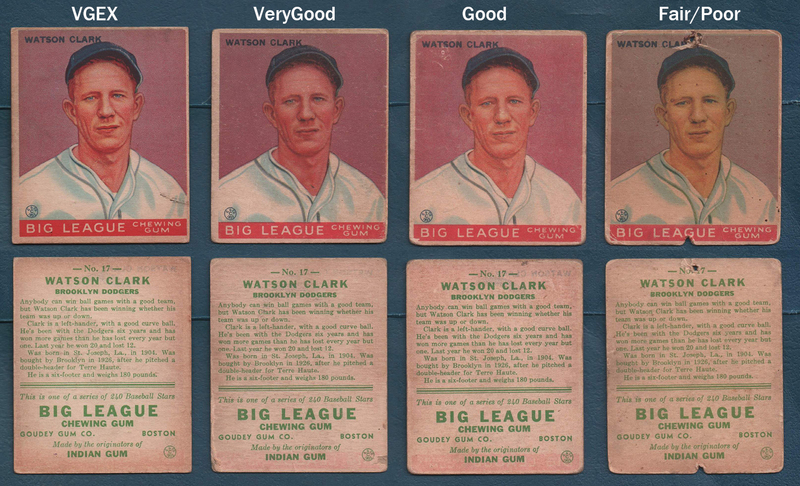 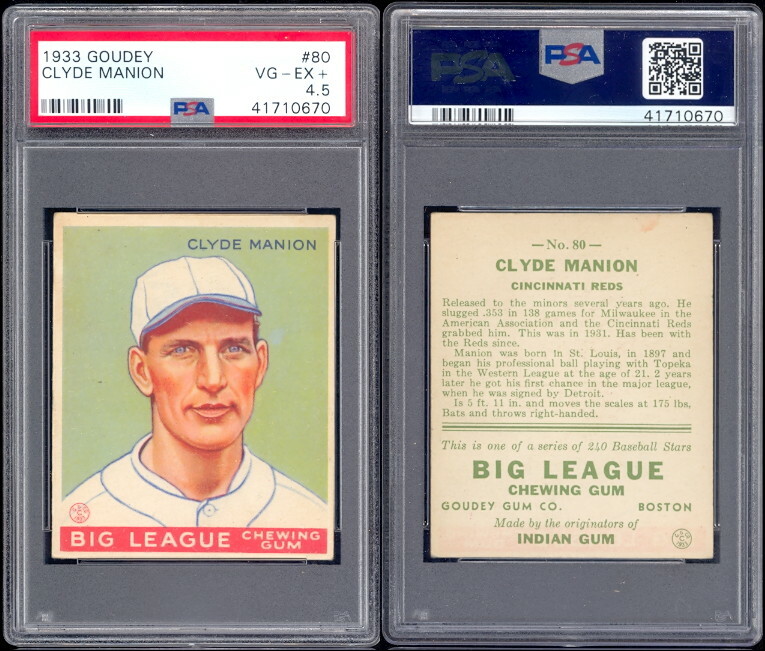 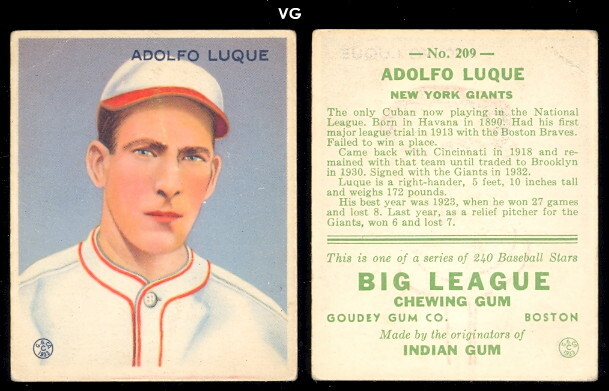 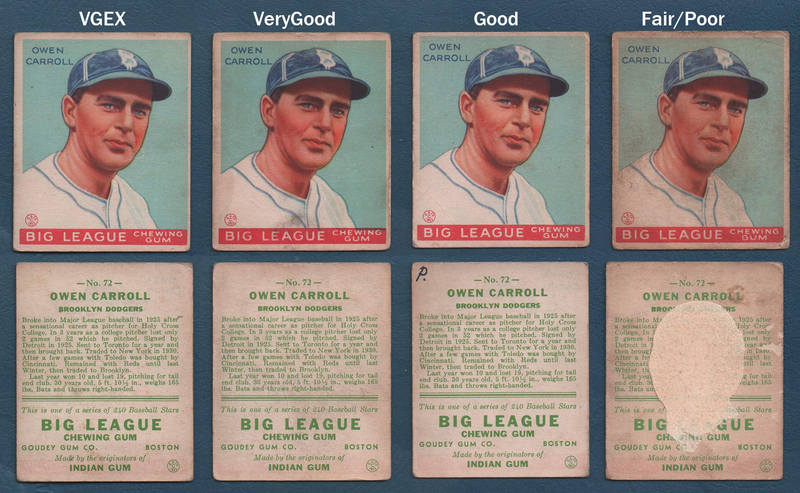 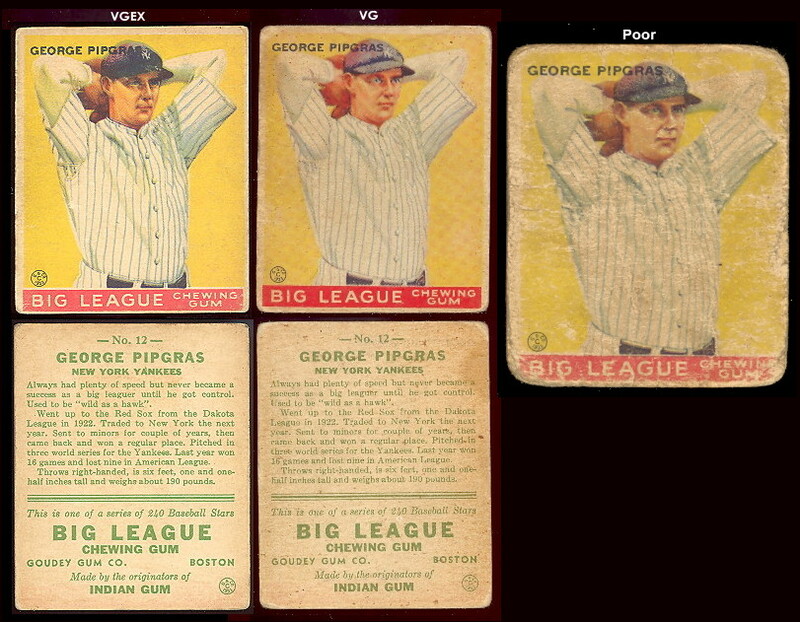 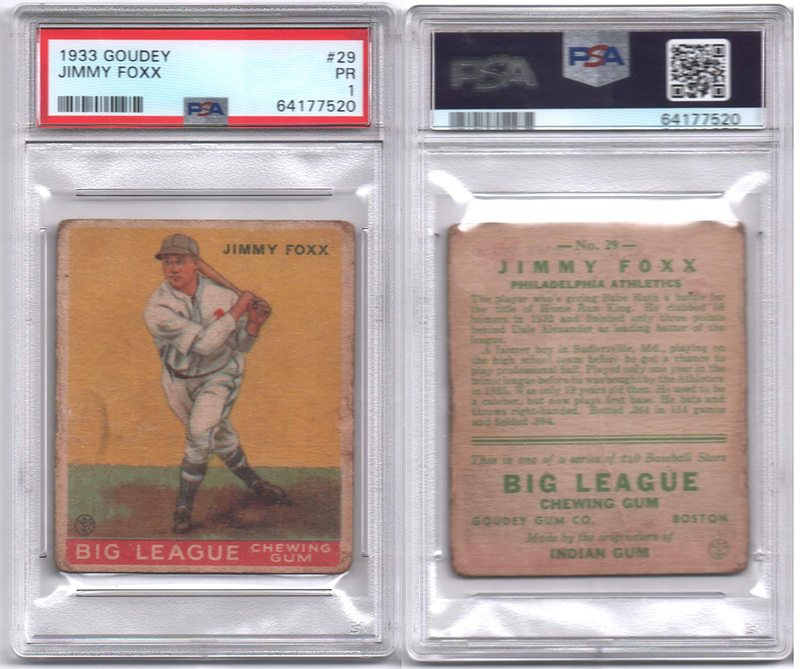 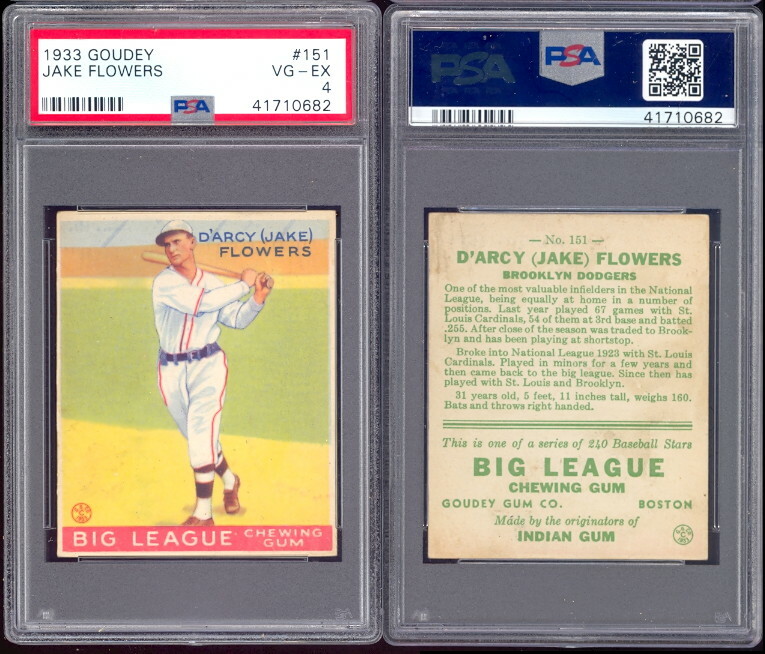 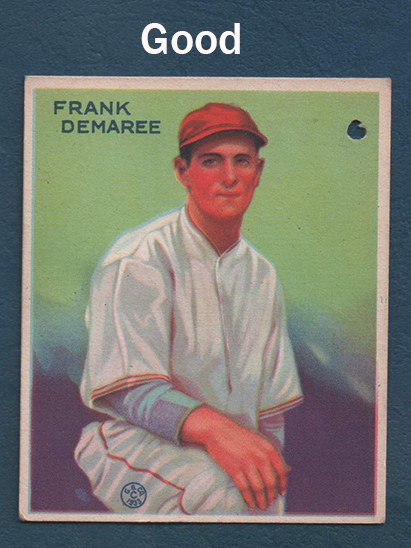 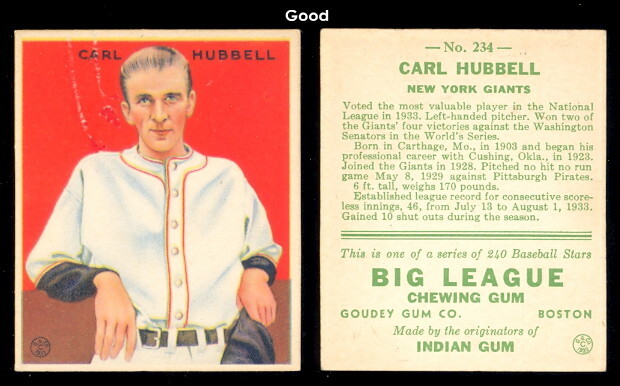 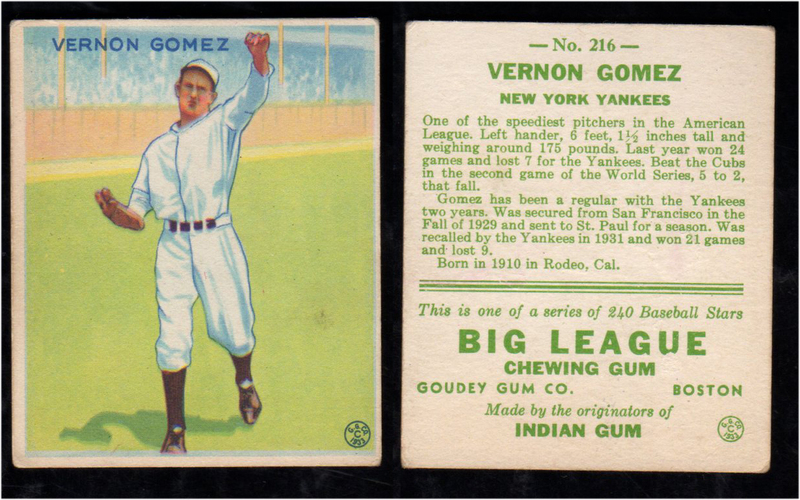 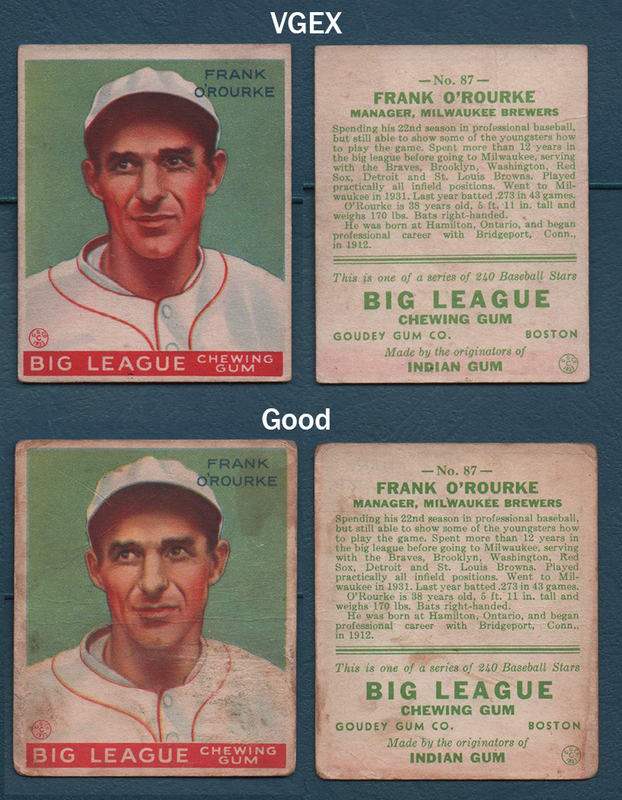 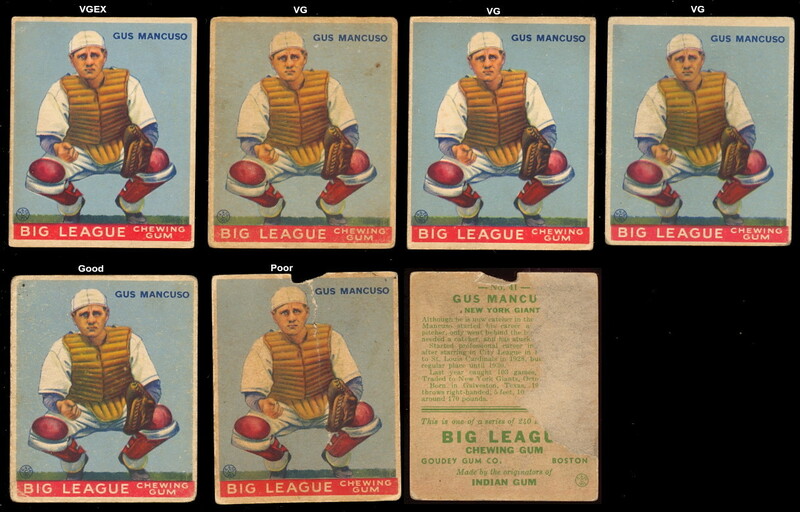 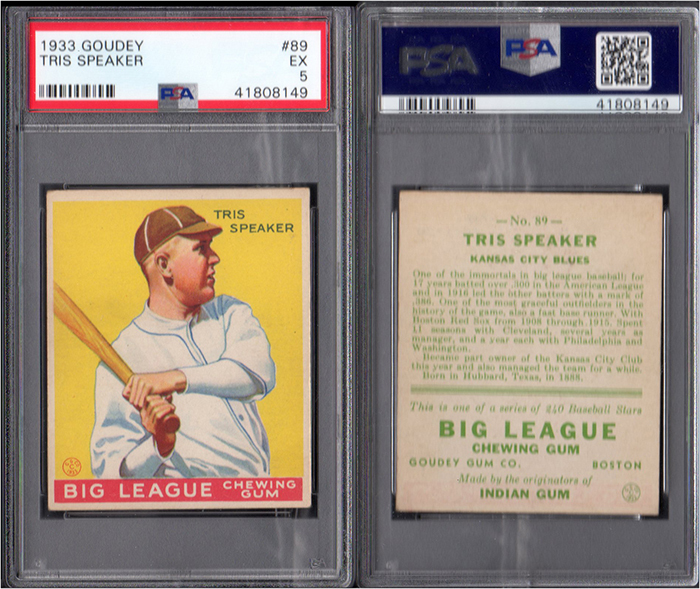 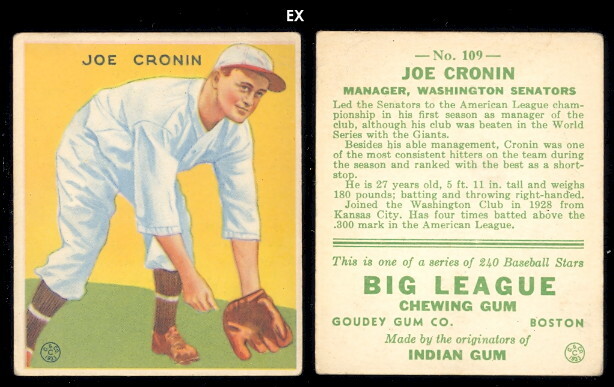 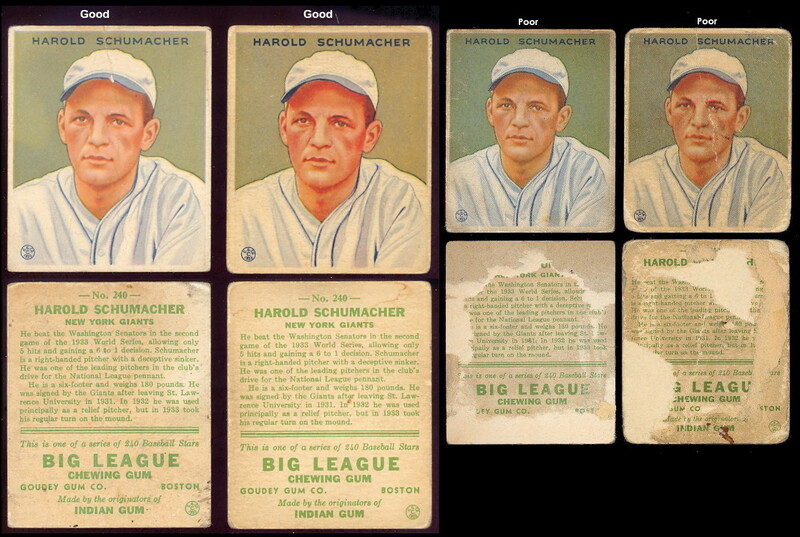 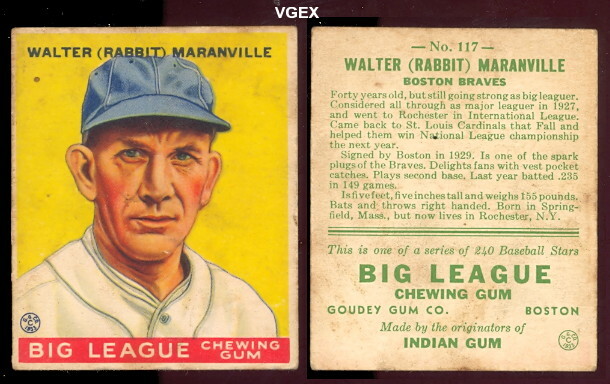 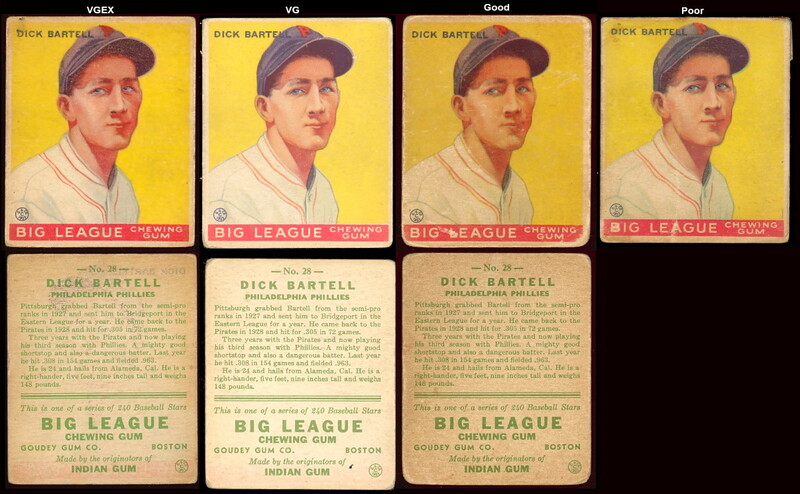 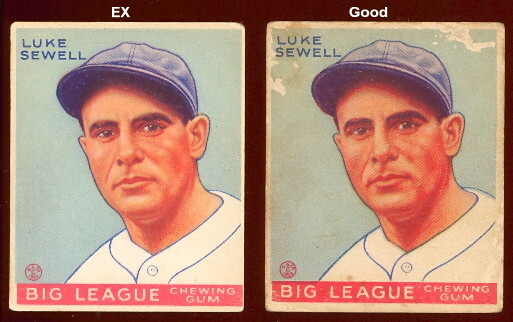 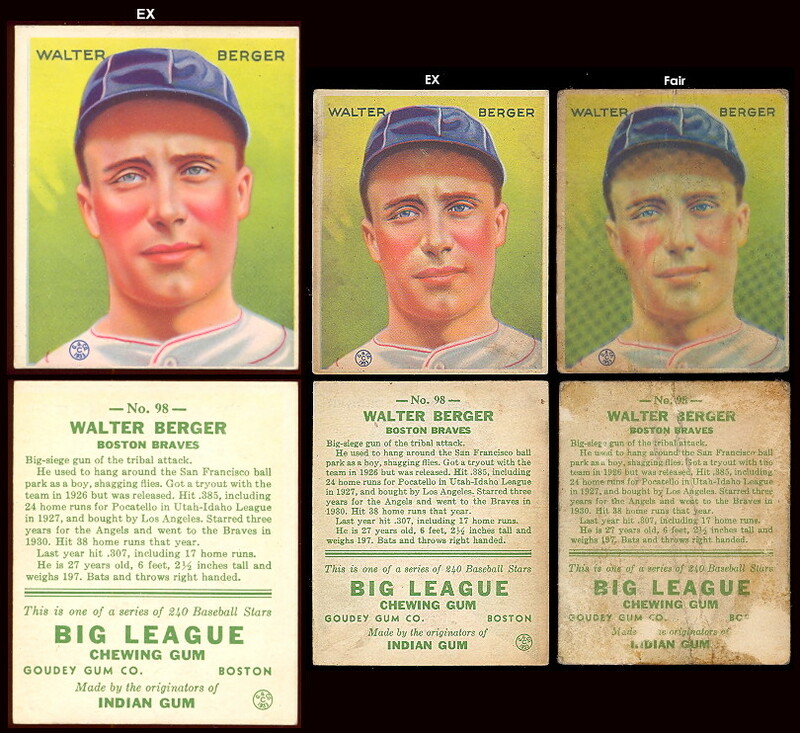 This page features Goudey cards from 1933 (R319). 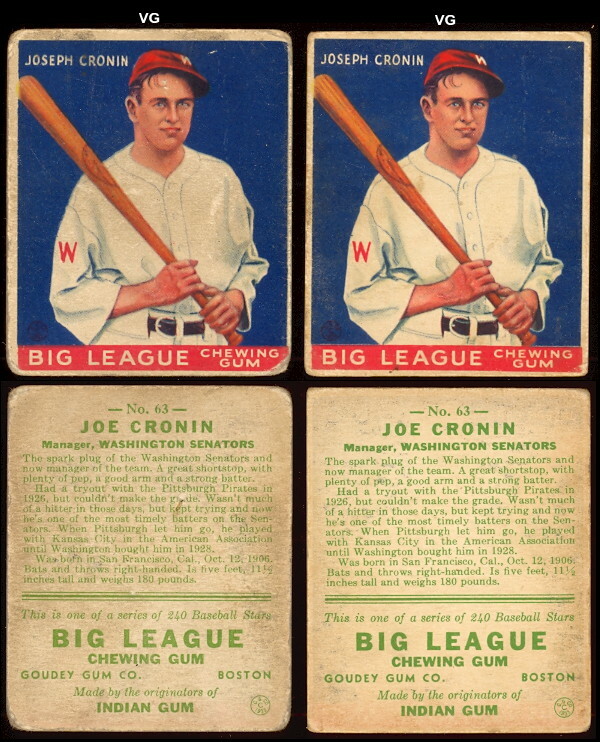 The 239 cards in the set measure 2-3/8" X 2-7/8" and carry a short player bio on the back. 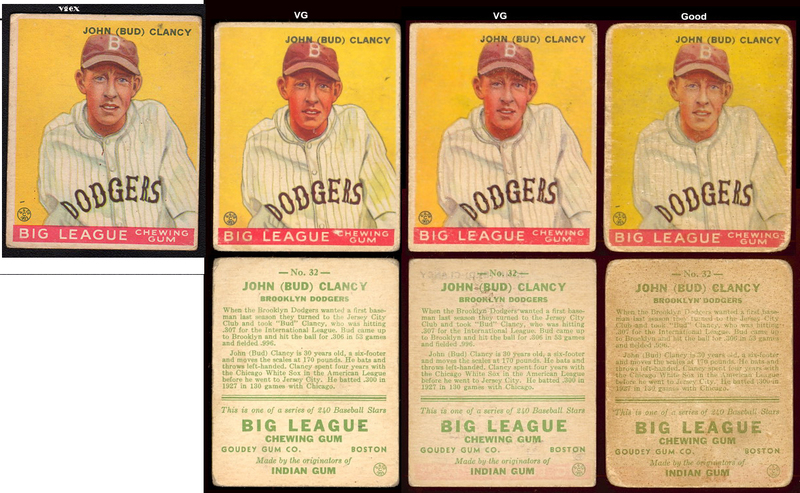 The cards are color art reproductions of either portraits or action photos. 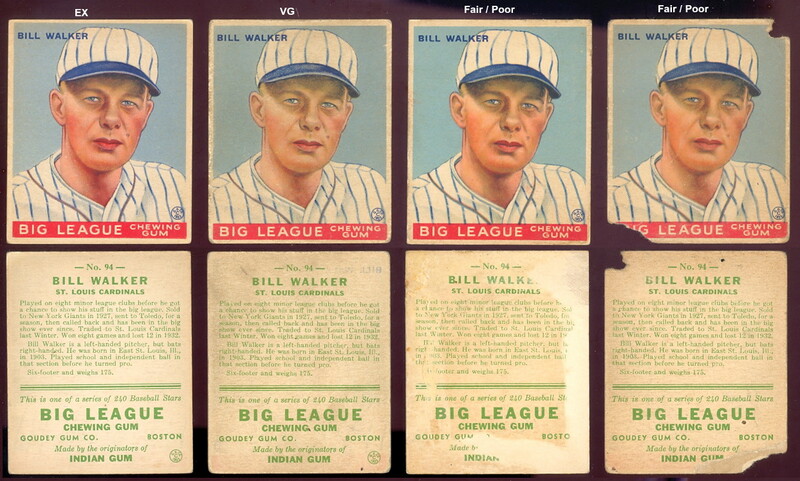 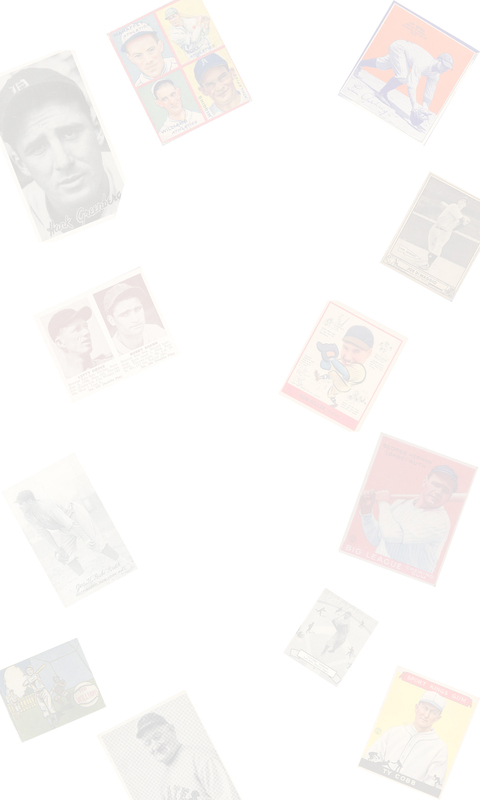 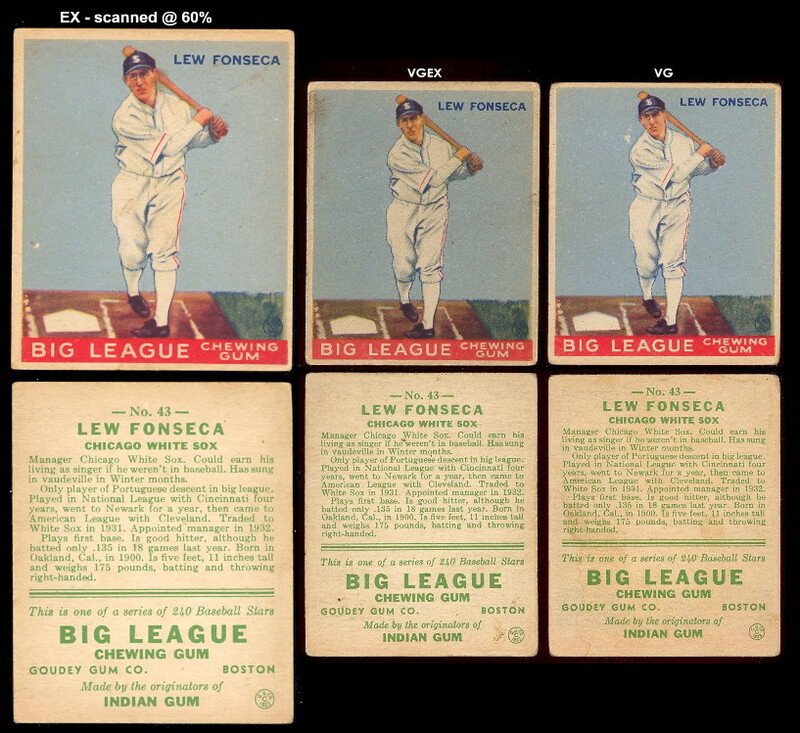 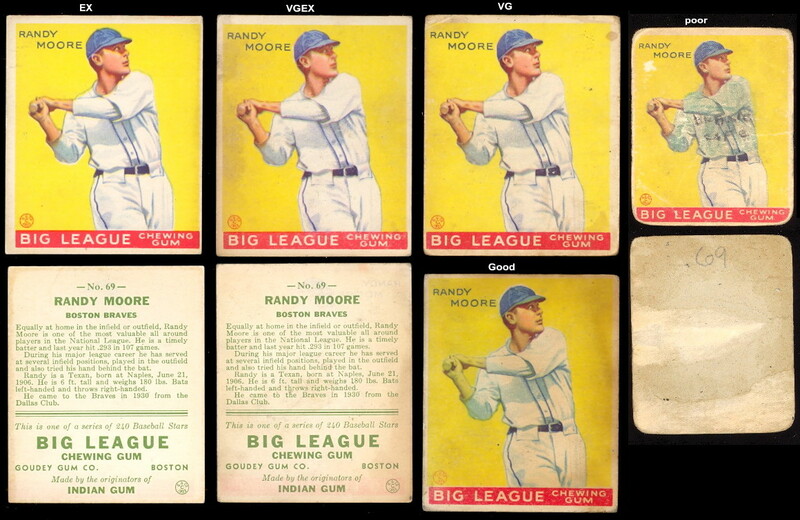 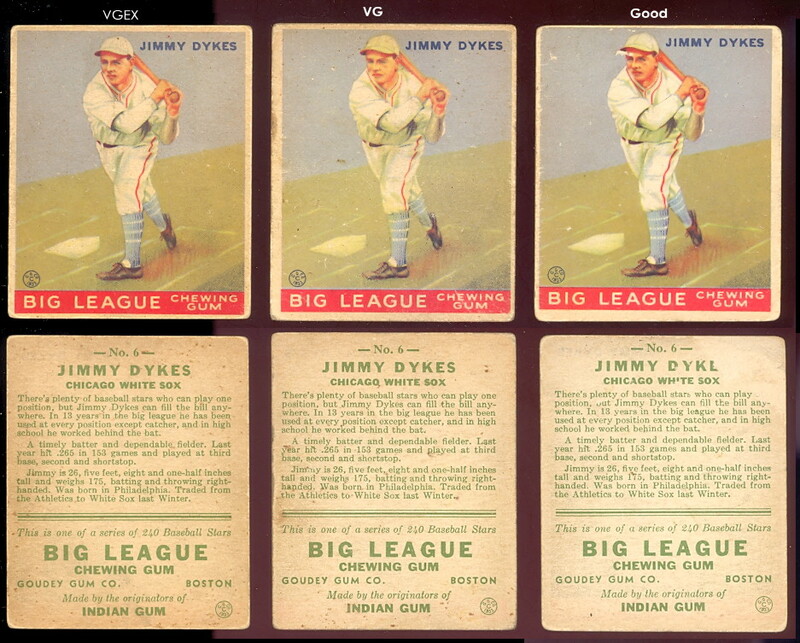 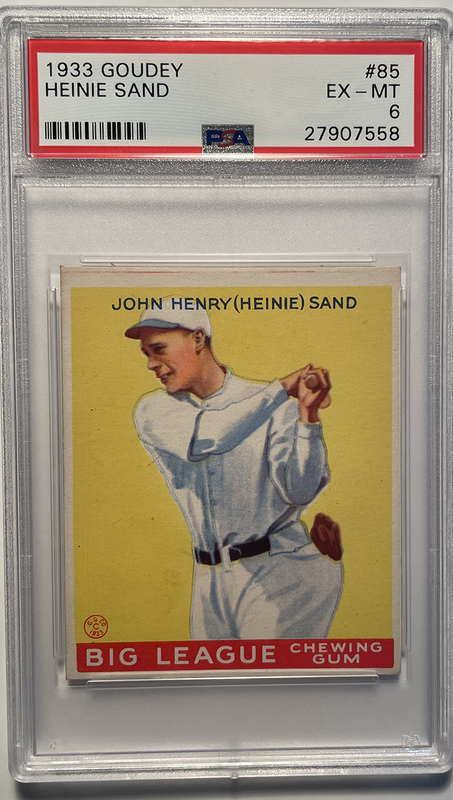 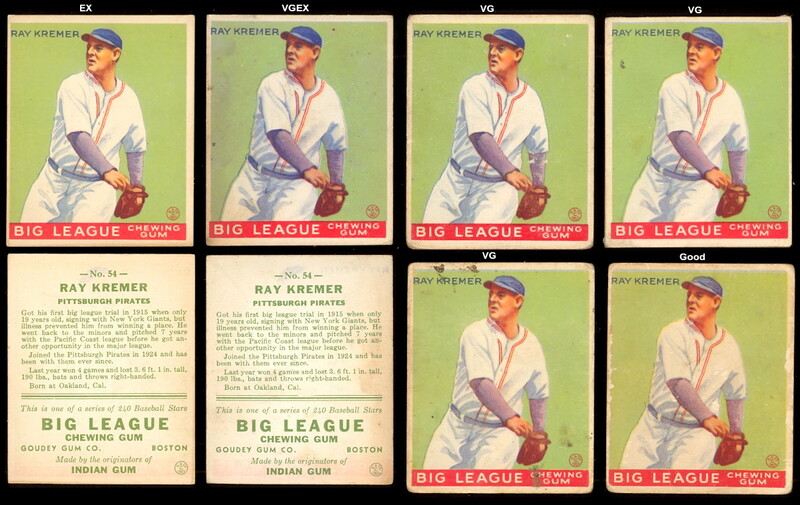 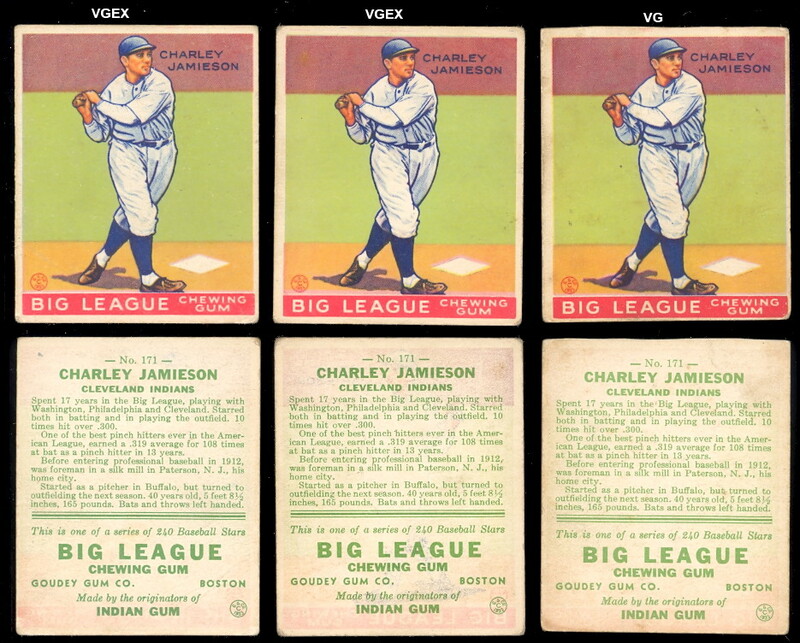 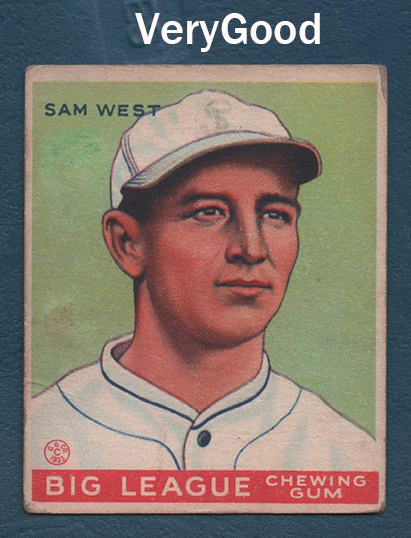 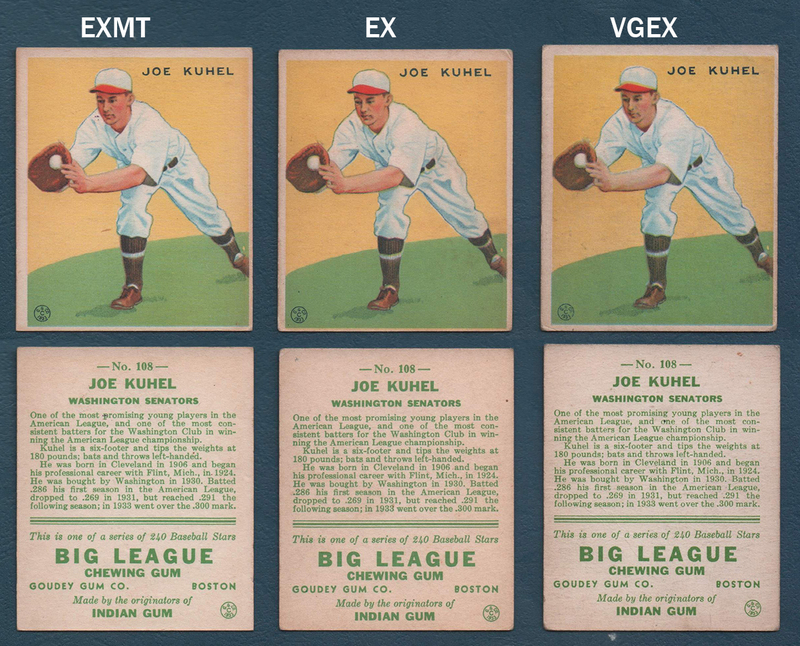 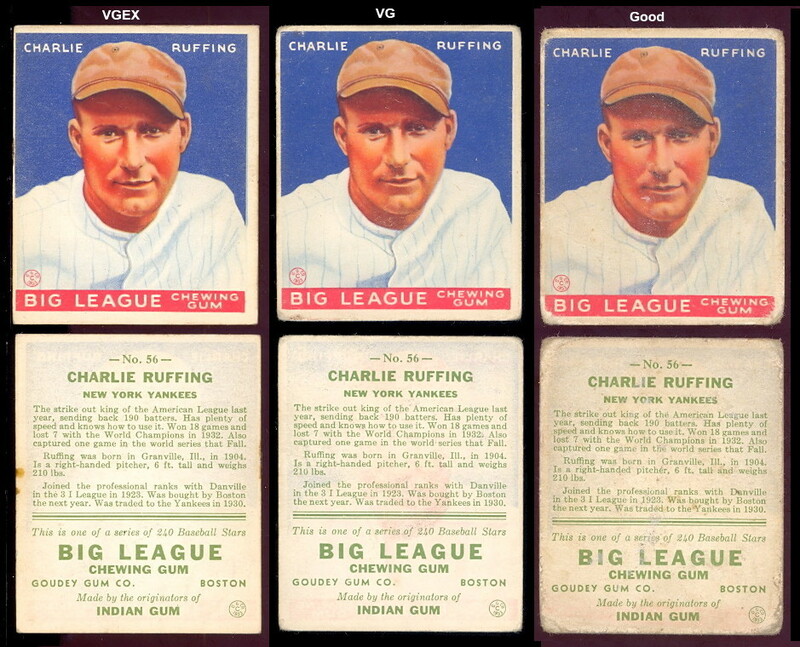 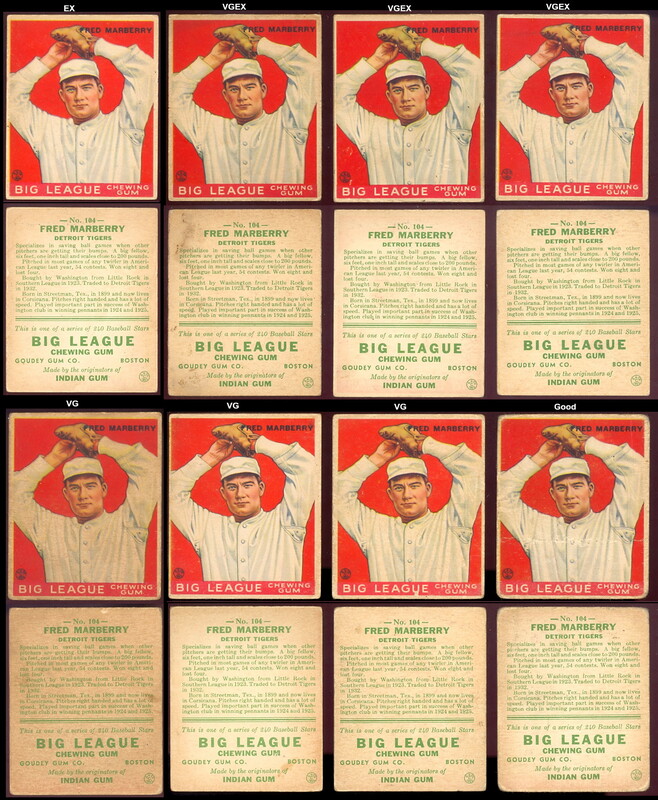 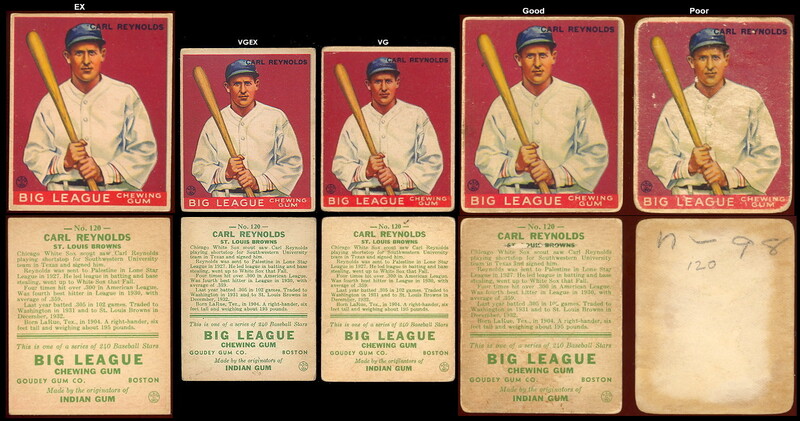 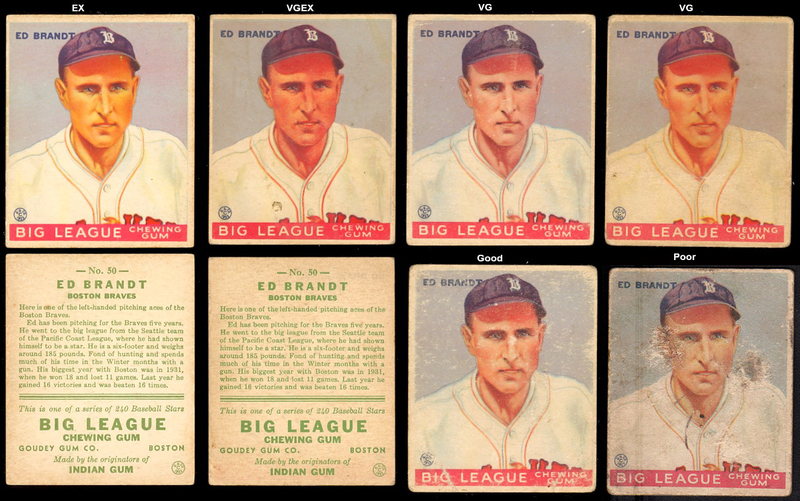 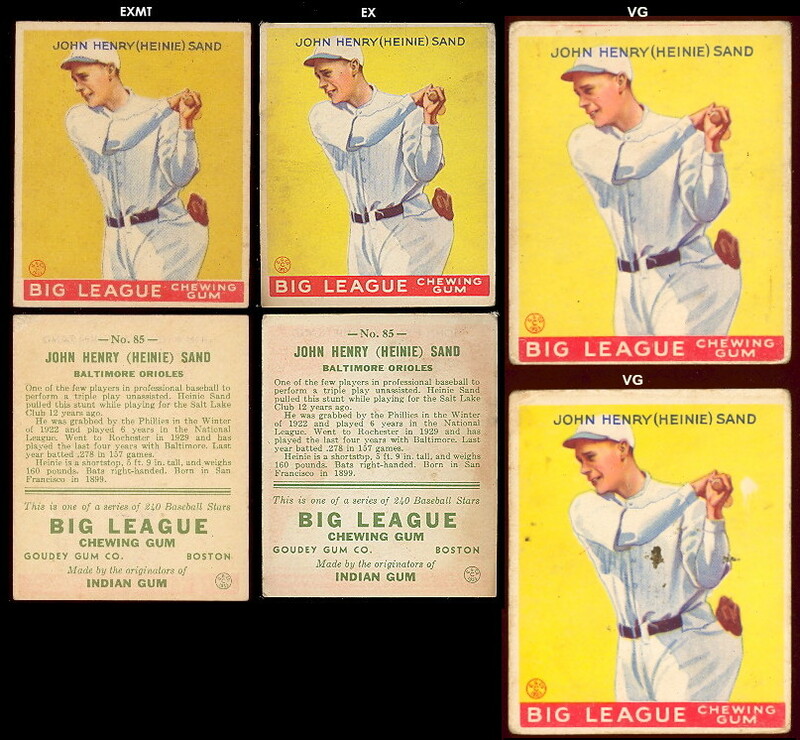 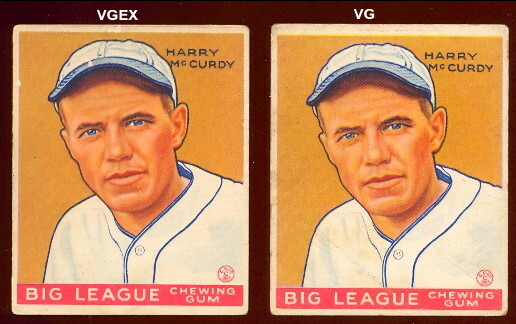 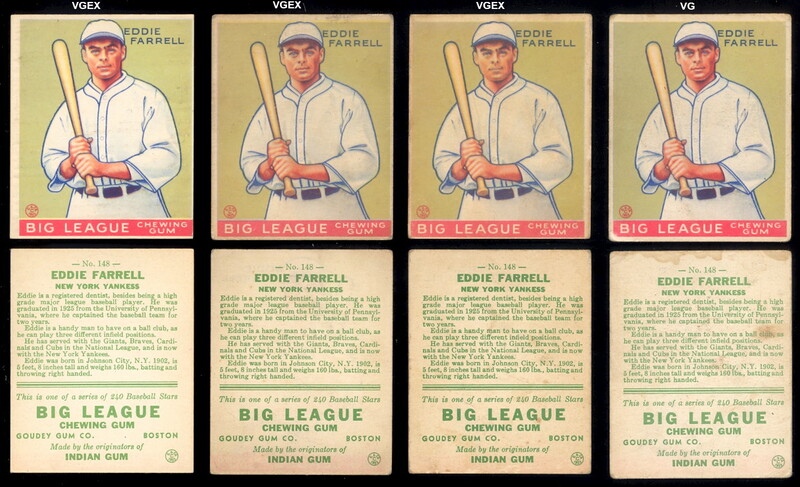 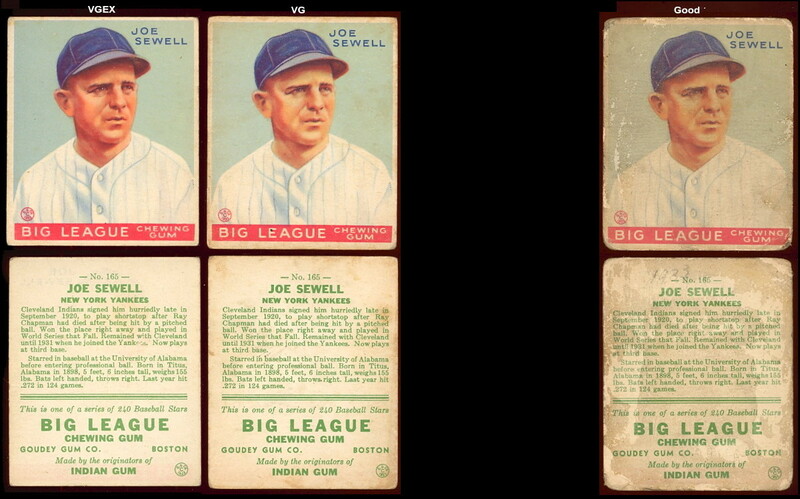 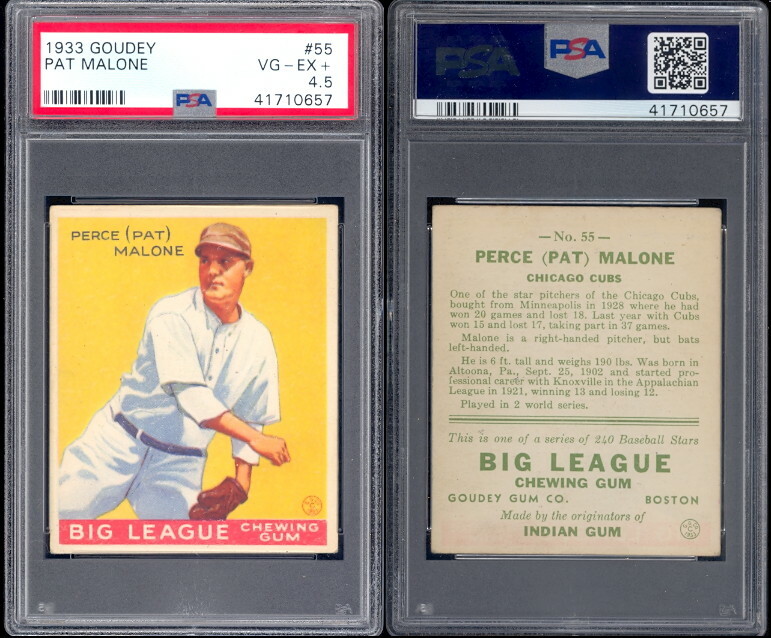 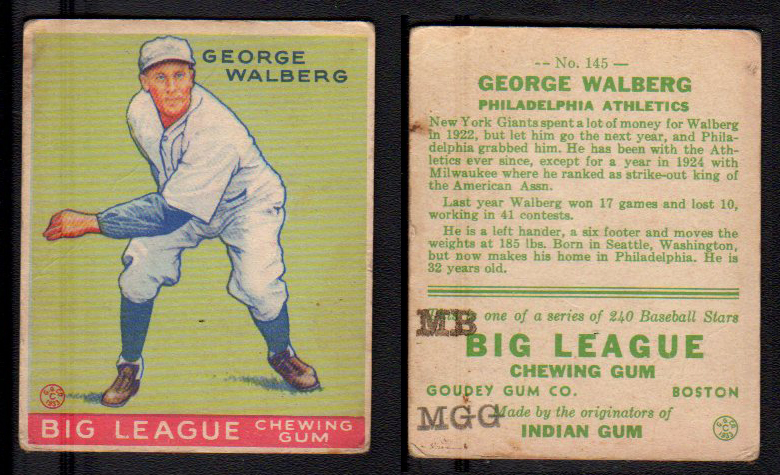 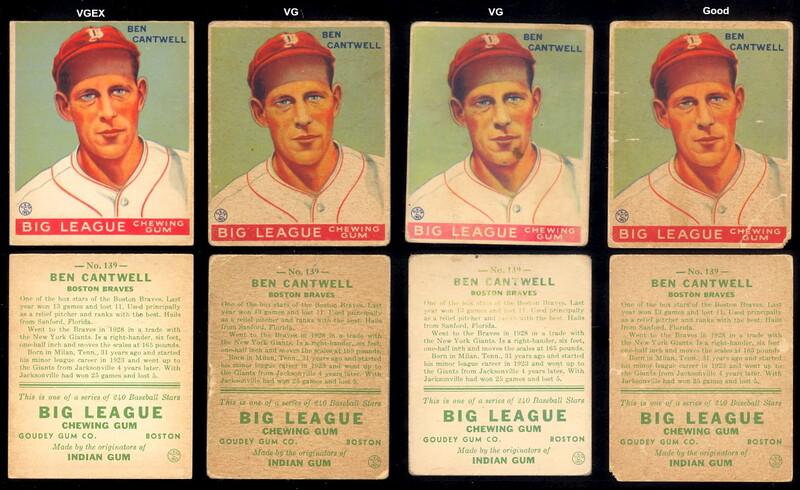 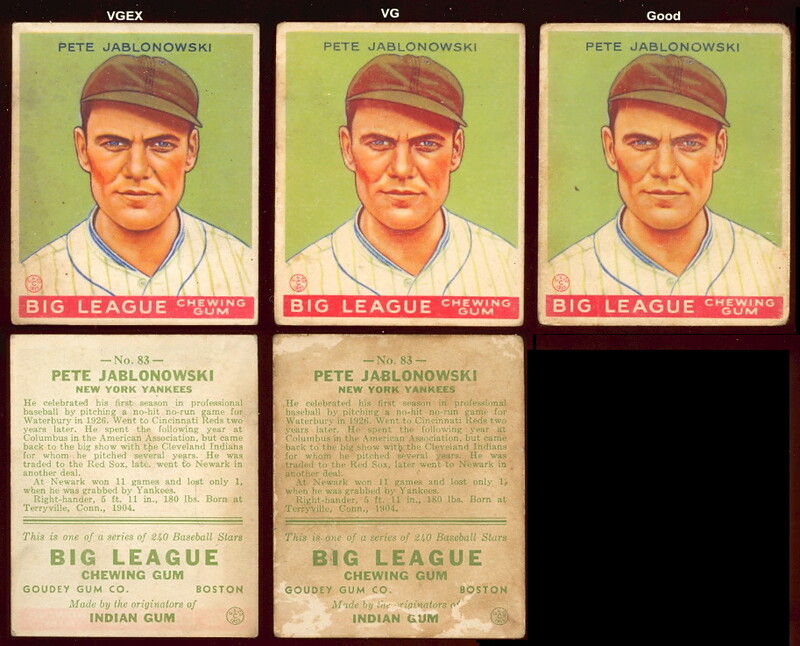 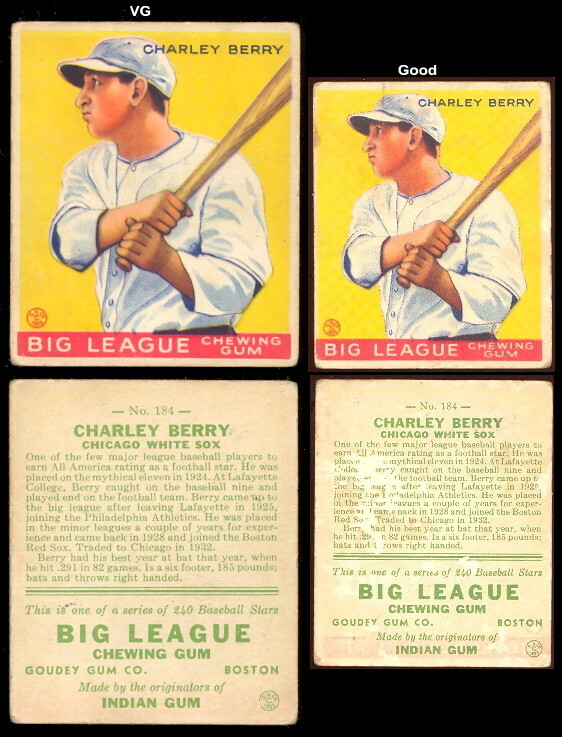 The set is loaded with stars including four Babe Ruth cards and two Lou Gehrig cards.